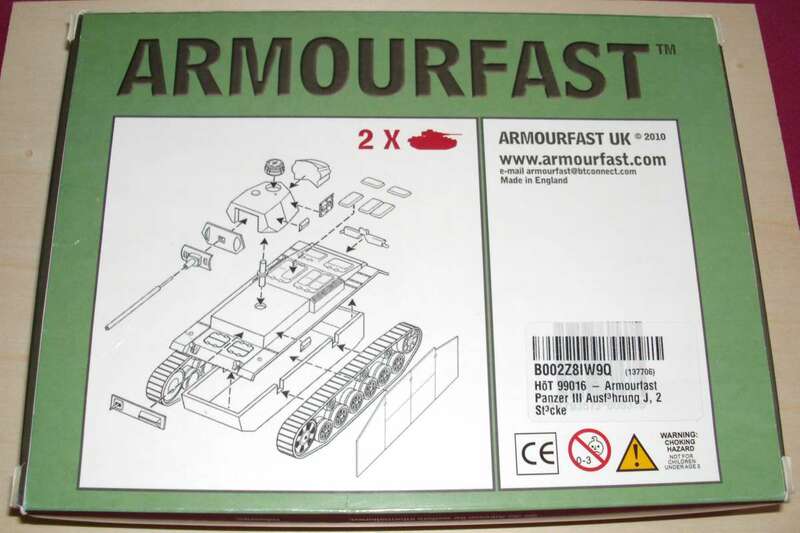 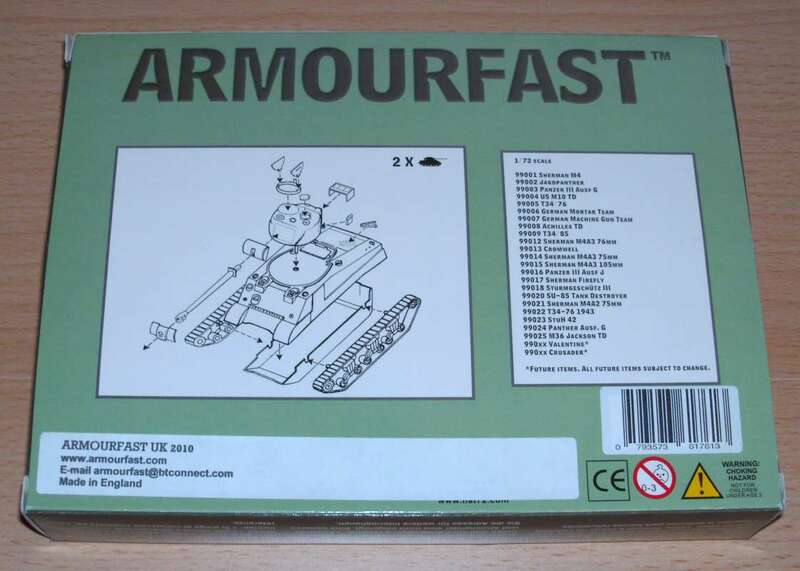 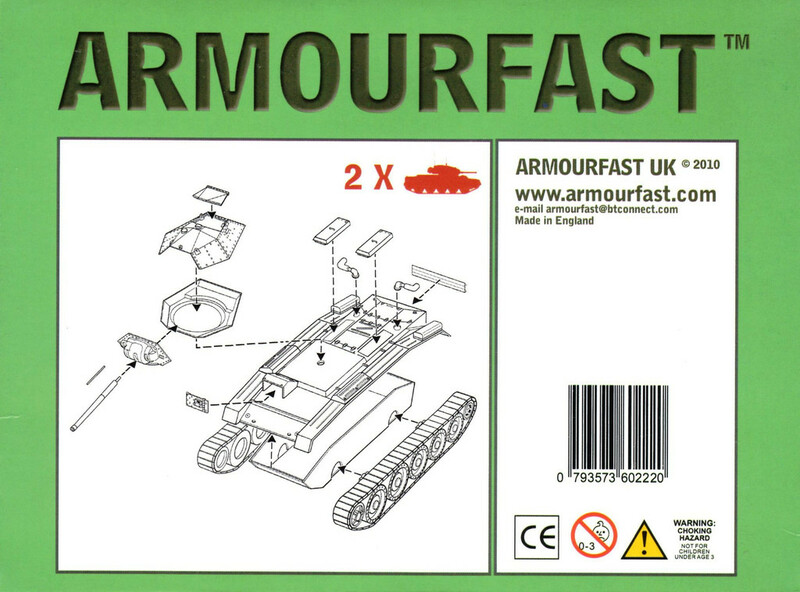 2010 - Armourfast is no longer part of HAT but is now operating under its own label. 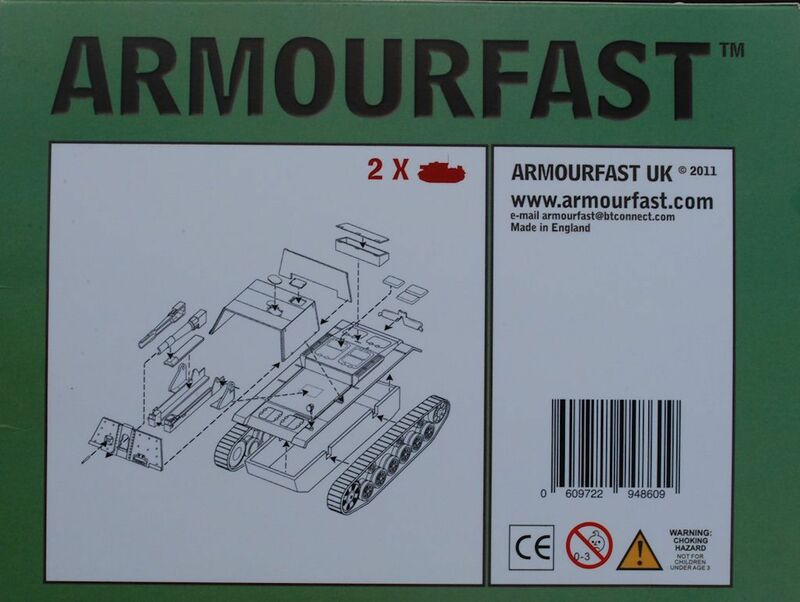 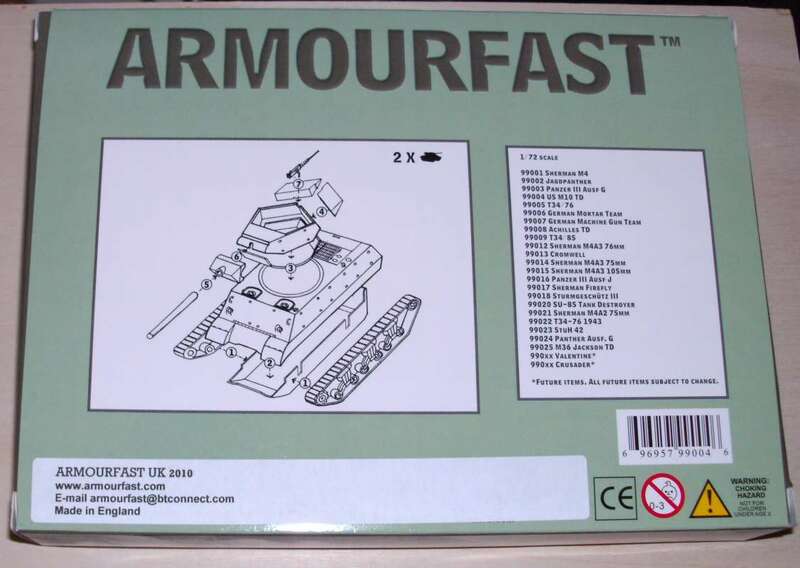 The Armourfast kits are easy to build but do require some reworking and detailing to upgrade them into really nice kits. 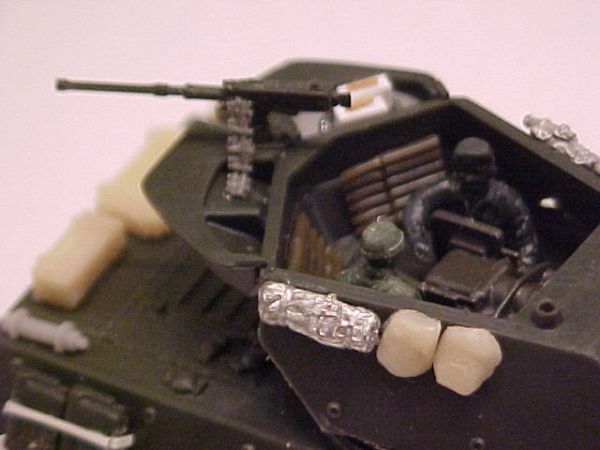 Note: There are 2 kits in each vehicle box. 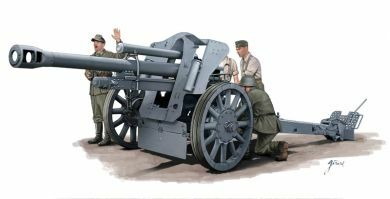 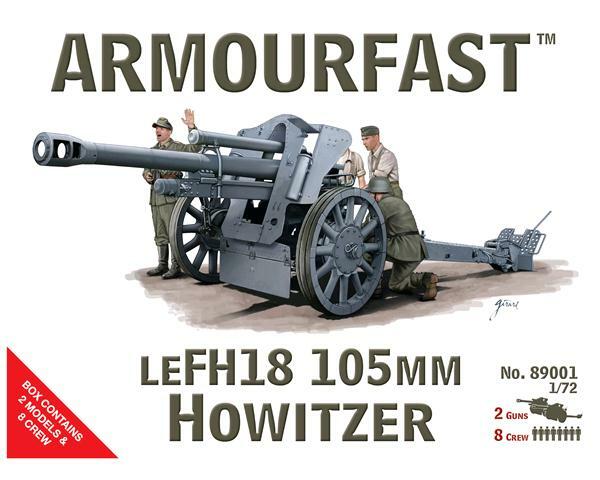 Kit 89001 - LeFH 18 howitzer 105mm. 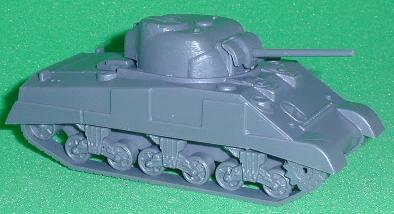 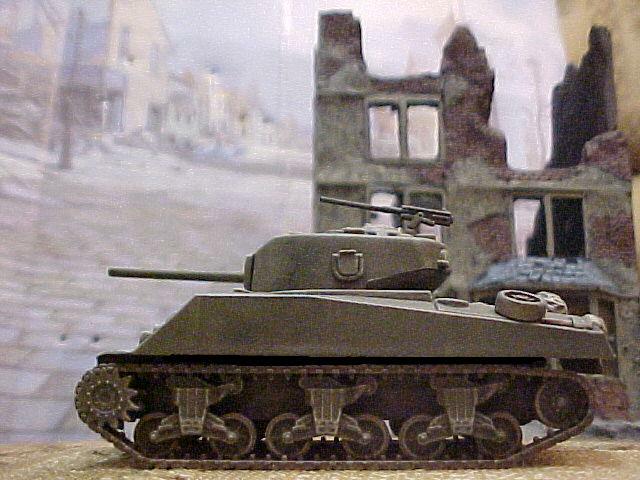 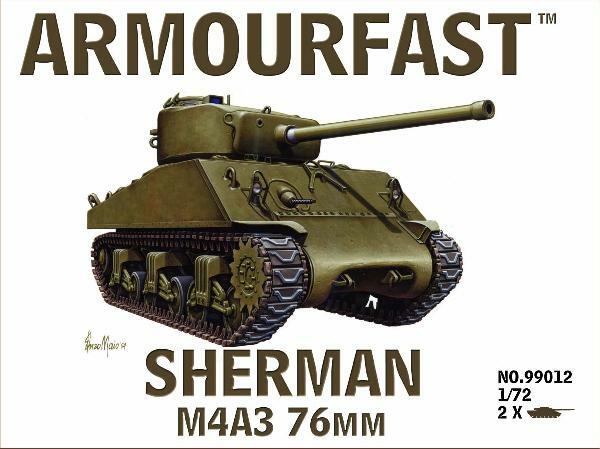 Kit 99001 - Sherman M4. 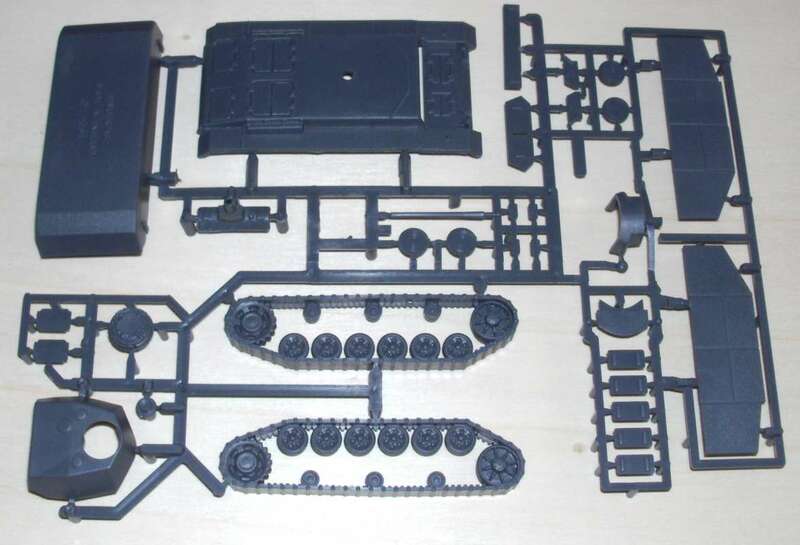 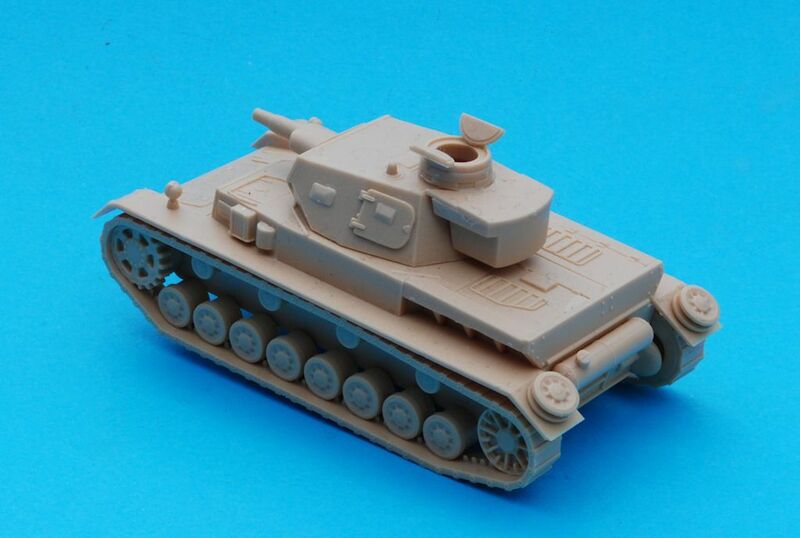 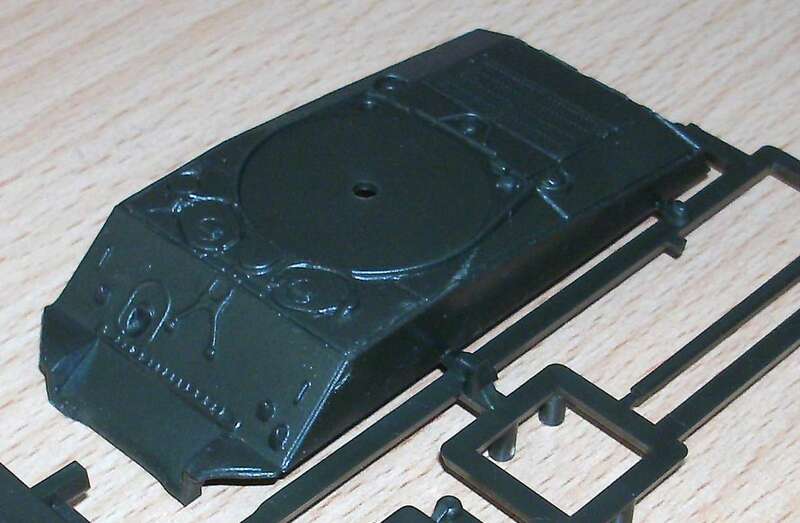 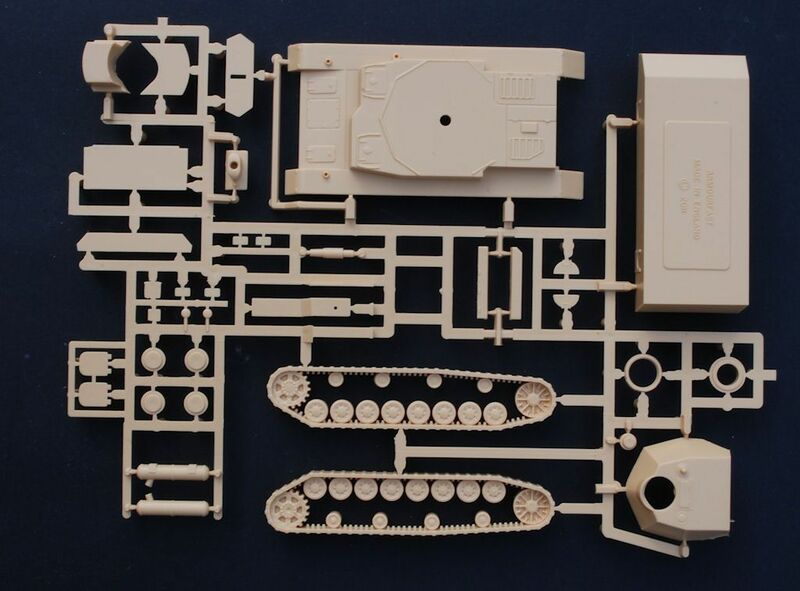 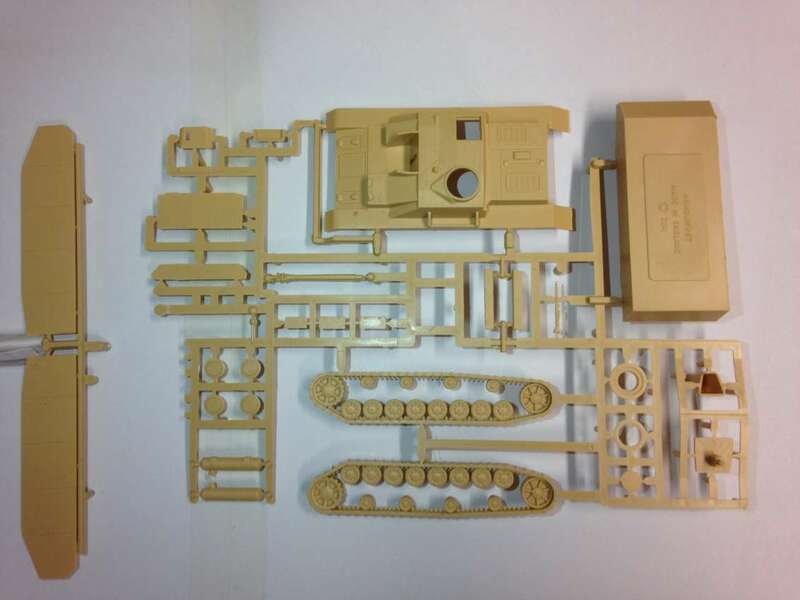 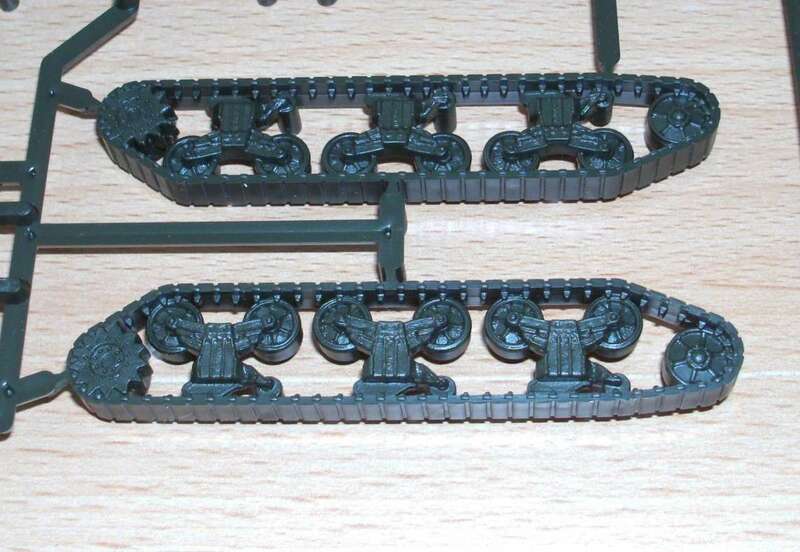 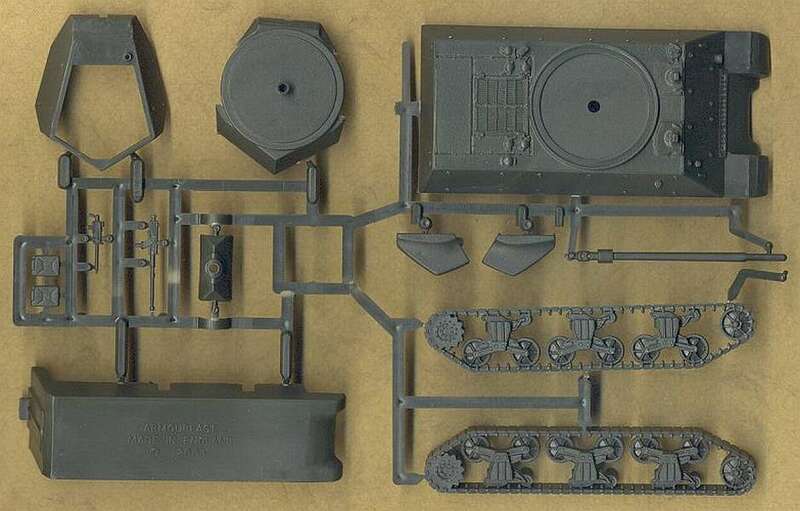 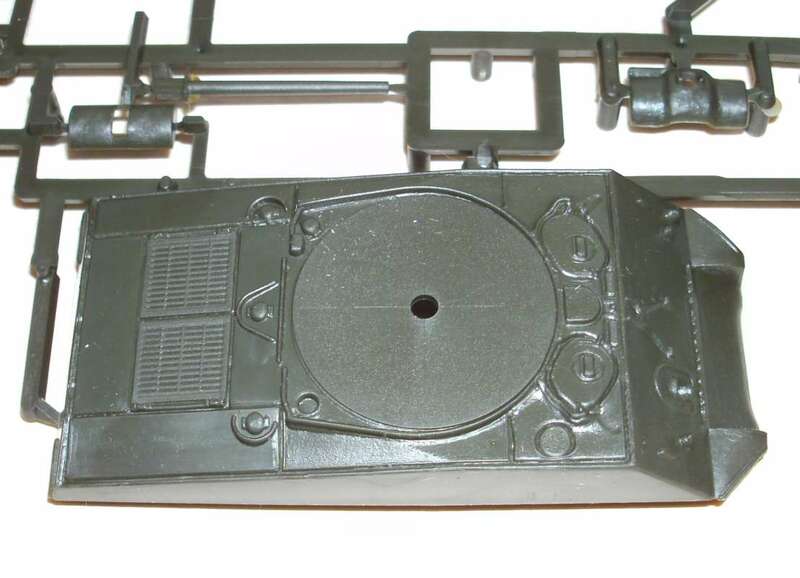 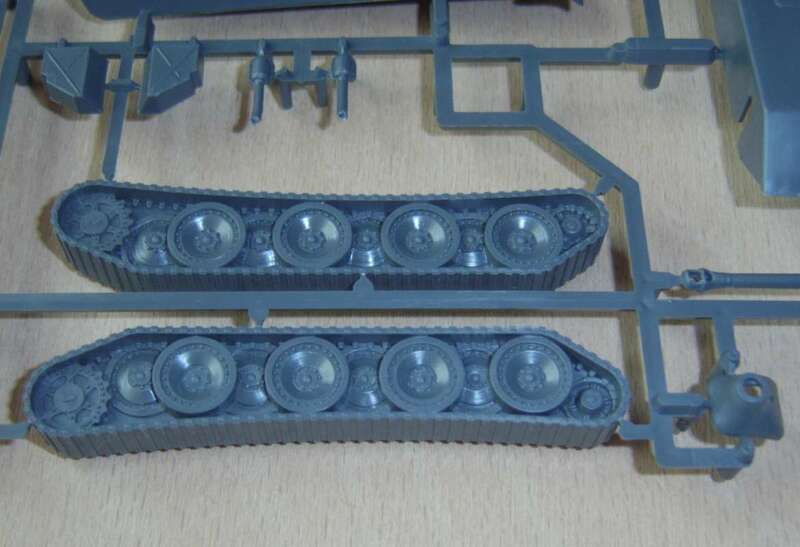 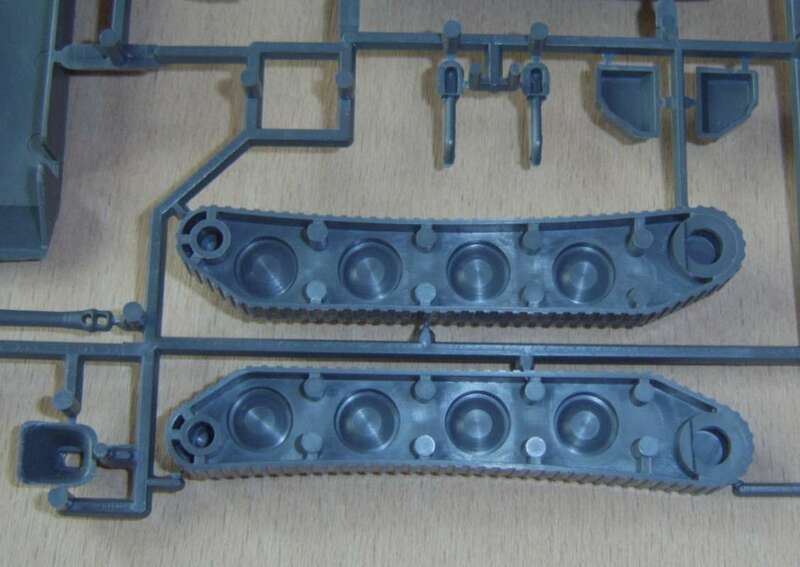 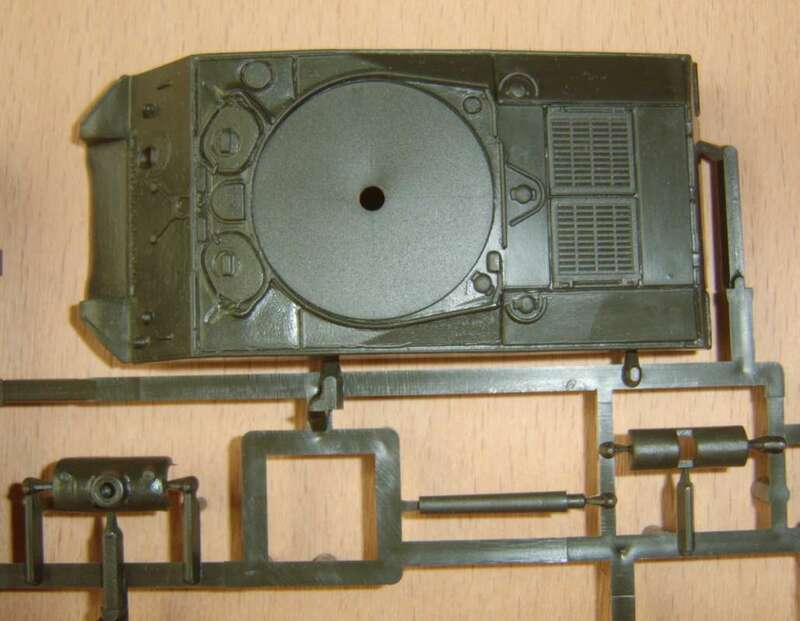 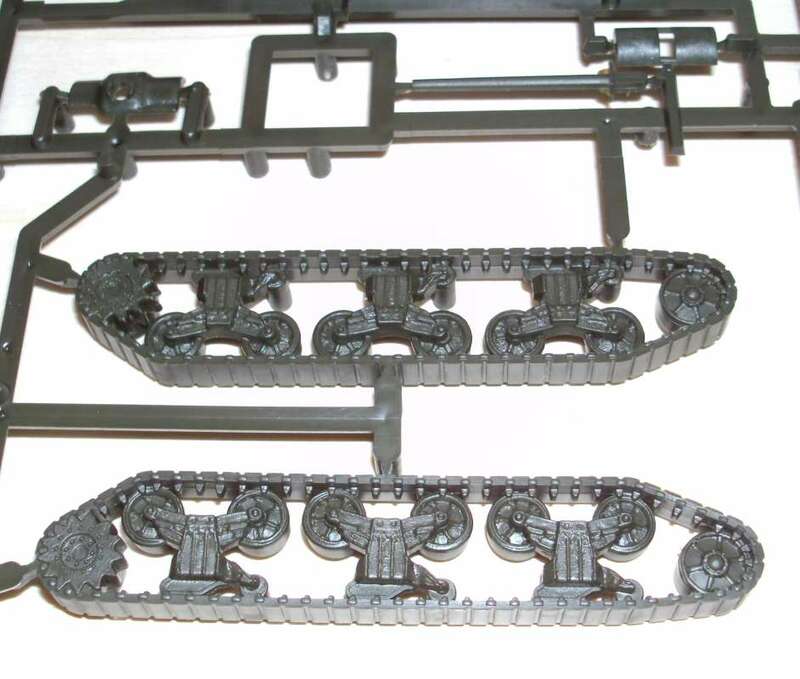 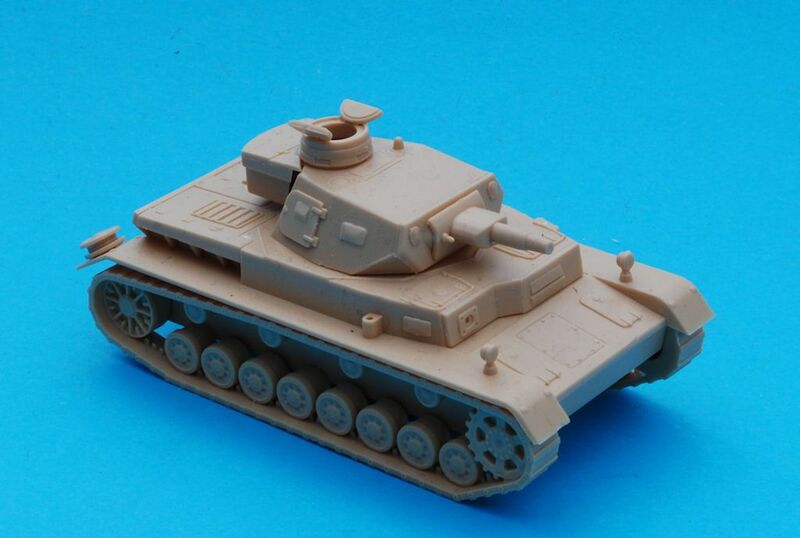 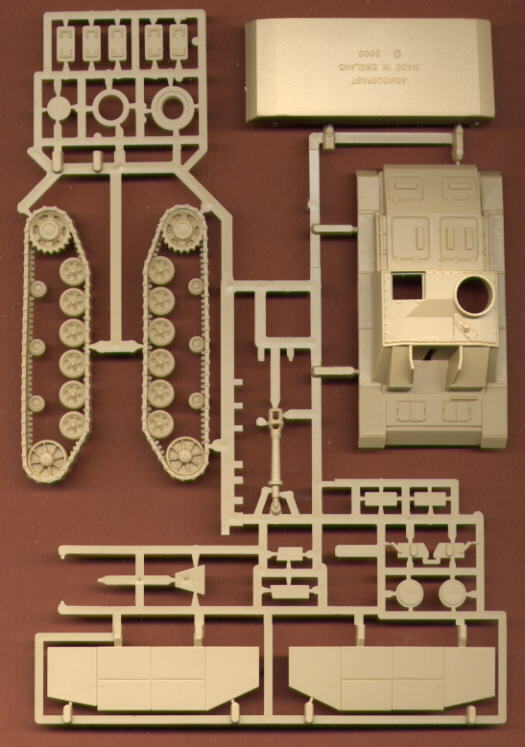 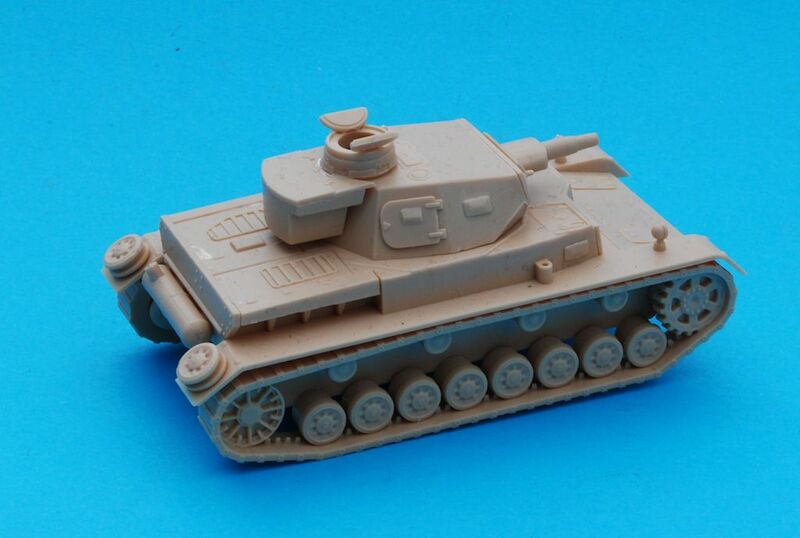 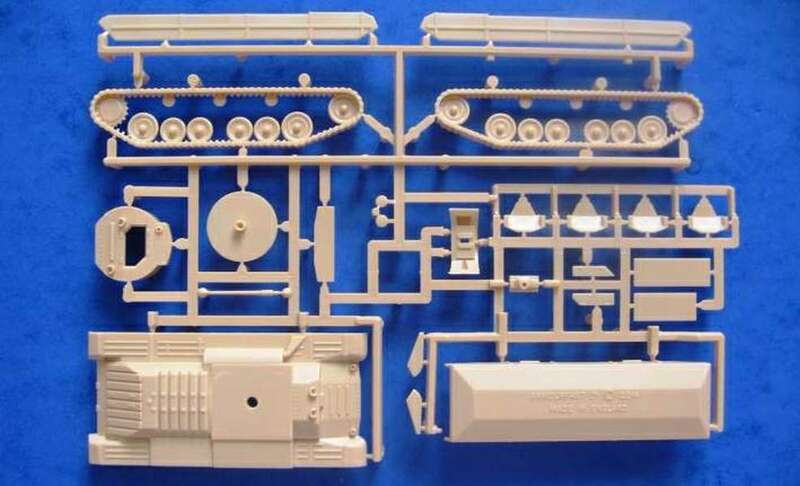 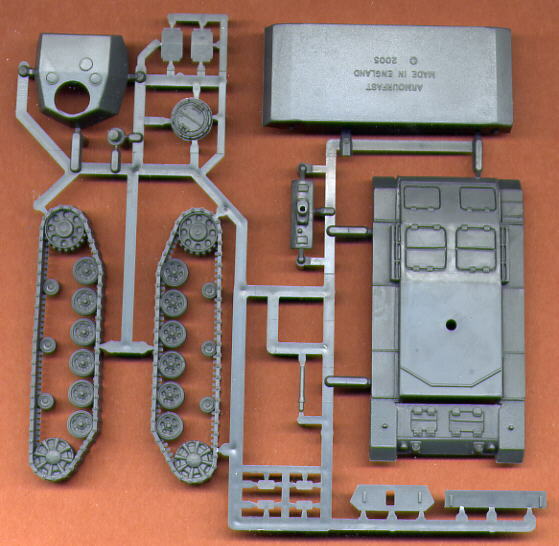 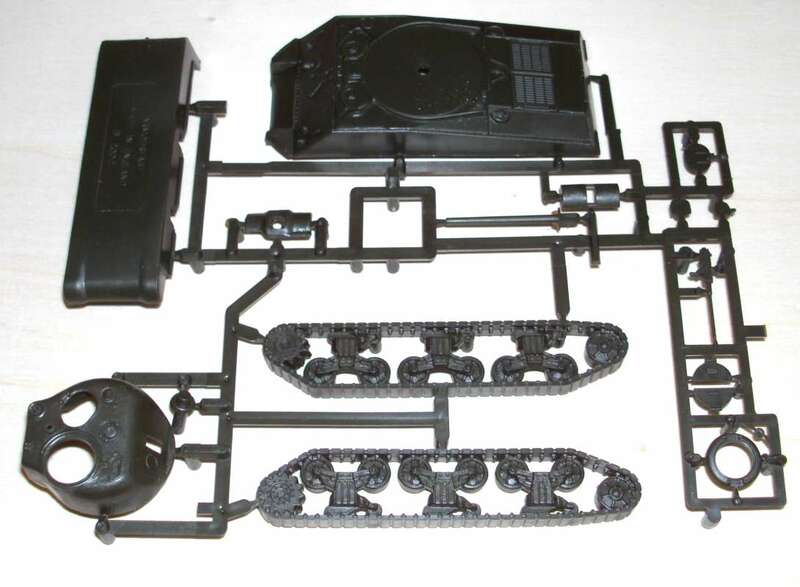 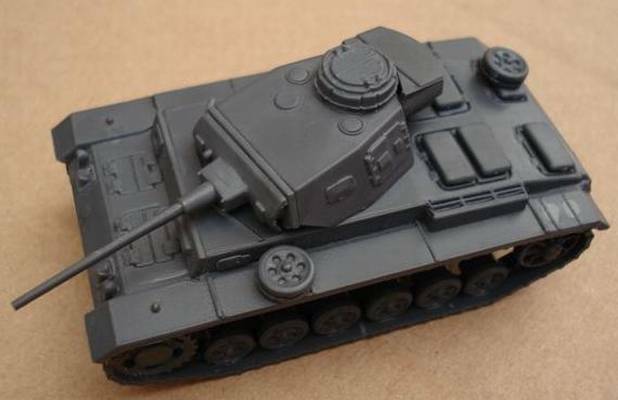 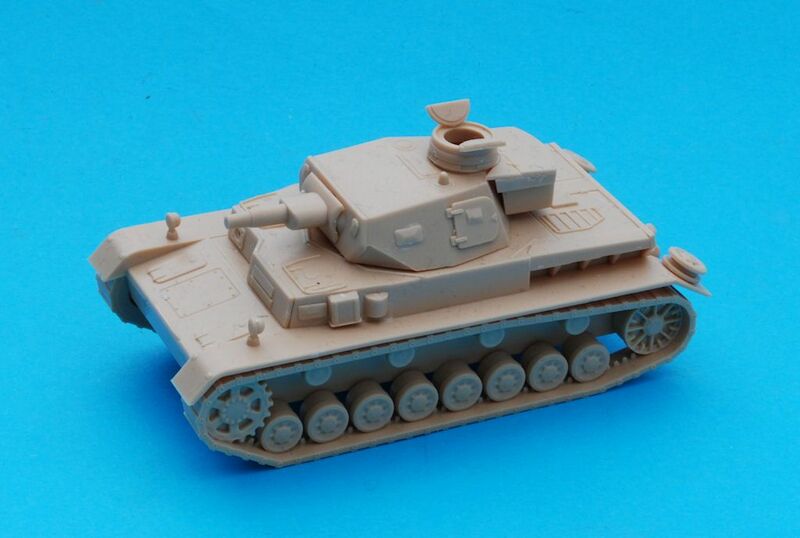 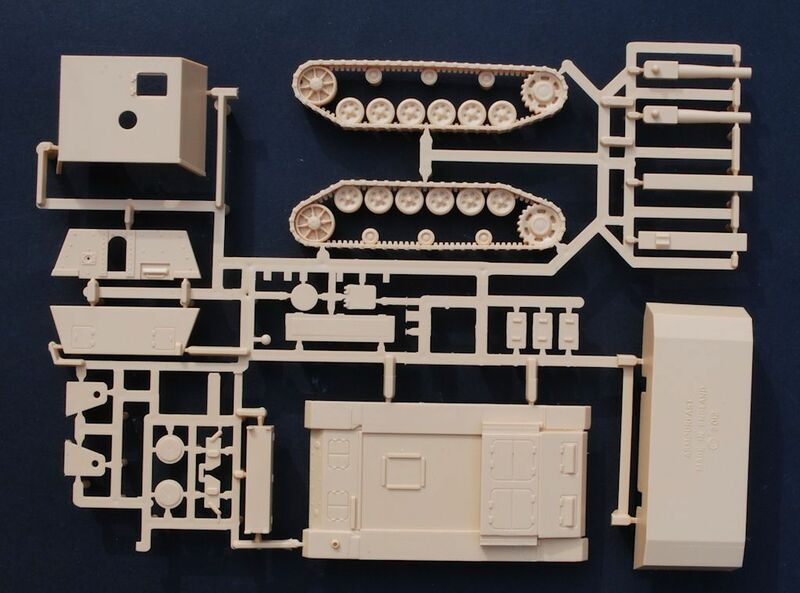 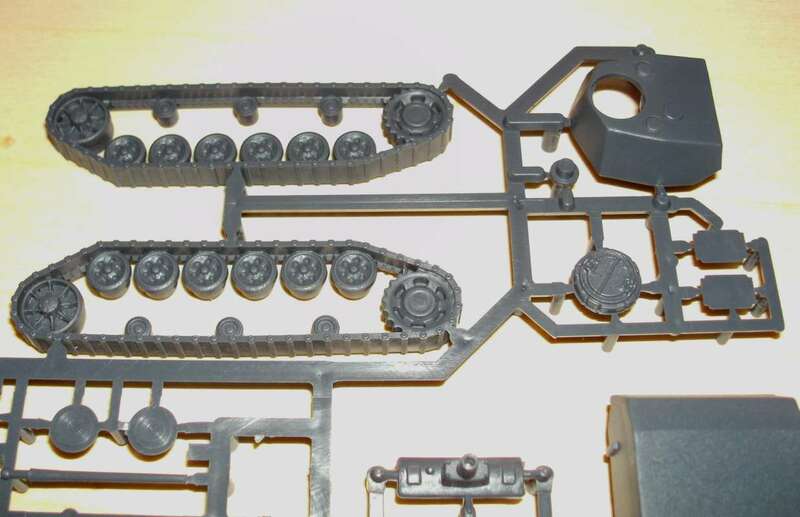 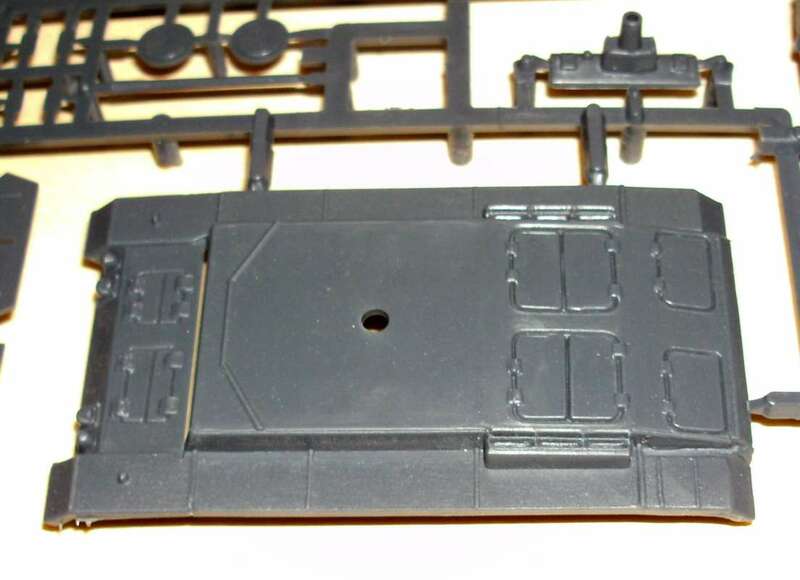 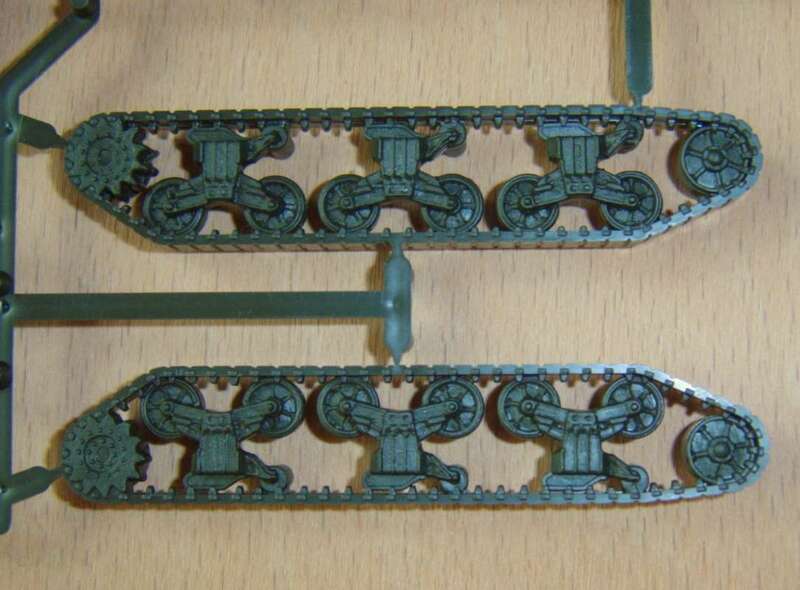 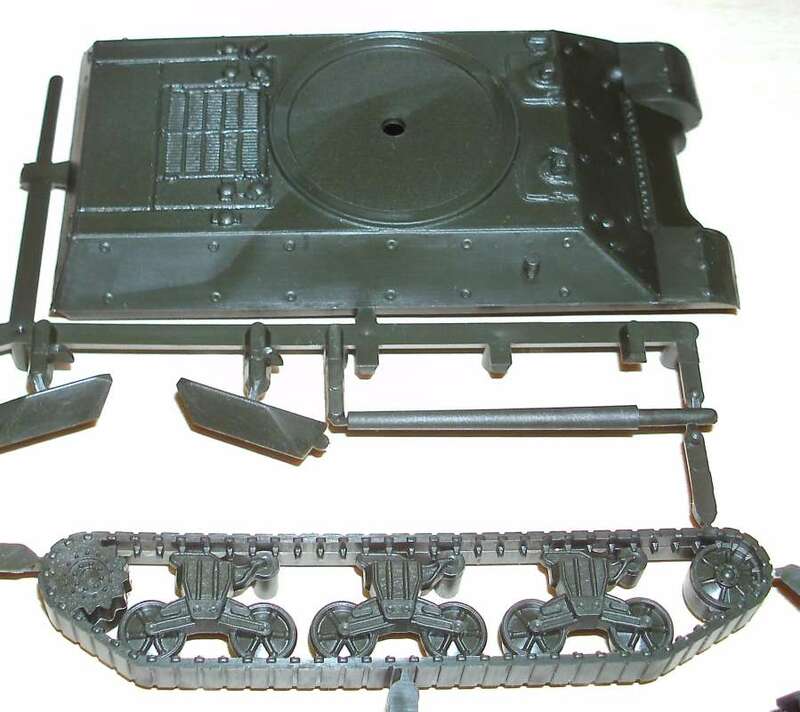 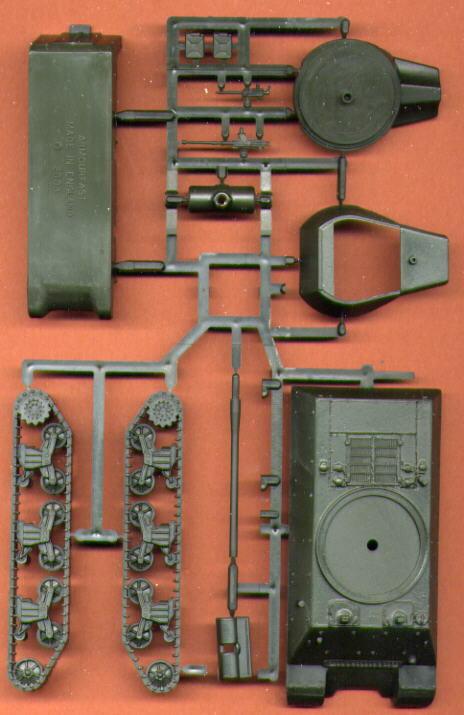 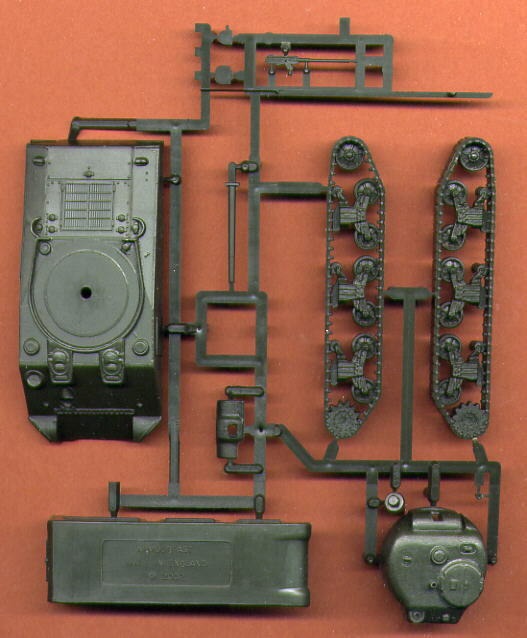 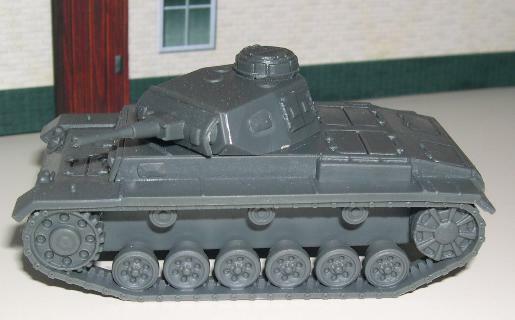 "Scale Plastic & Rail" Website"
Kit 99003 - German Panzer III. 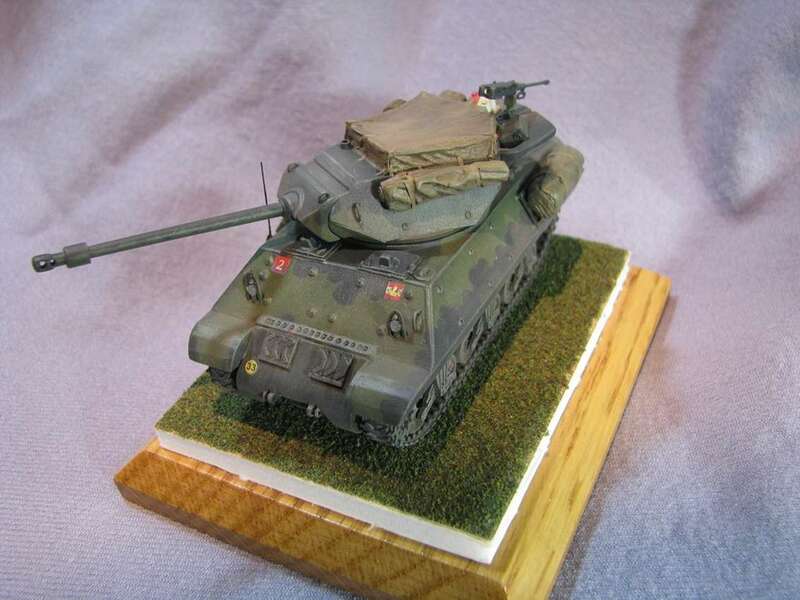 Kit 99004 - M10 - model painted and upgraded by Doug Iovinelli. 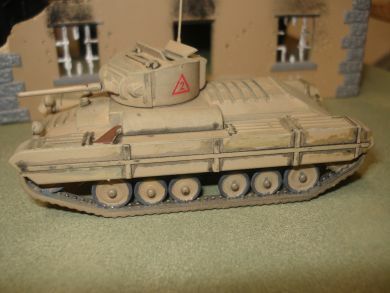 Model built by Mick Hill. 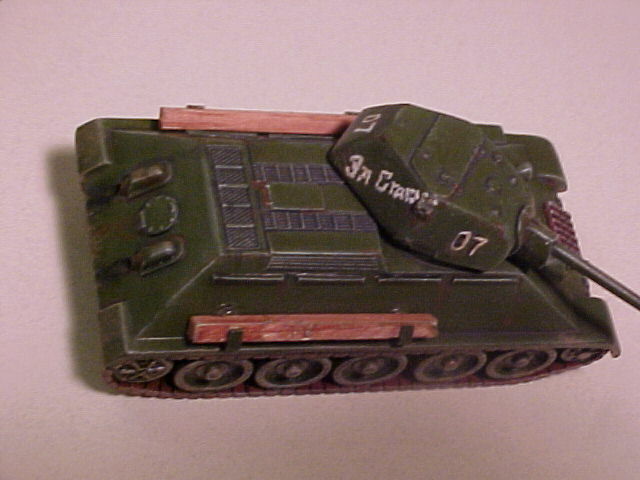 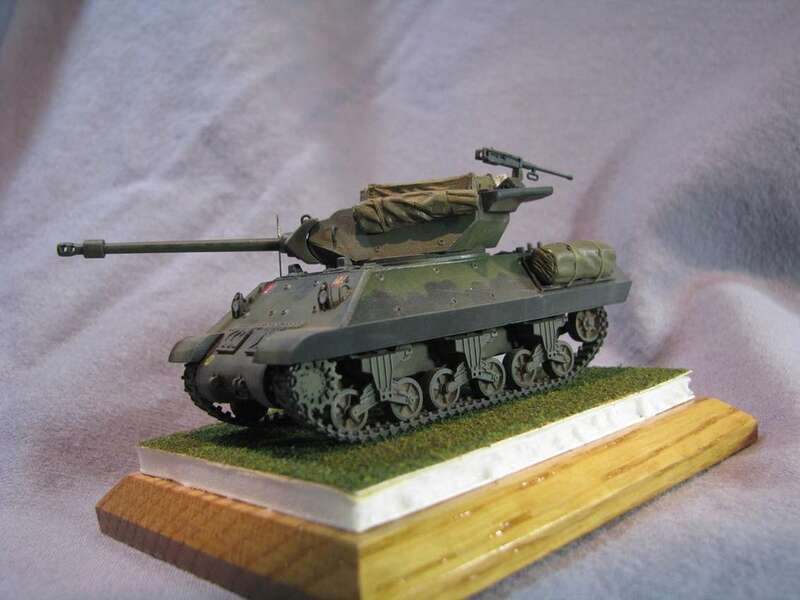 Model built by Doug Iovinelli. 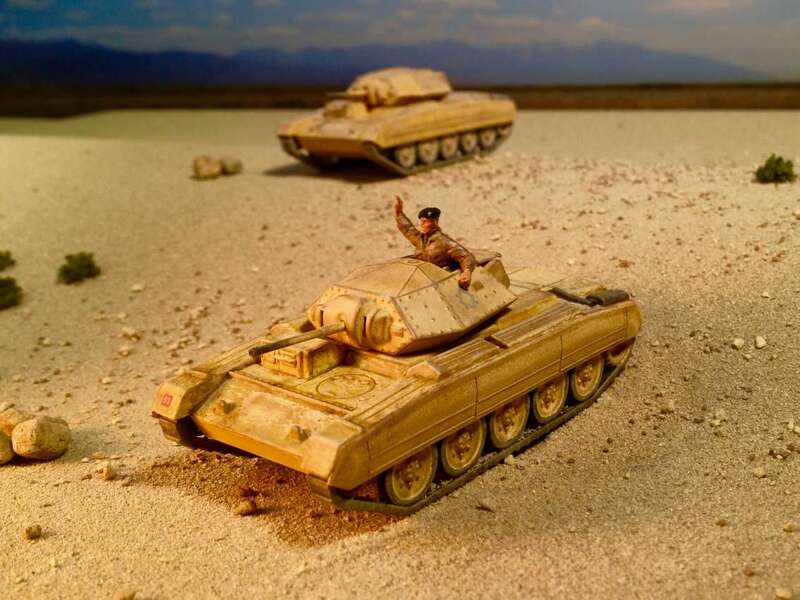 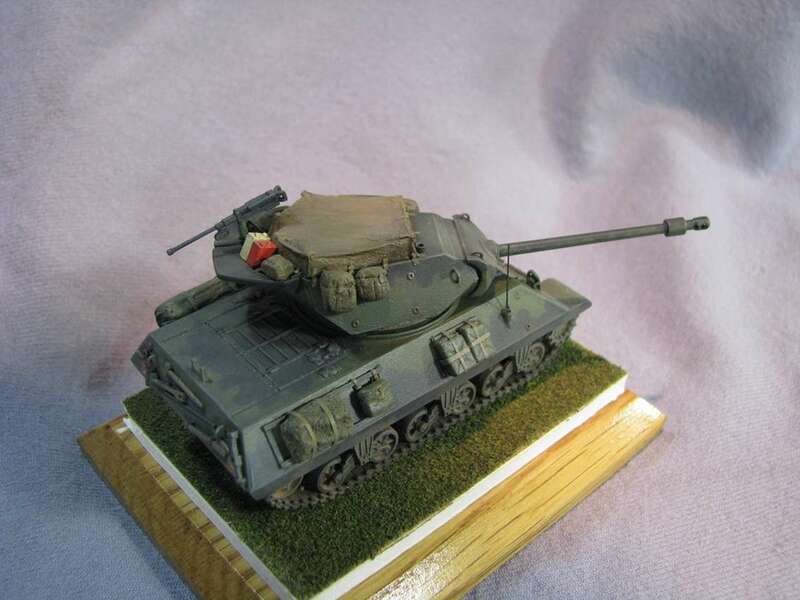 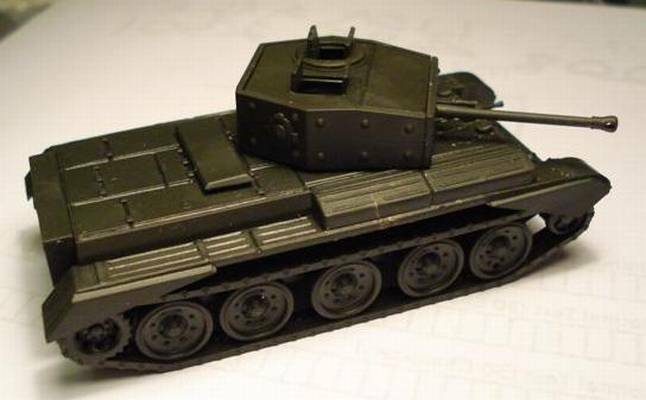 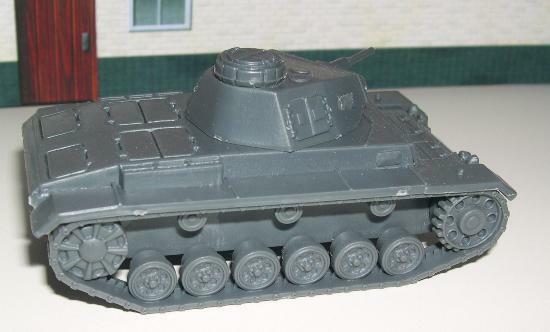 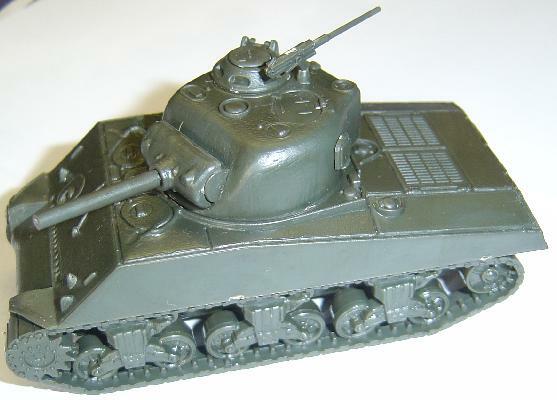 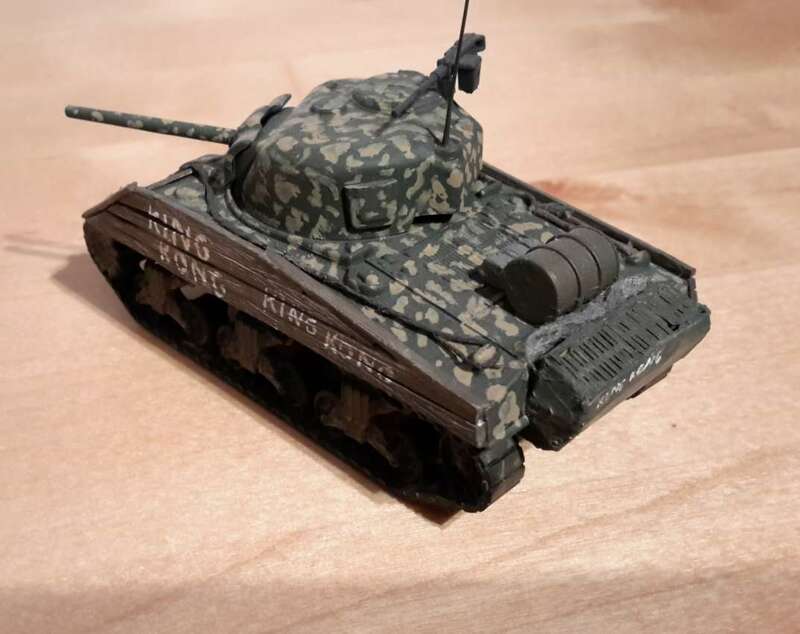 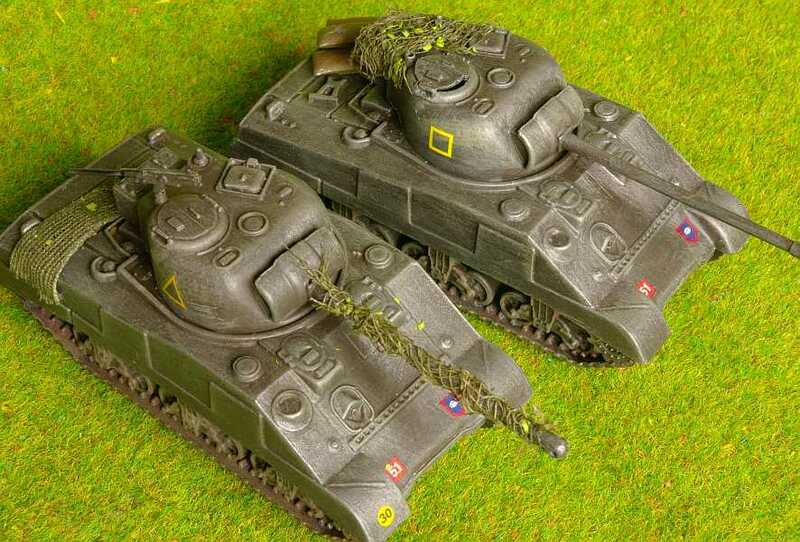 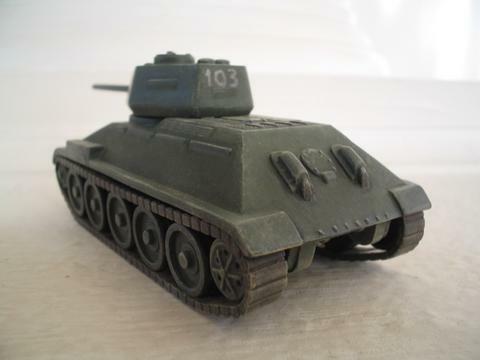 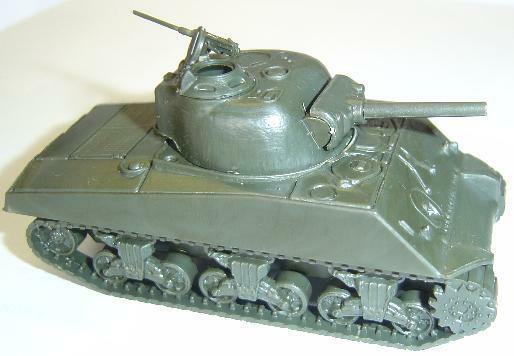 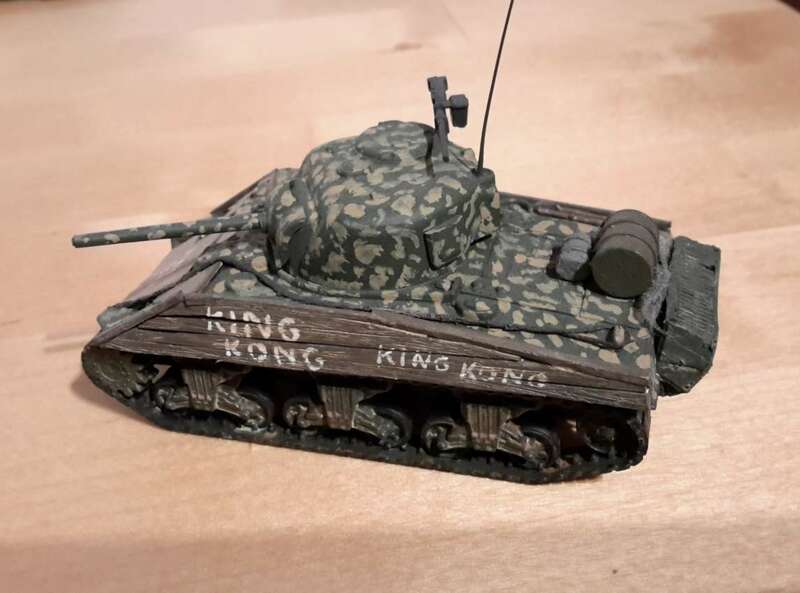 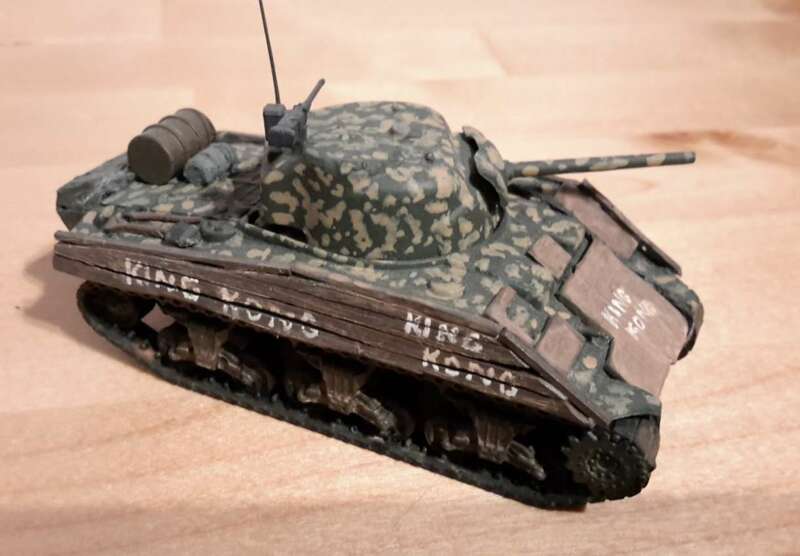 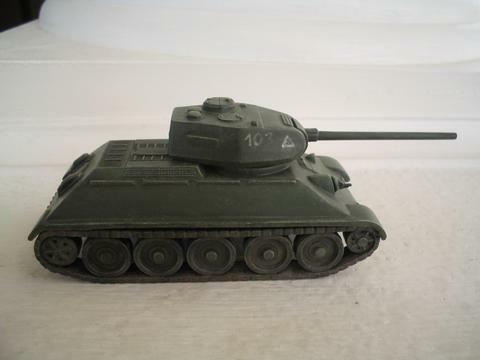 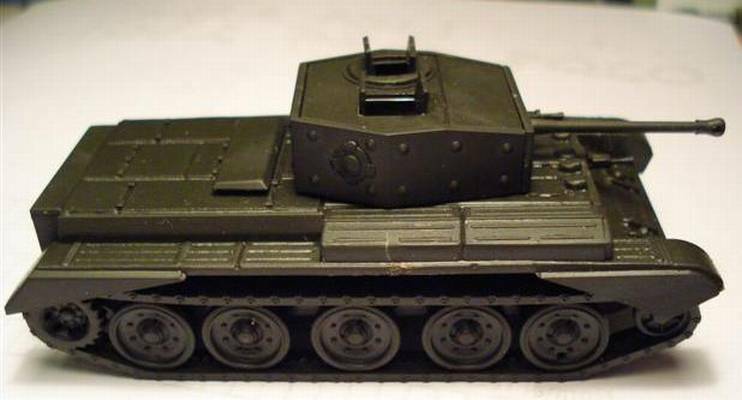 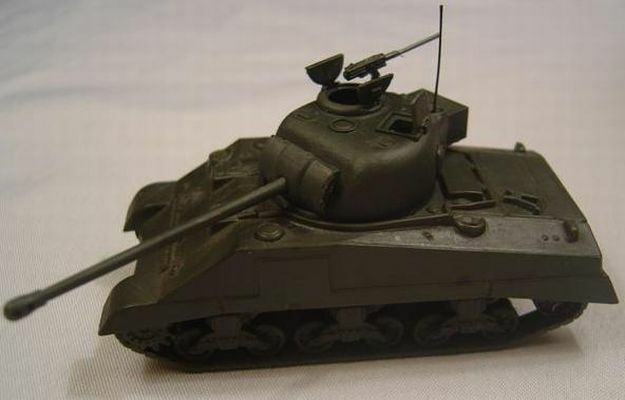 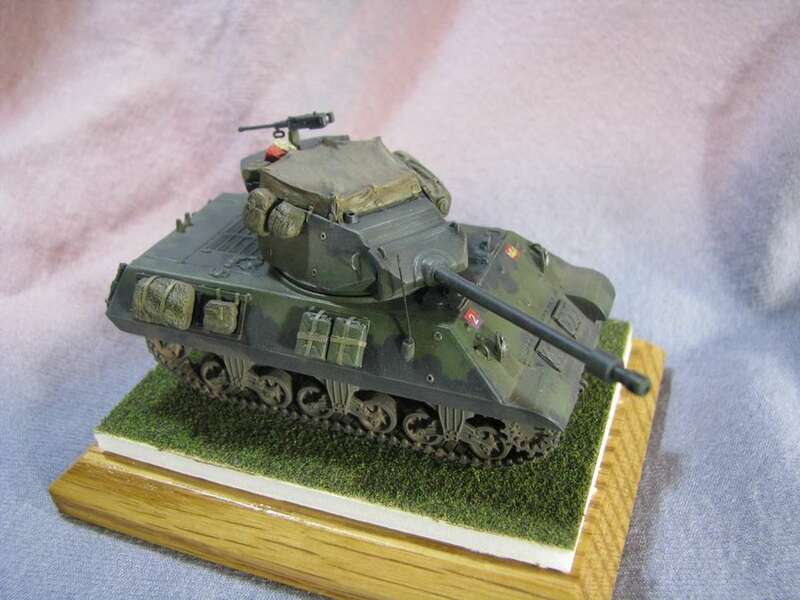 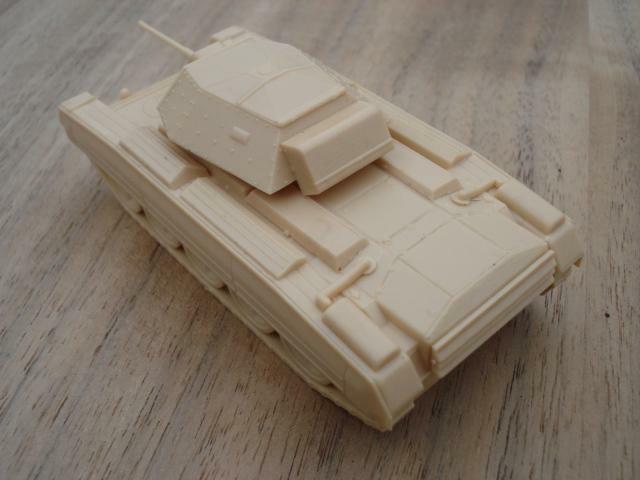 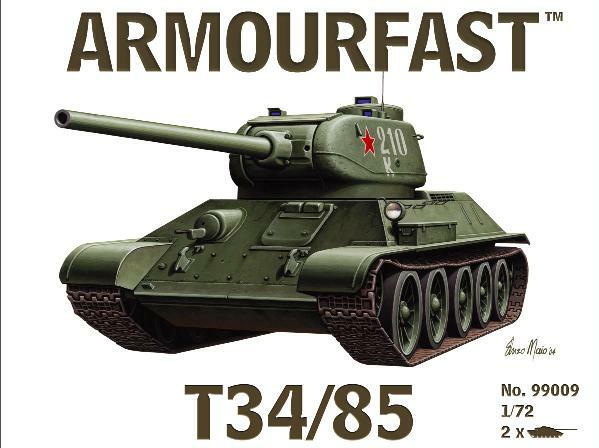 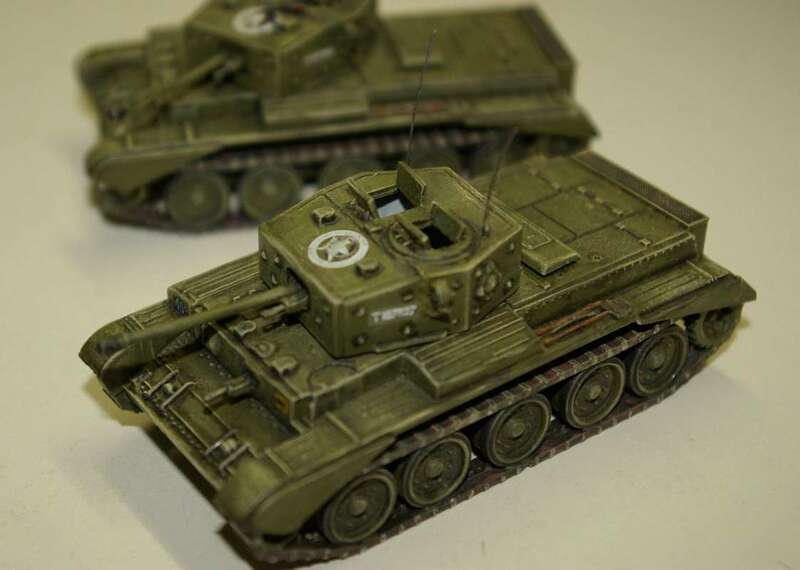 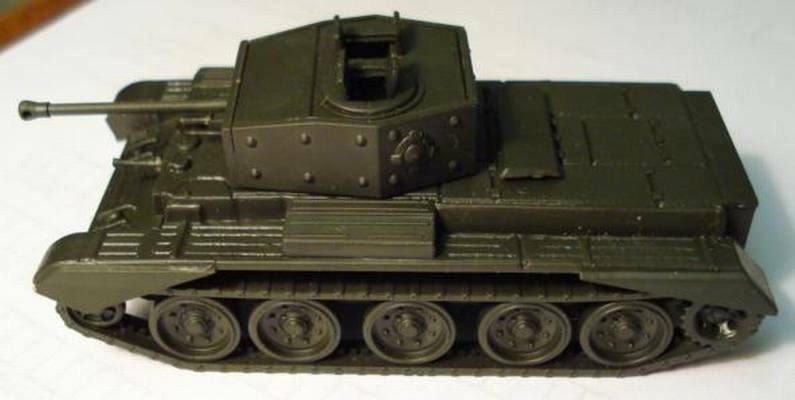 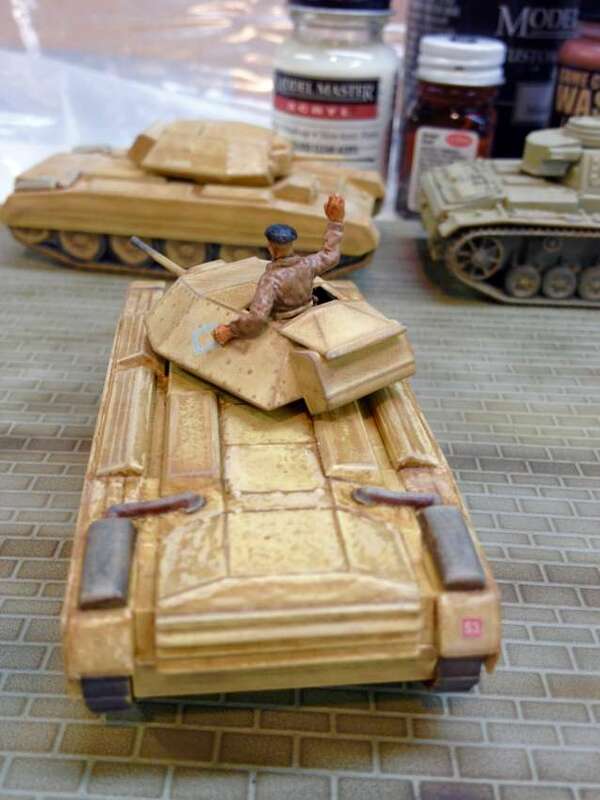 Kit 99005 - T34/76 - 2010: new tooling - painted model by Albert Chen. 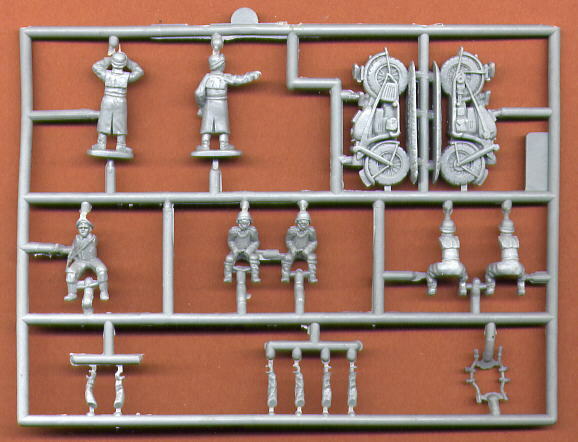 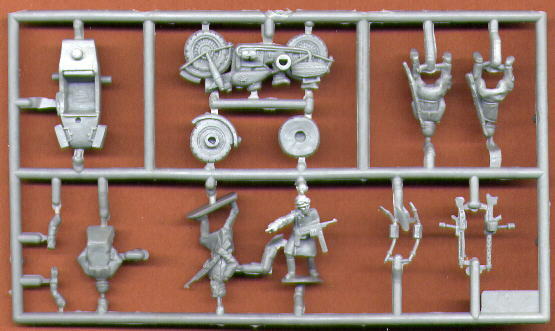 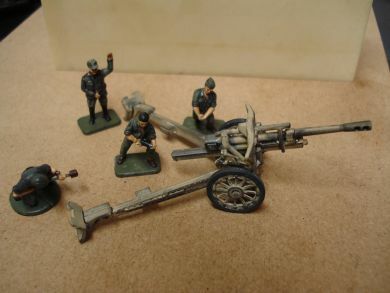 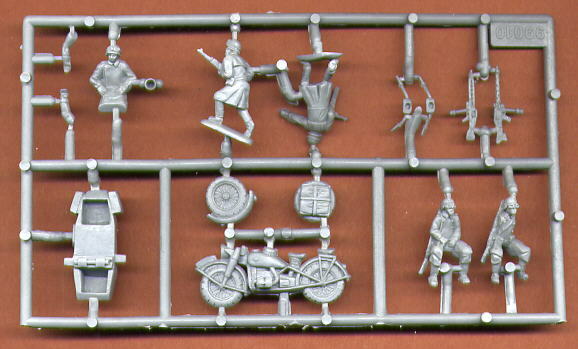 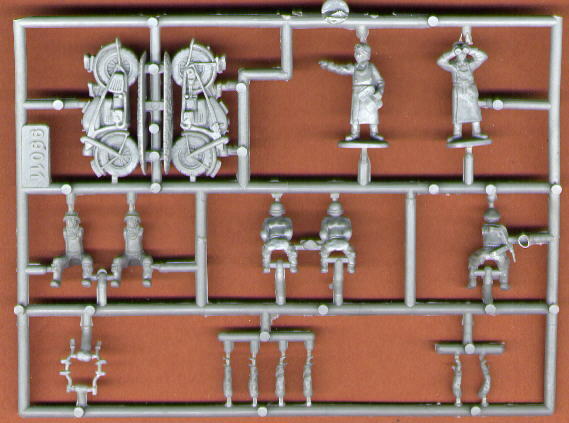 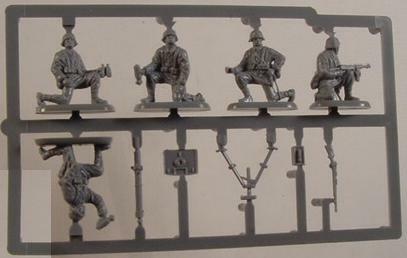 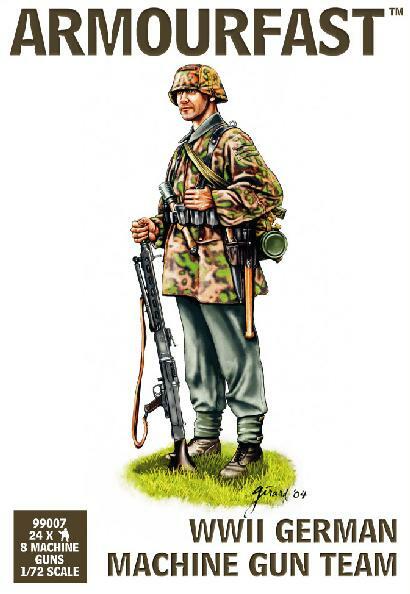 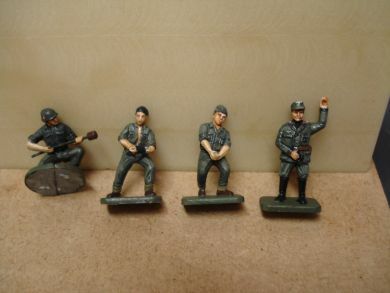 Kit 99006 - WWII German mortar crew. 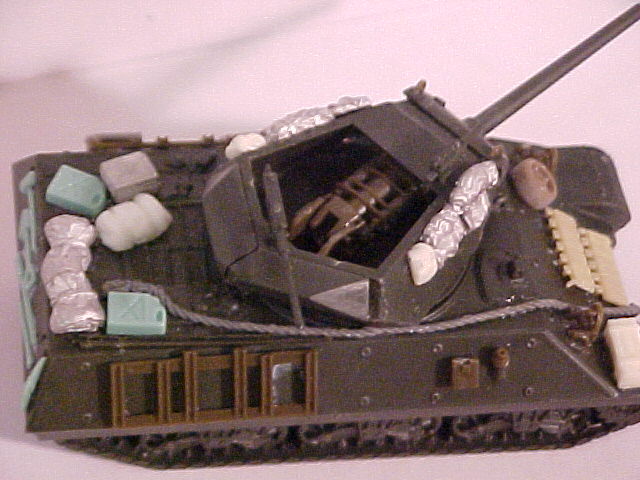 Model built by Doug Iovinelly. 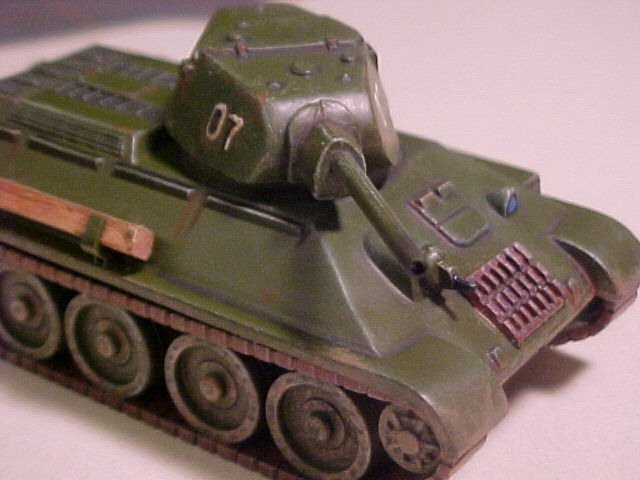 Model built by Albert Chen. 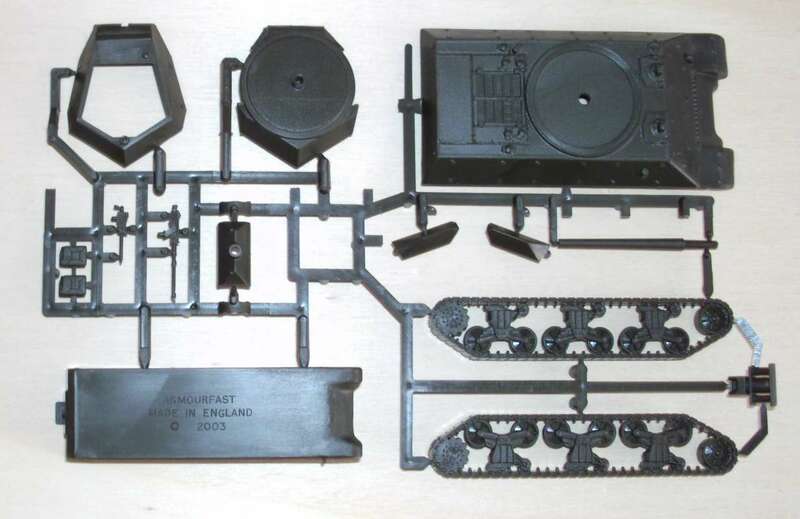 Kit 99009 - T34/85 - 2010: new tooling. 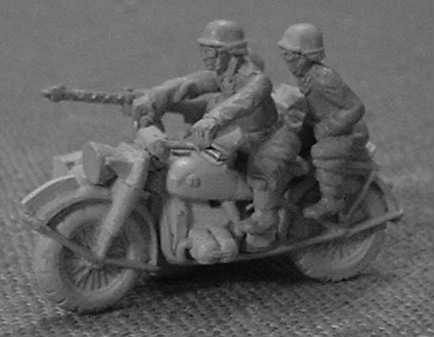 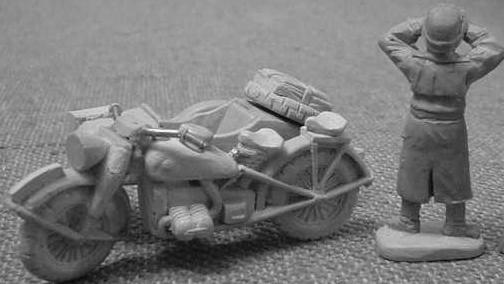 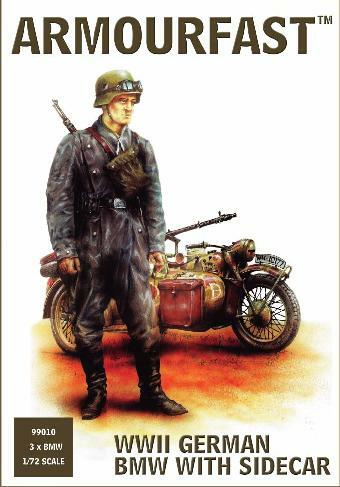 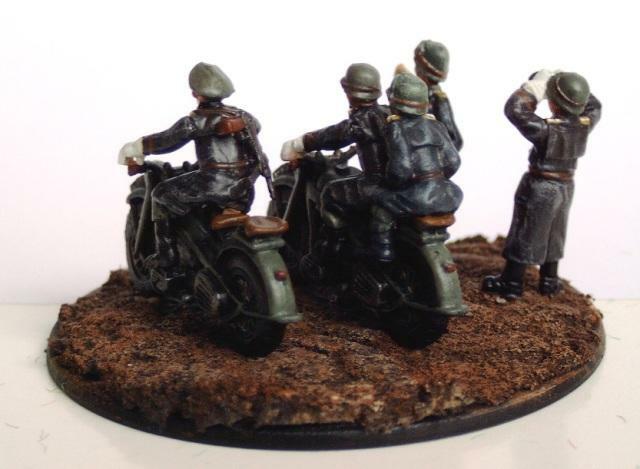 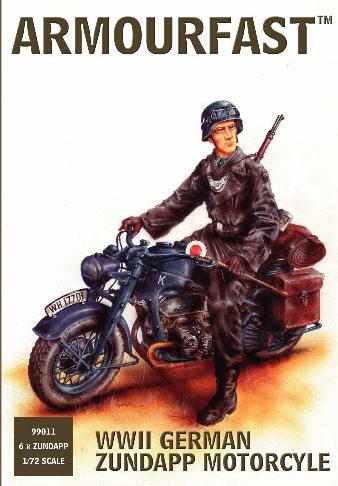 Kit 99010 - German motorcycle reconnaissance. 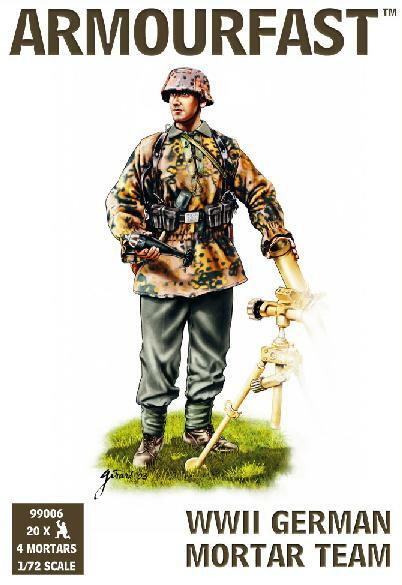 Kit 99011 - German military police. 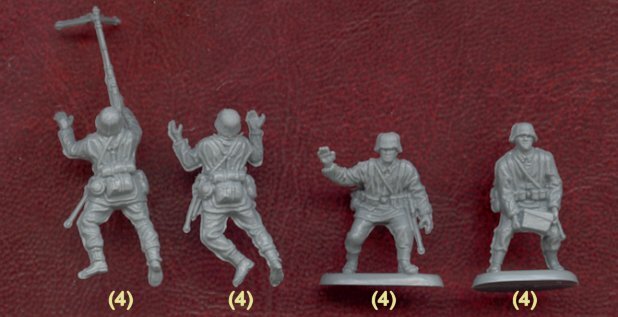 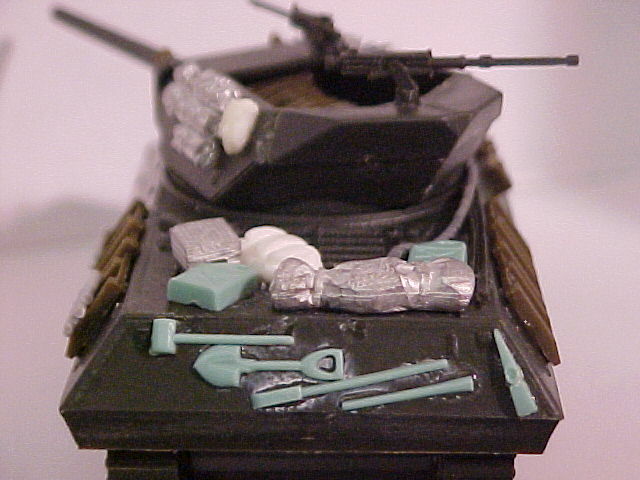 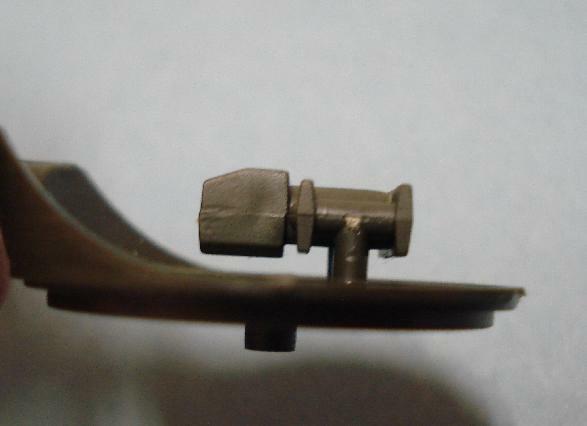 The figure sets are made of soft plastic which can be glued with regular plastic model glue or cement such as Testors. 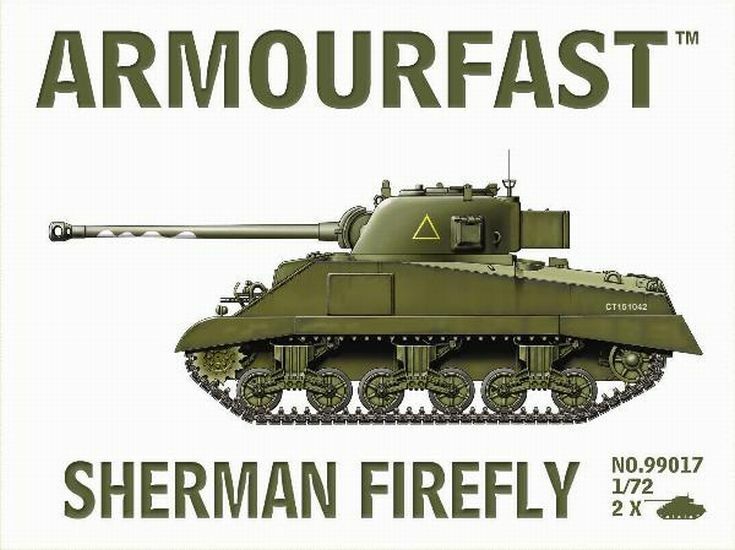 Kit 99012 - Sherman M4A3 76mm. 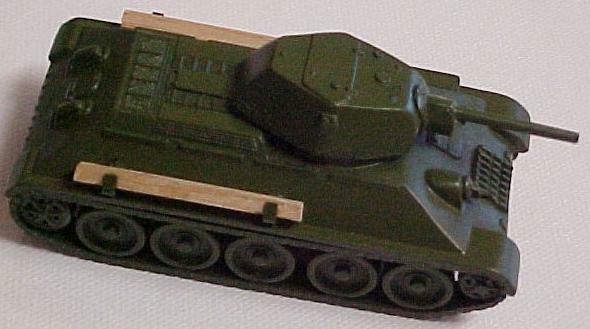 Model built by Olaf Klein. 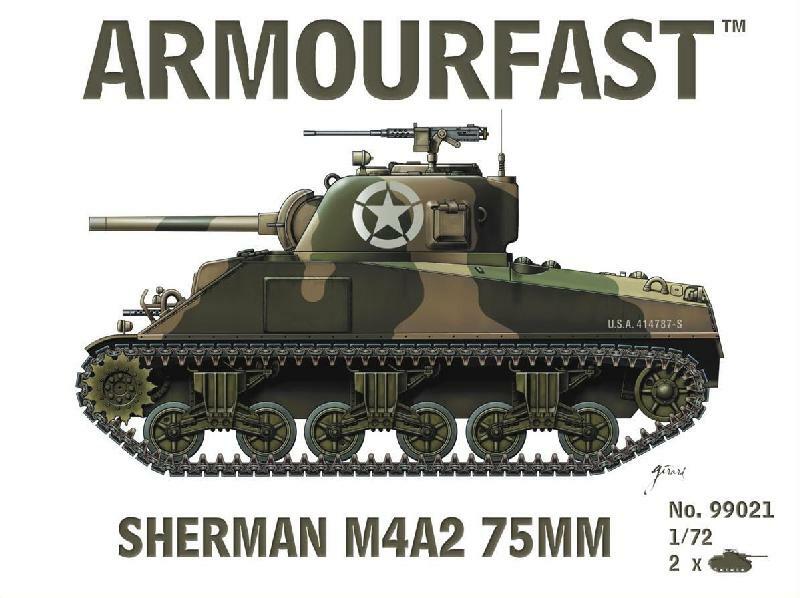 Kit 99014 - Sherman M4A3 75mm. 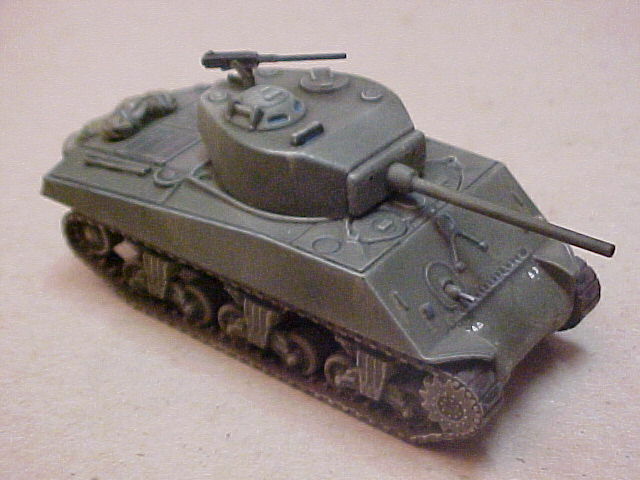 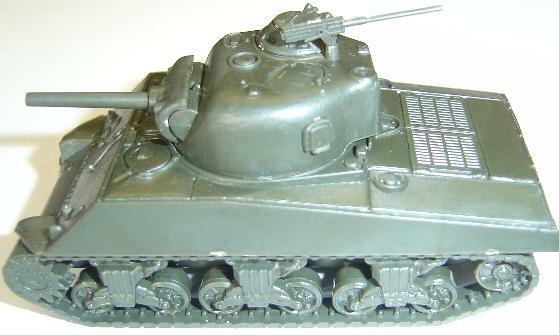 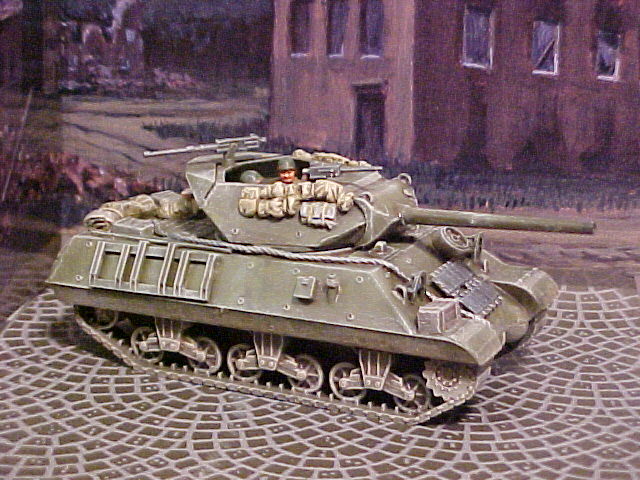 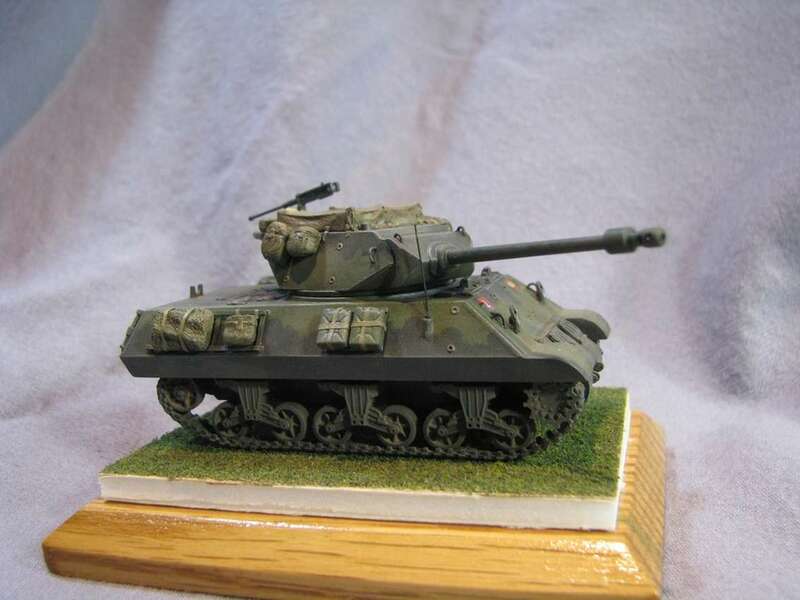 Kit 99015 - Sherman M4A3 105mm. 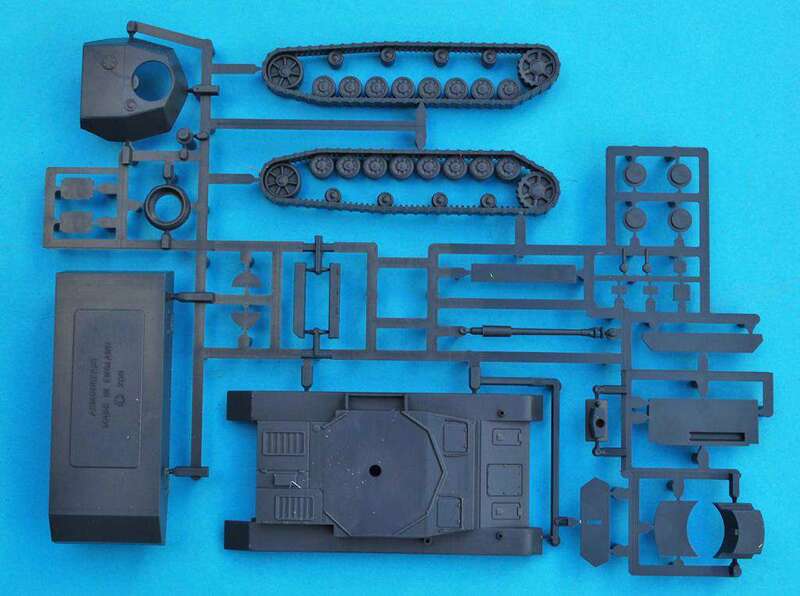 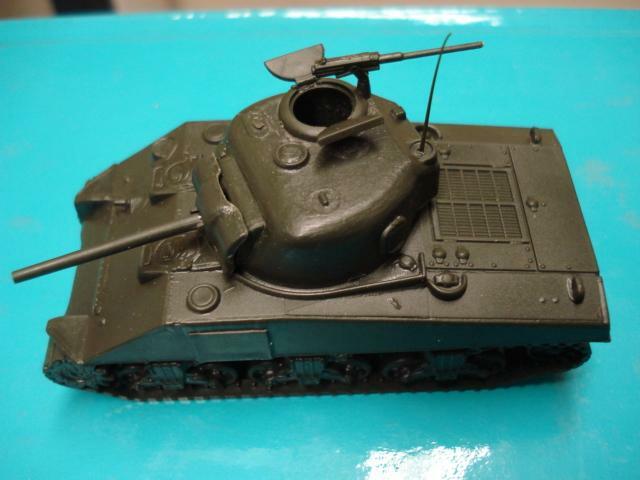 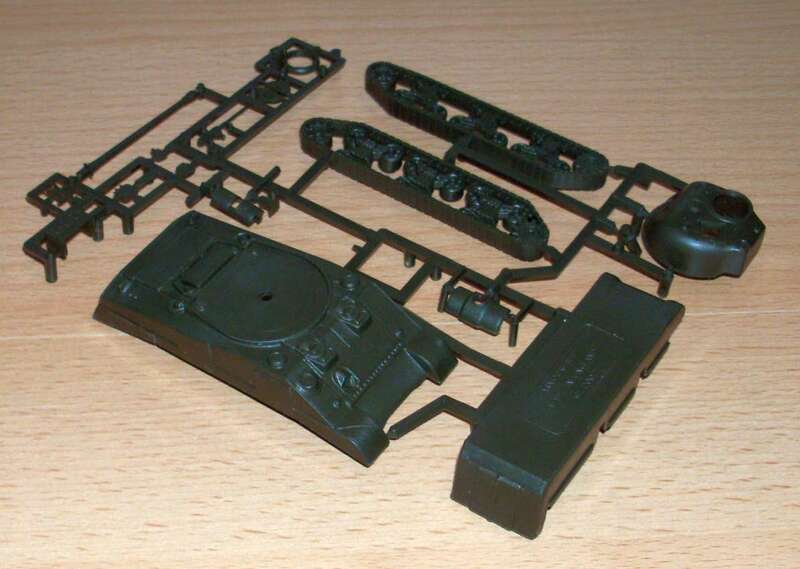 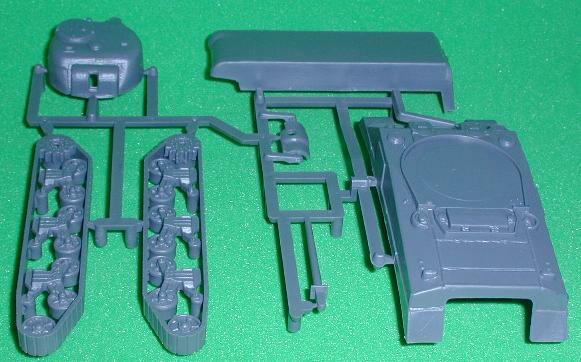 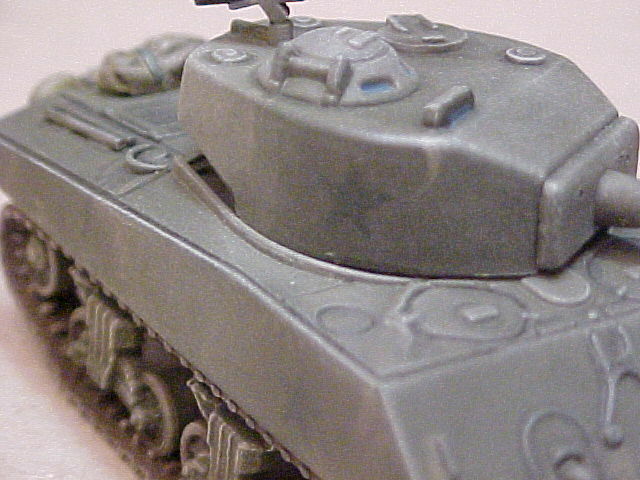 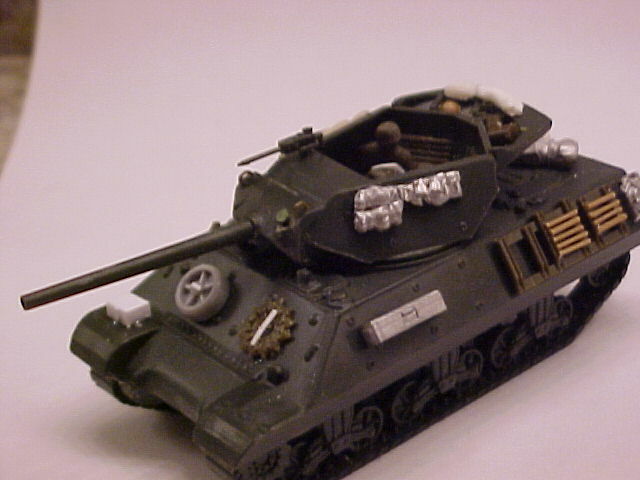 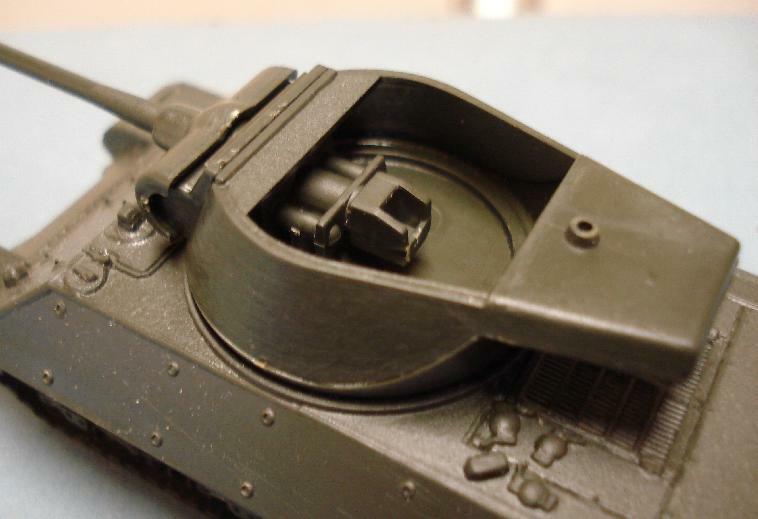 Kit 99017 - Sherman Firefly. 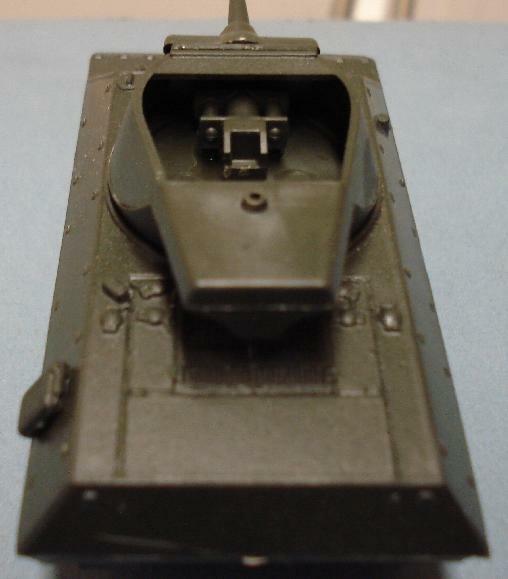 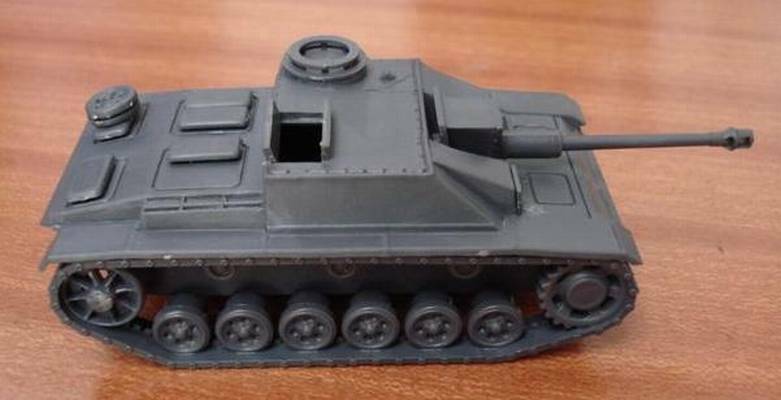 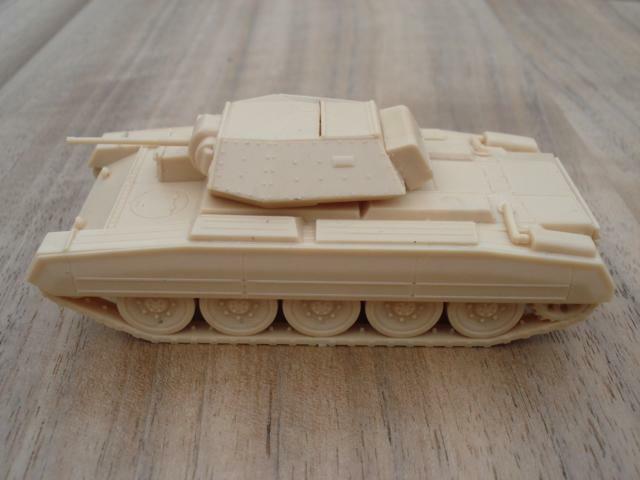 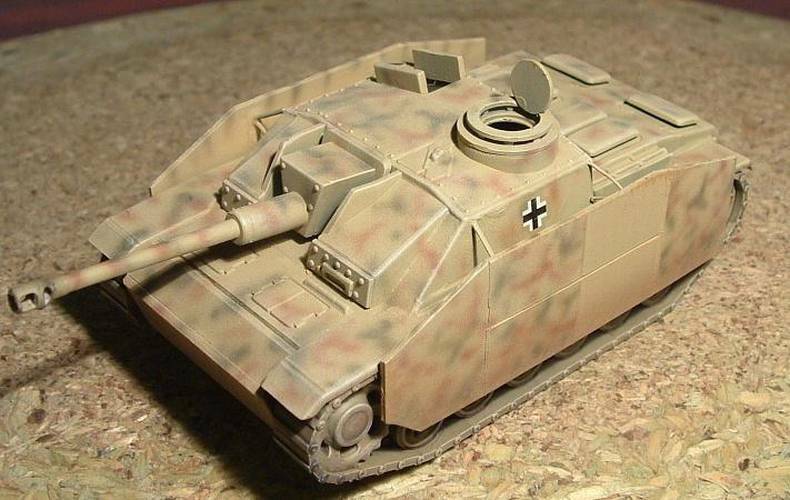 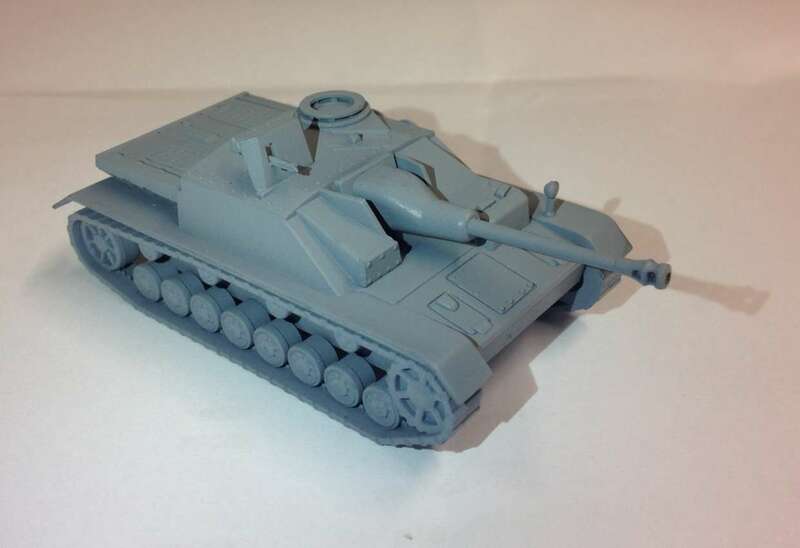 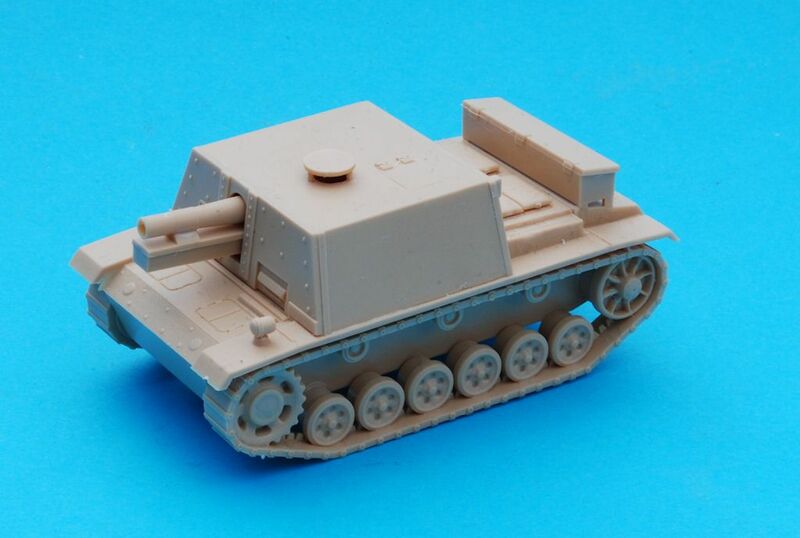 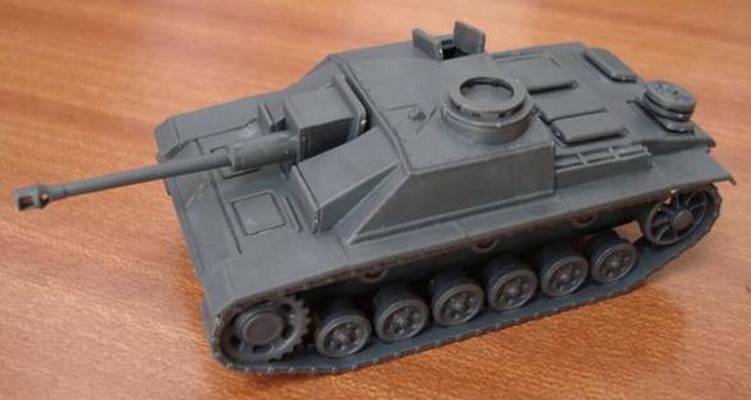 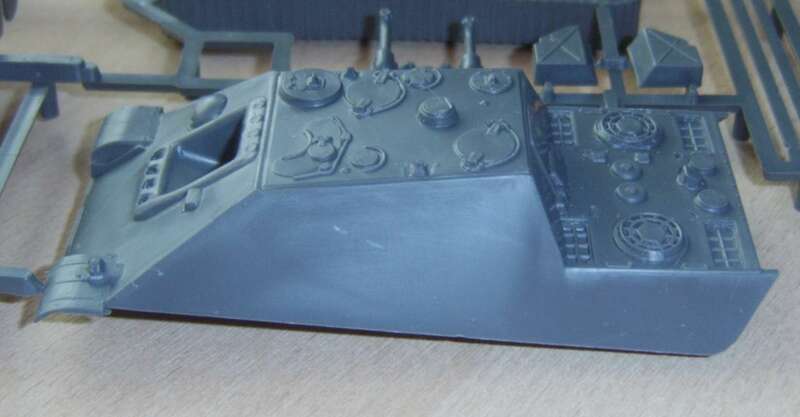 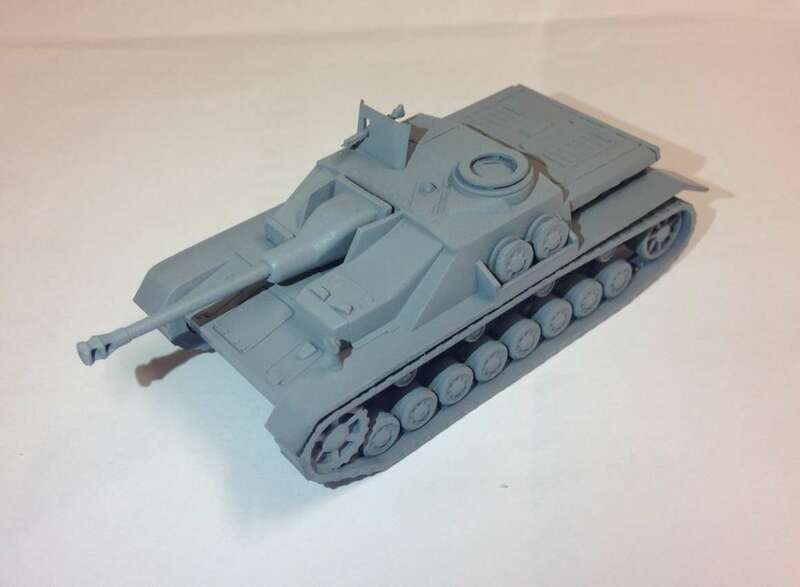 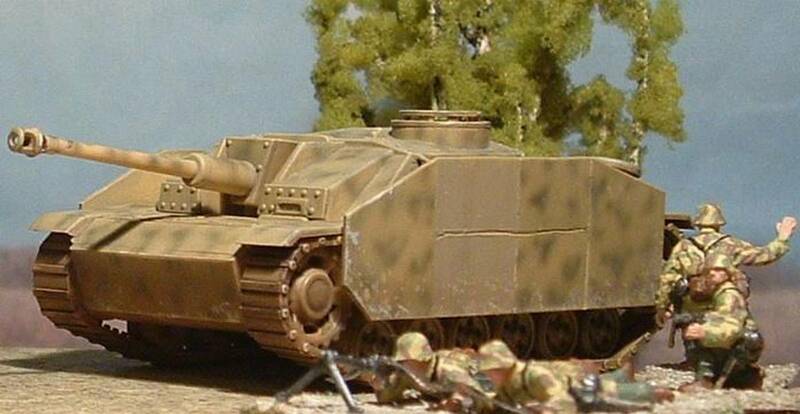 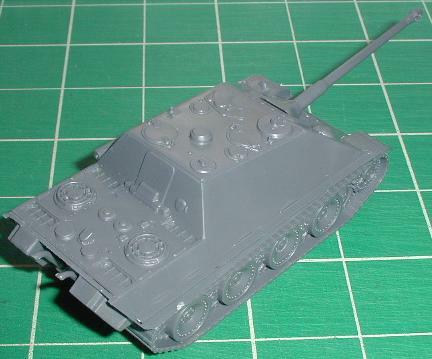 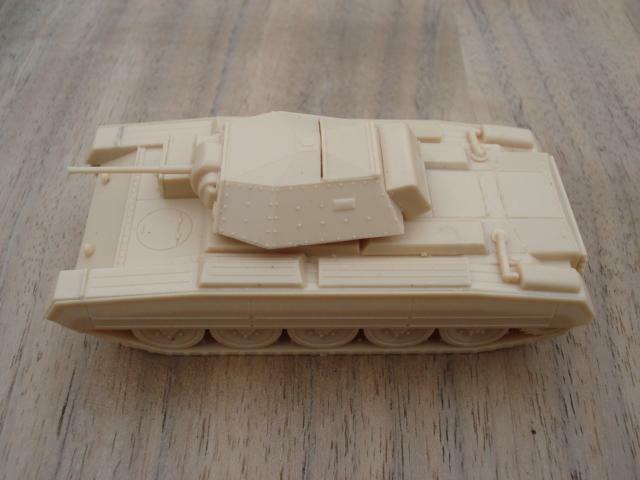 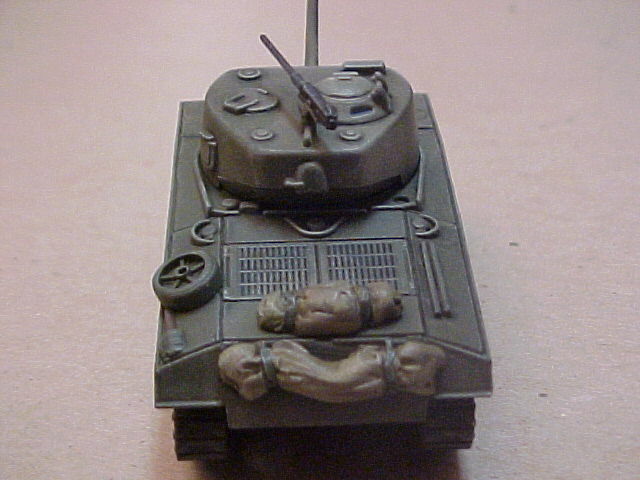 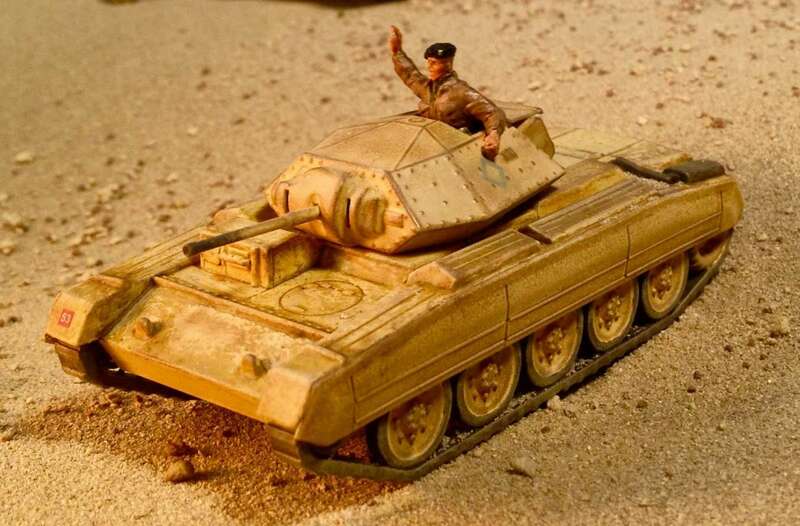 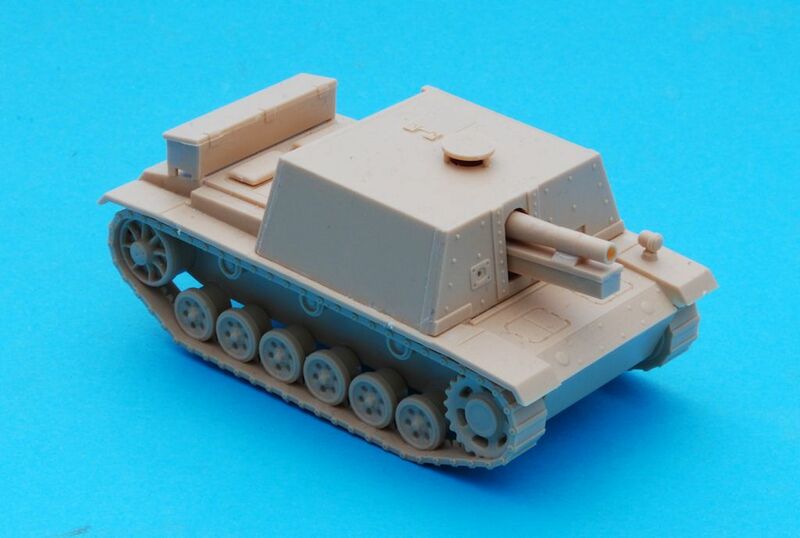 Kit 99018 - STUG III. 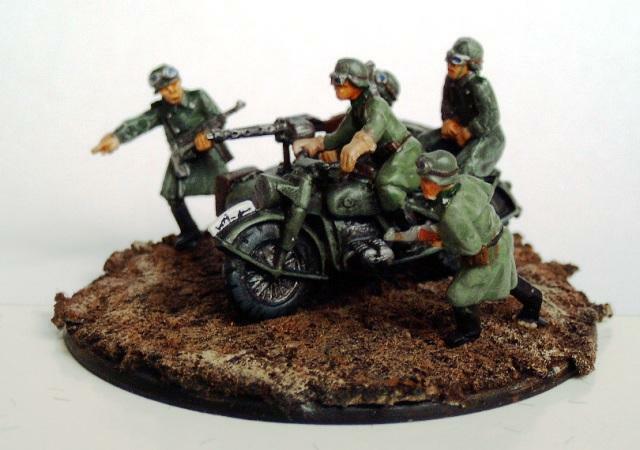 Kit built by Krisztian Takacs and painted by Somogyi Laszlo. 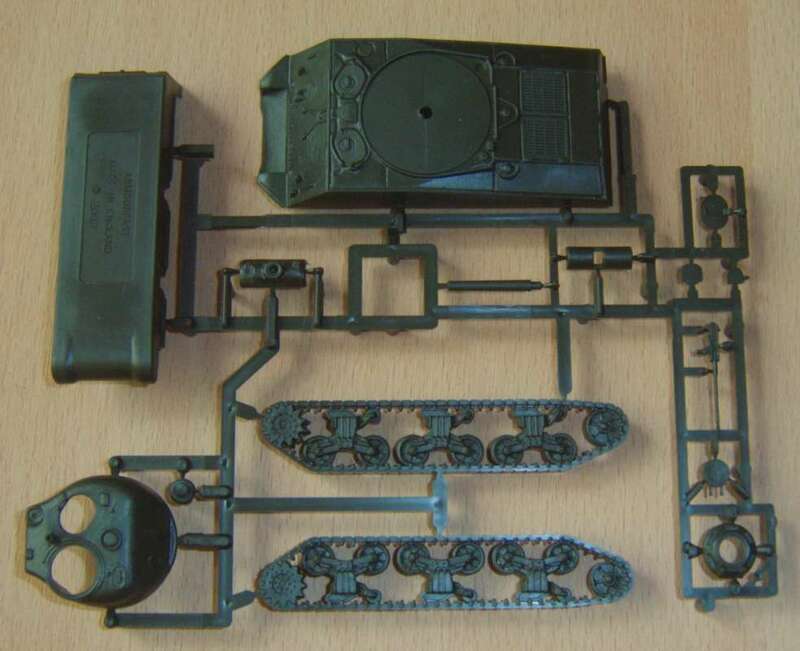 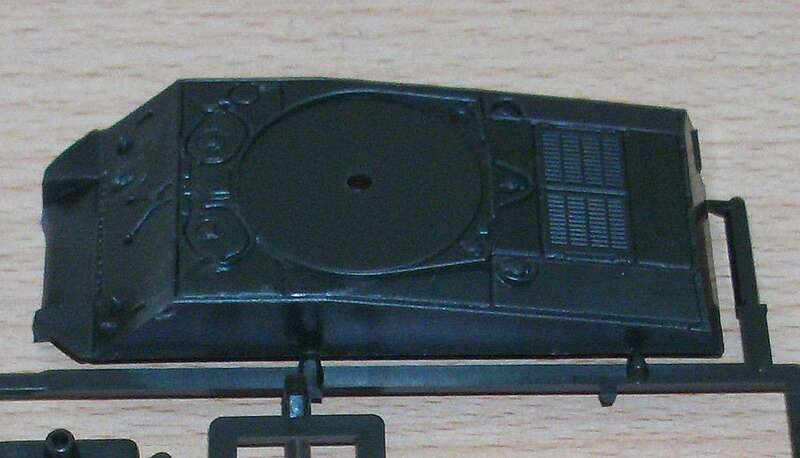 Kit 99019 - SdKfz. 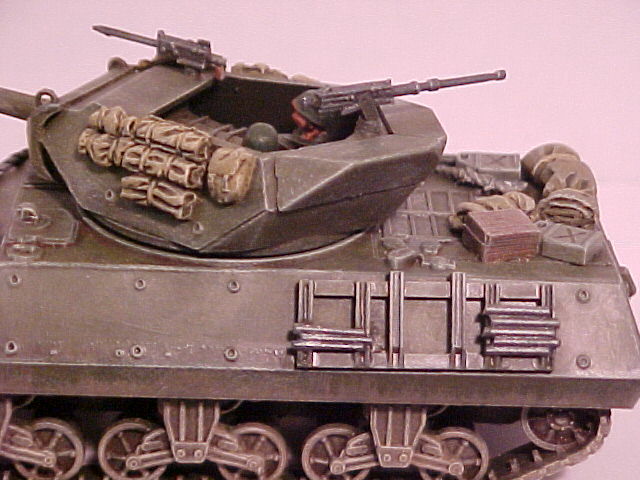 251/c. 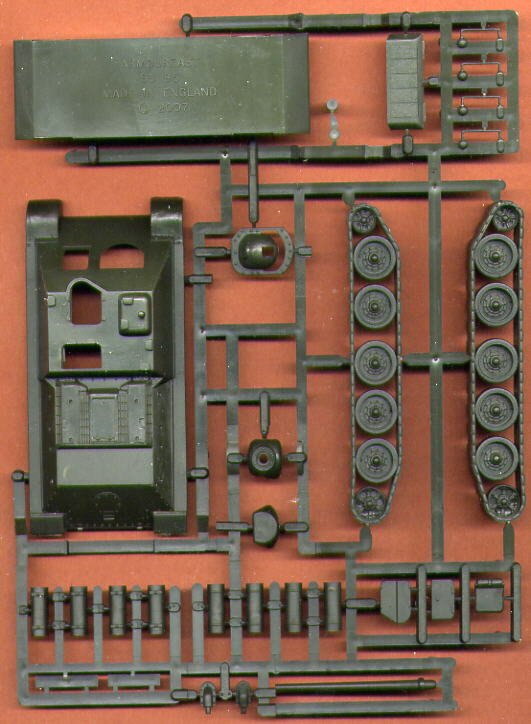 Kit 99020 - Russian SU-85. 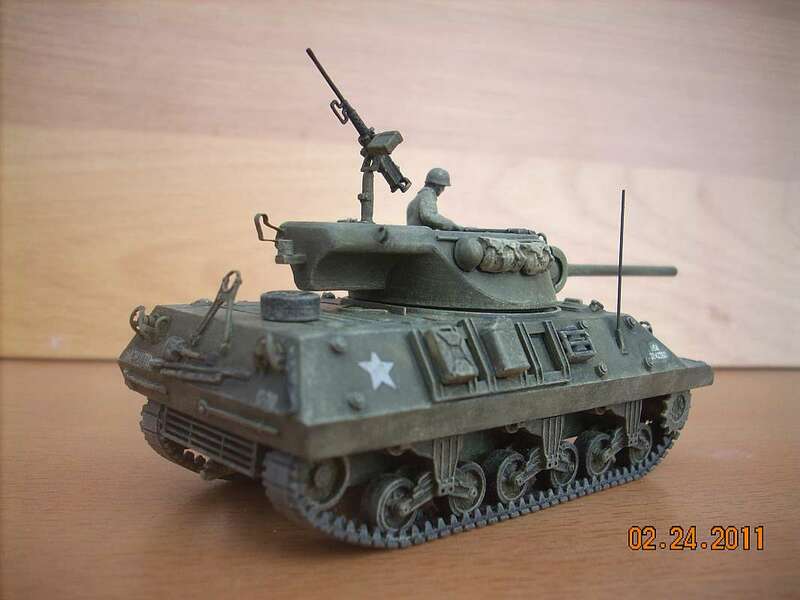 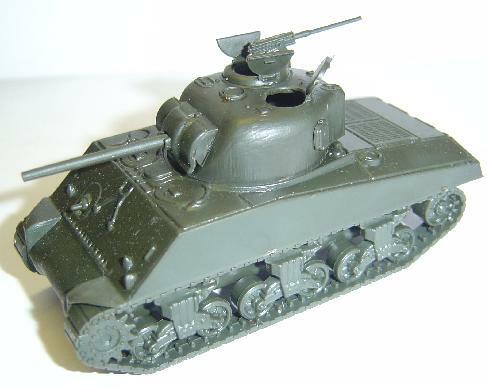 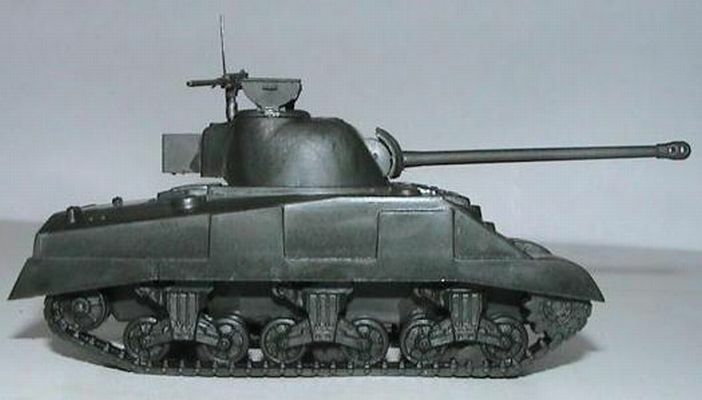 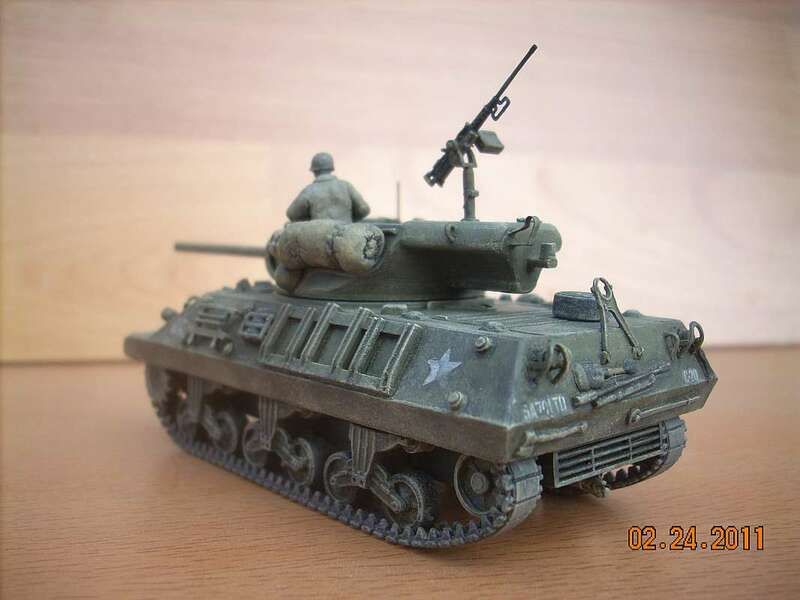 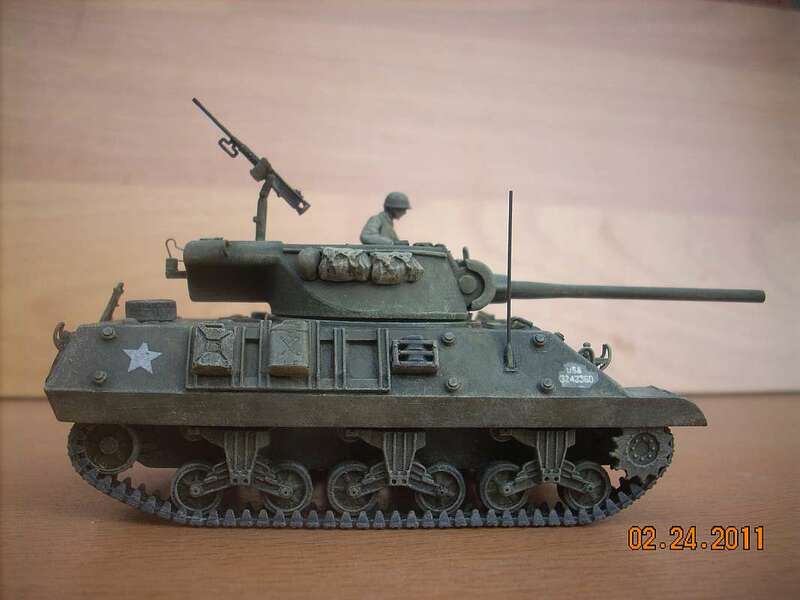 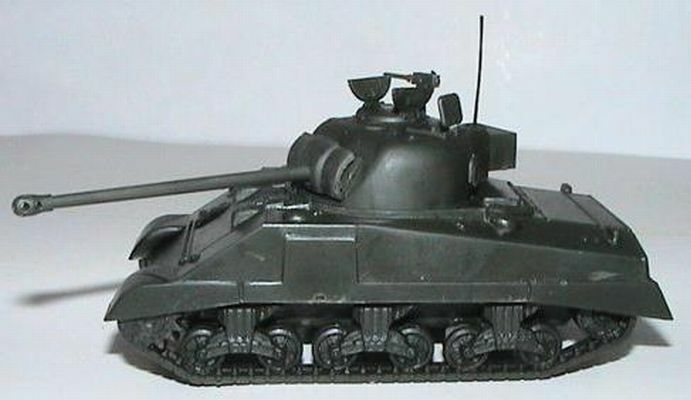 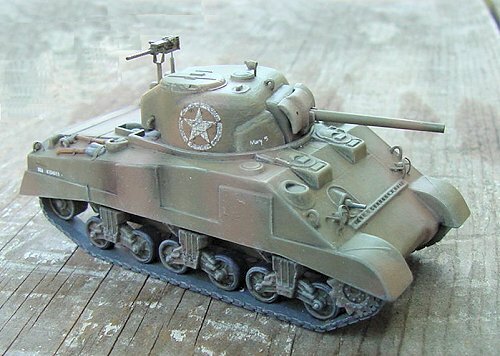 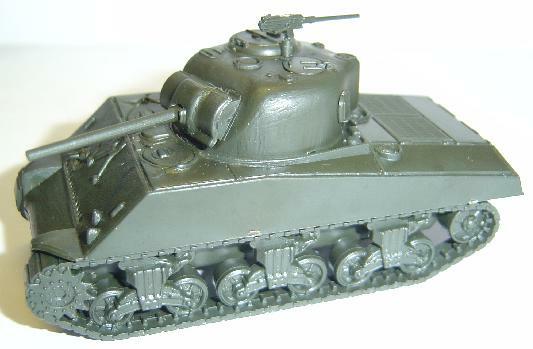 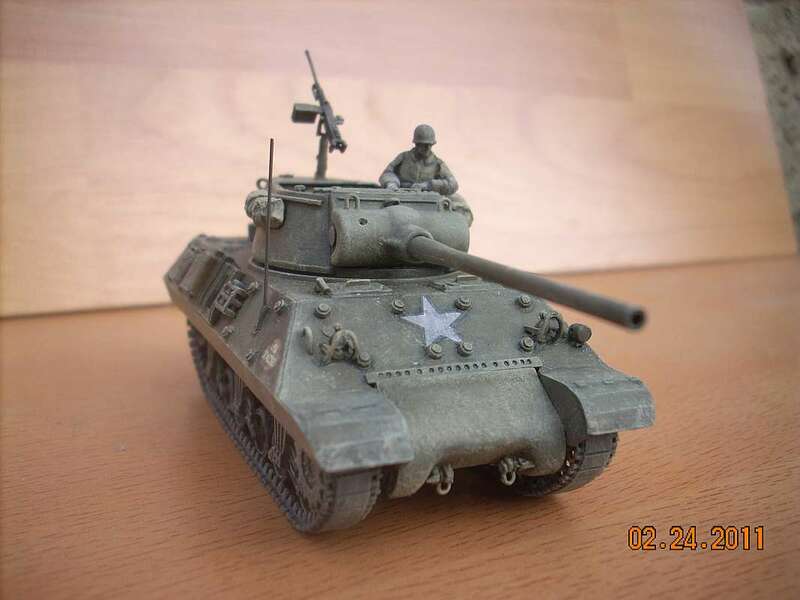 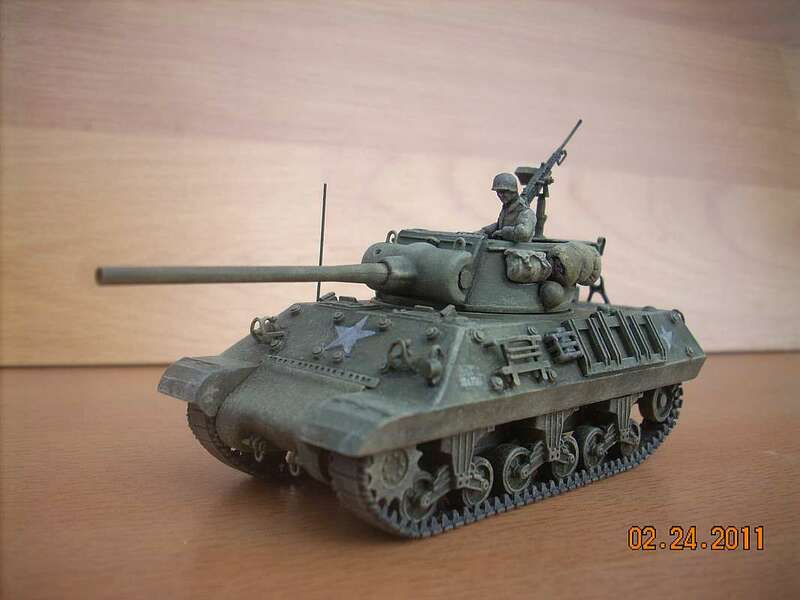 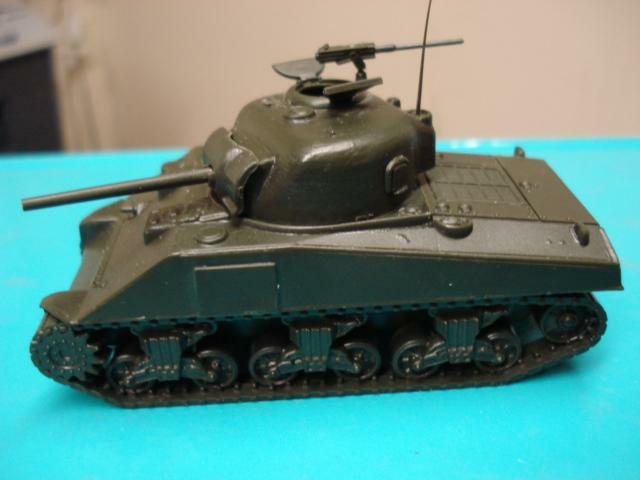 Kit 99021 - Sherman M4A2 75mm. 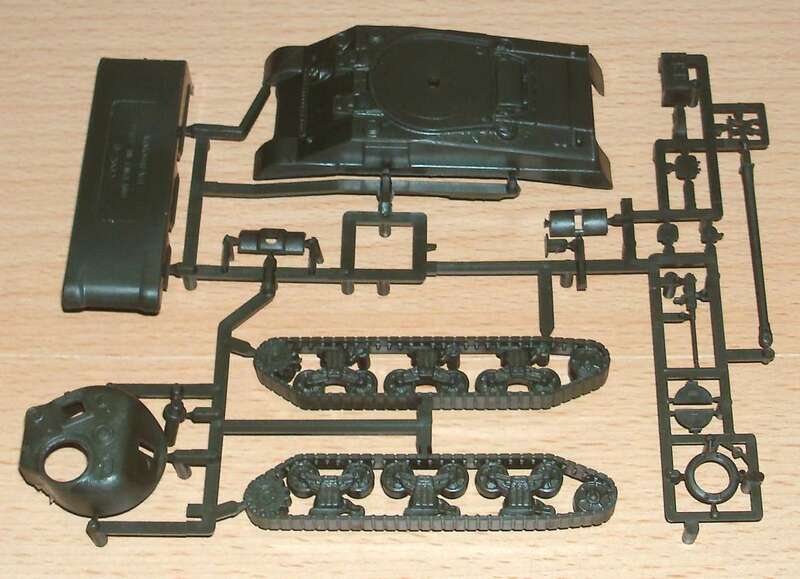 Kit 99022 - T34/76 1943. 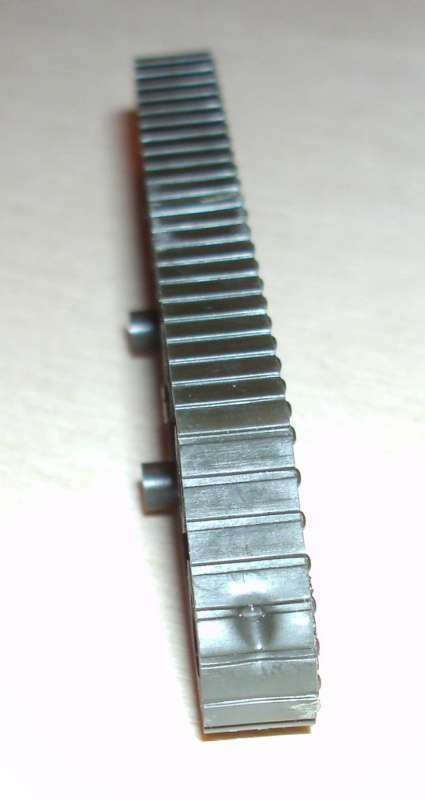 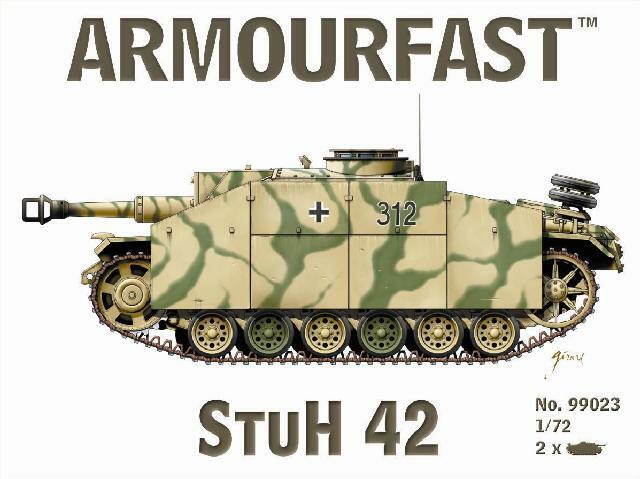 Kit 99023 - StuH 42. 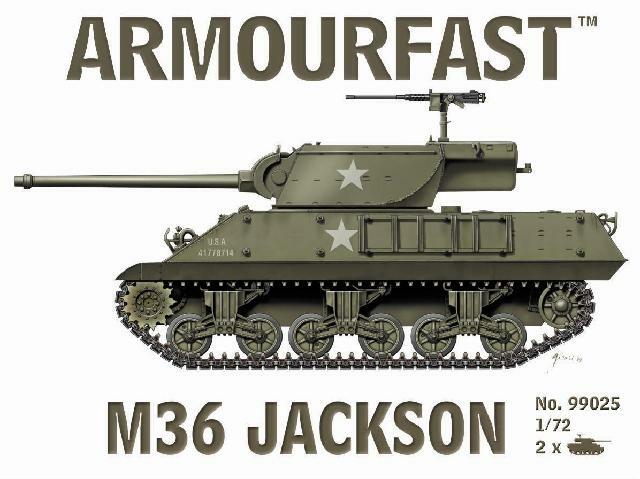 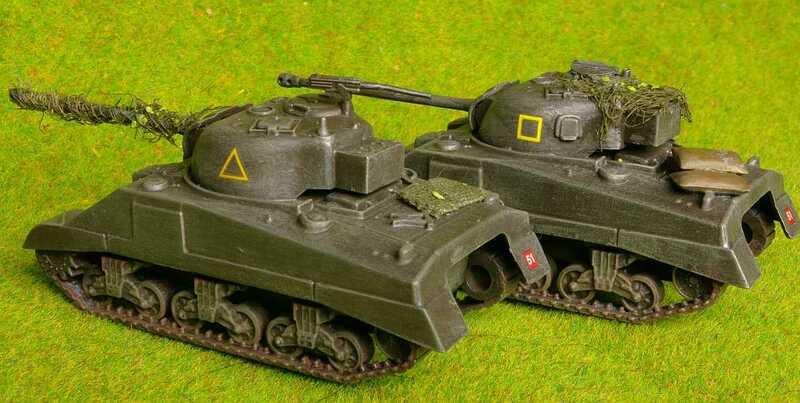 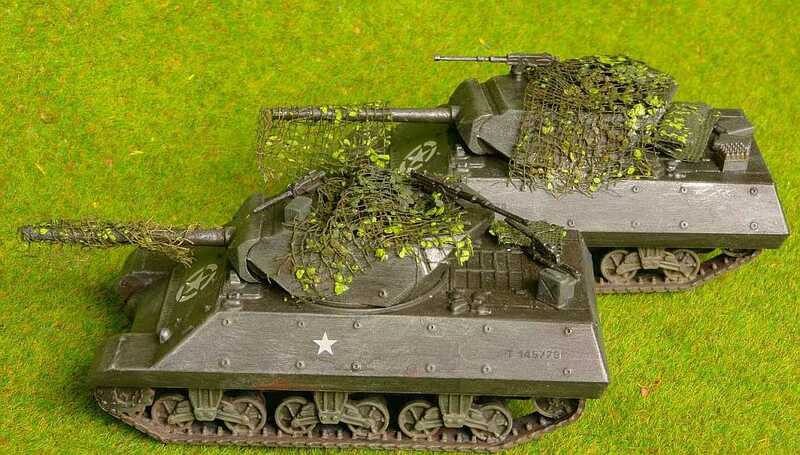 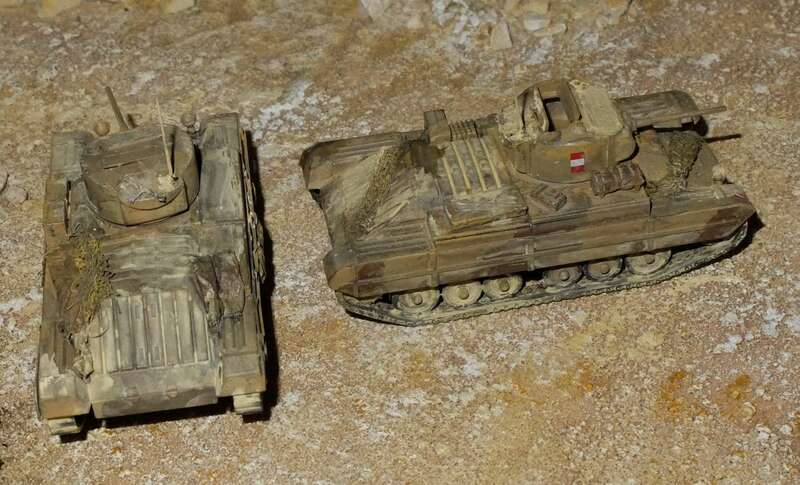 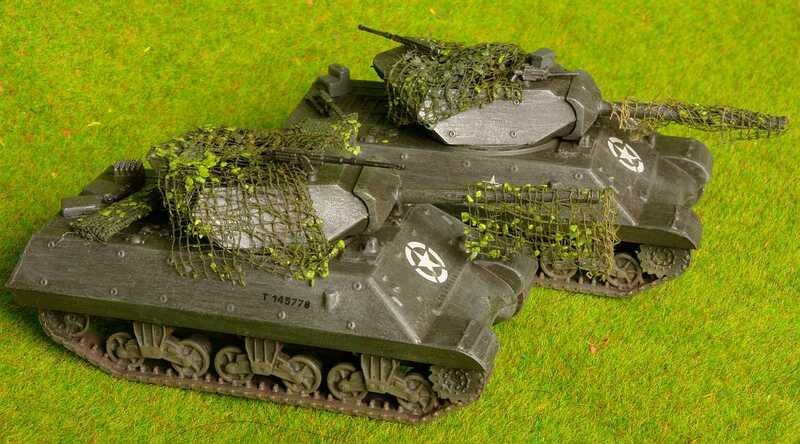 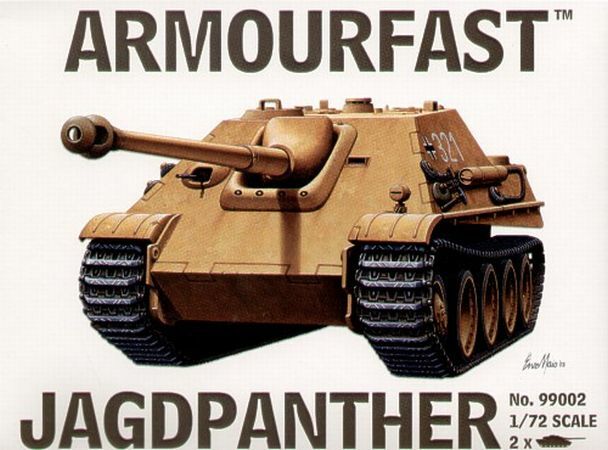 Kit 99024 - Panther G.
Kit 99025 - M36 Jackson. 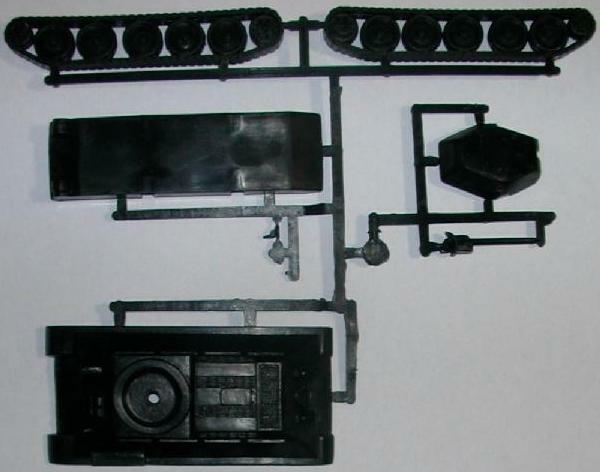 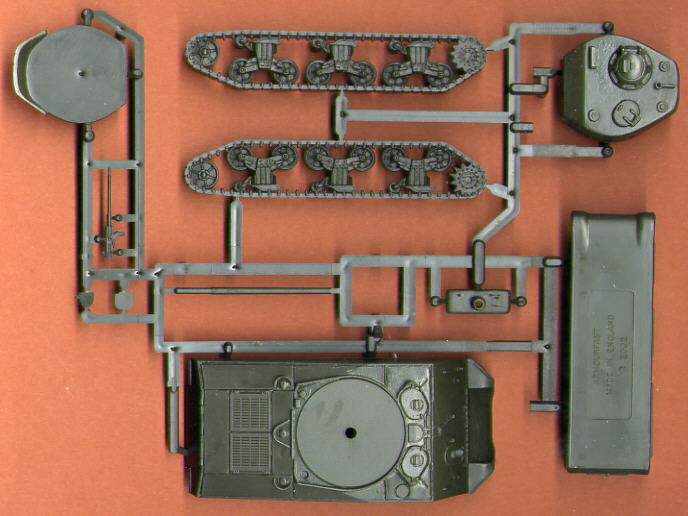 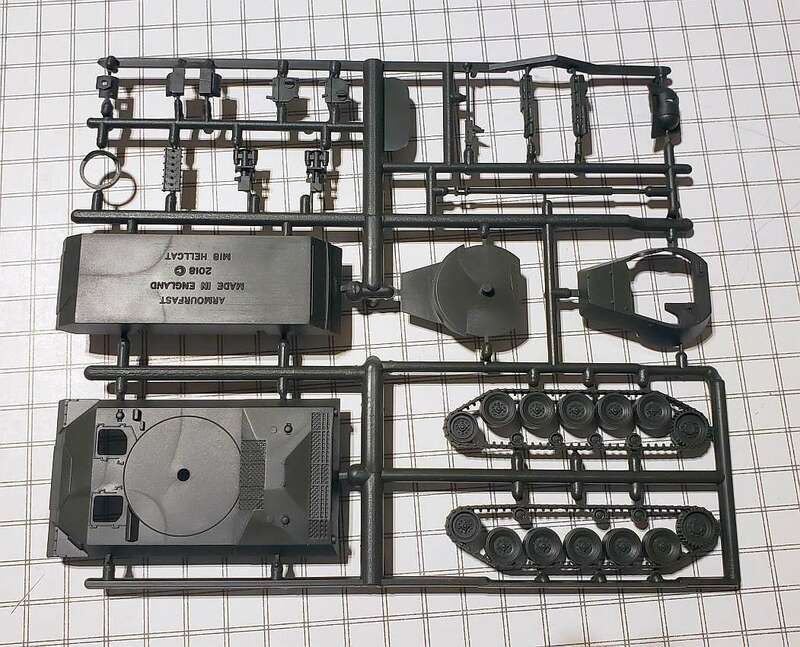 Model built by Albert Chen with additional/replacing parts from other manufacturers. 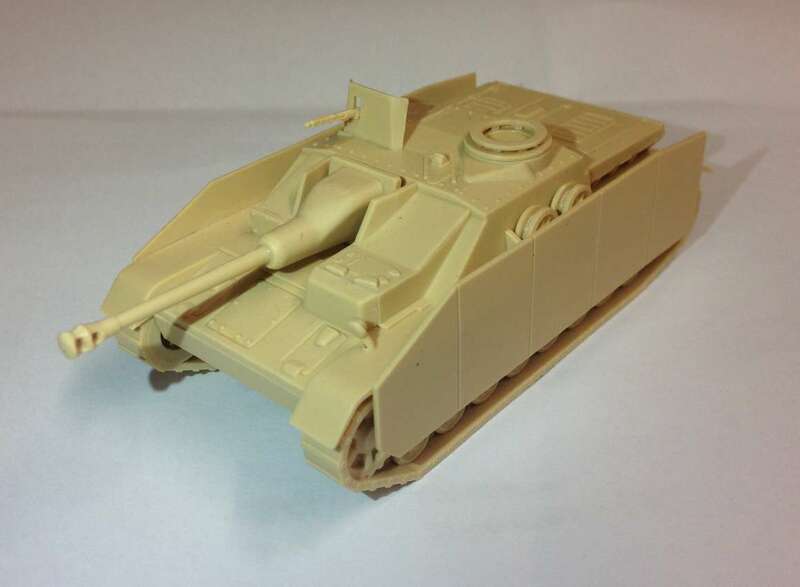 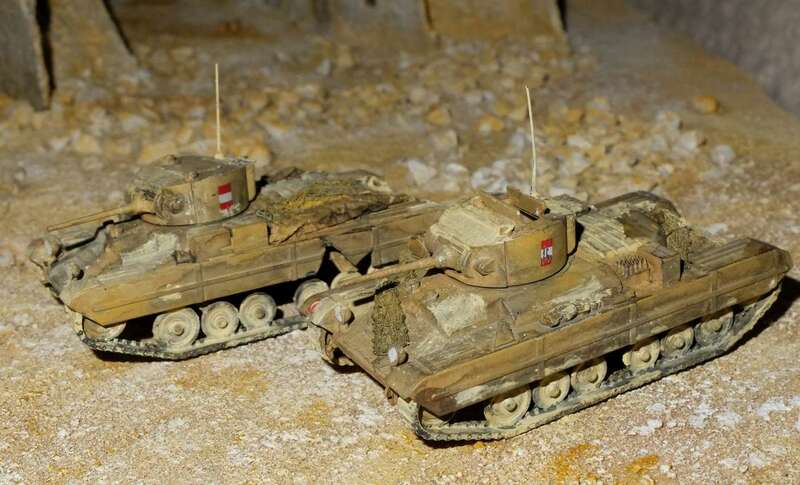 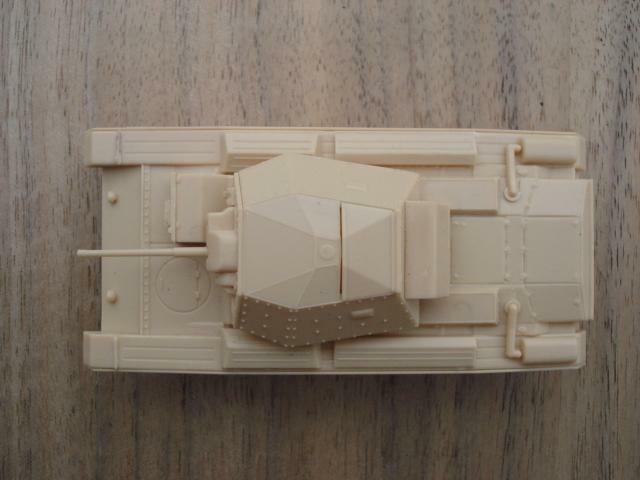 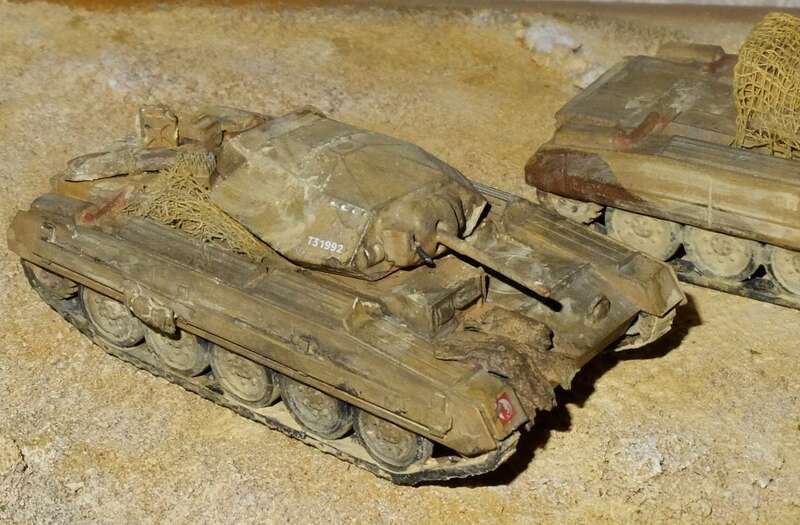 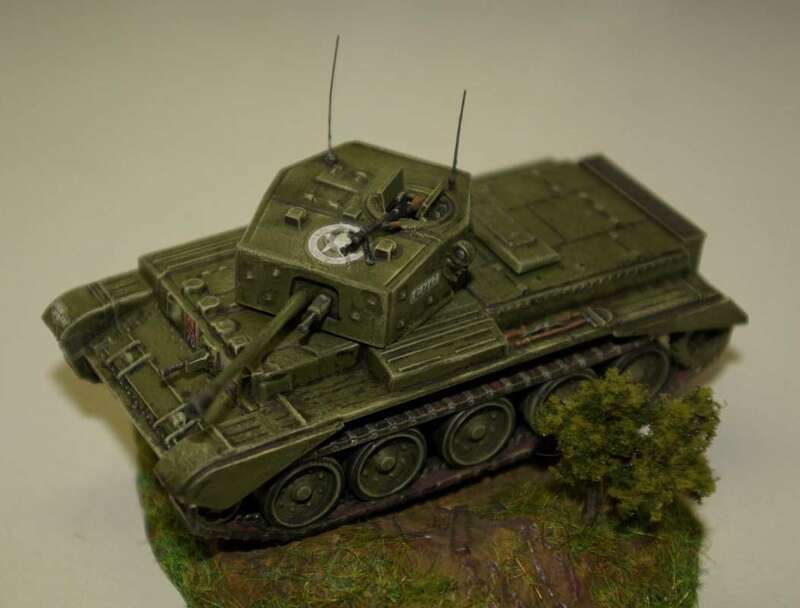 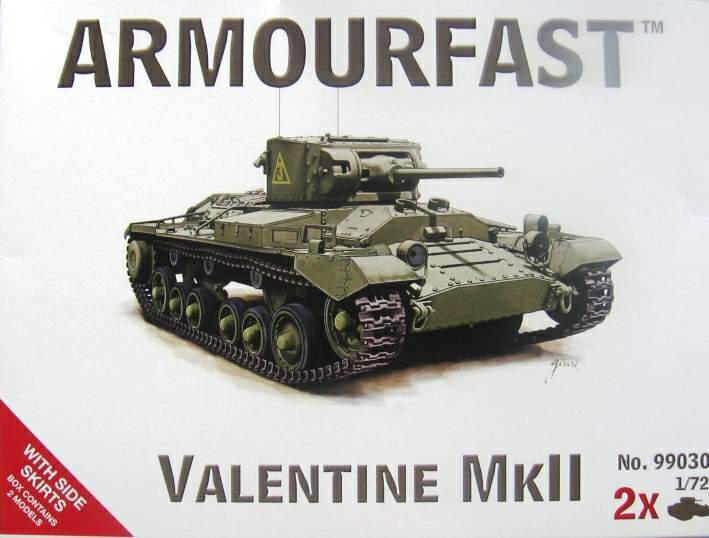 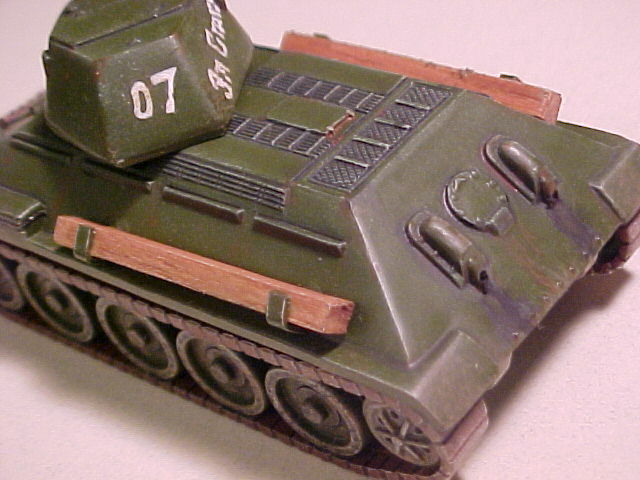 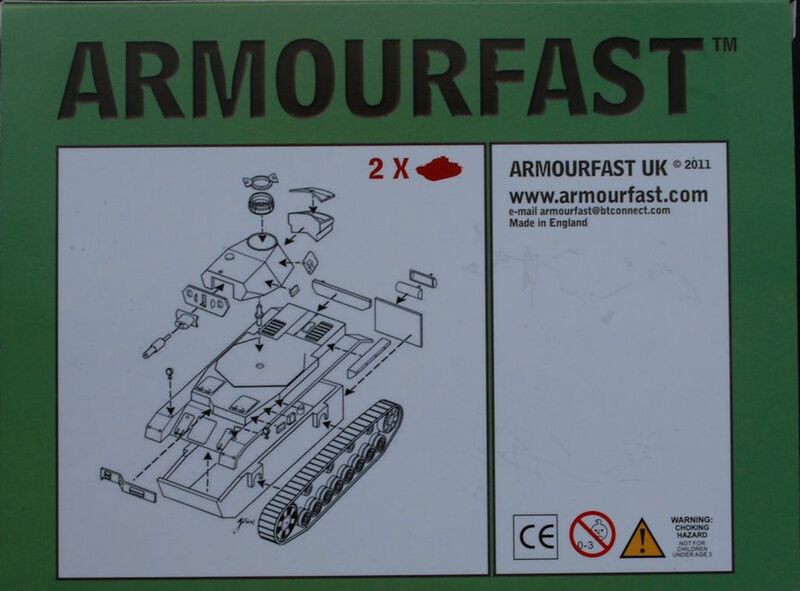 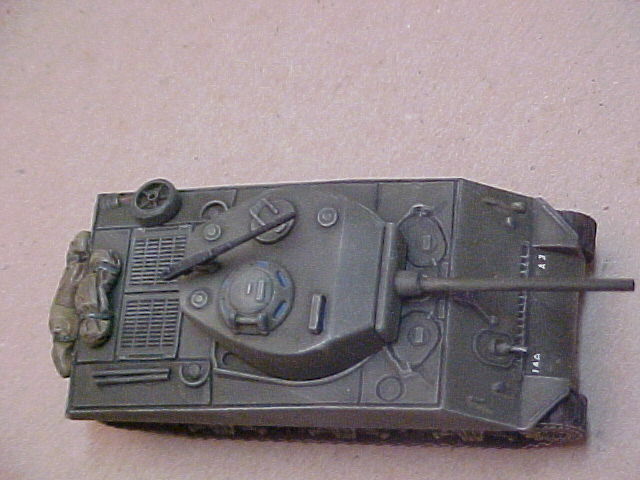 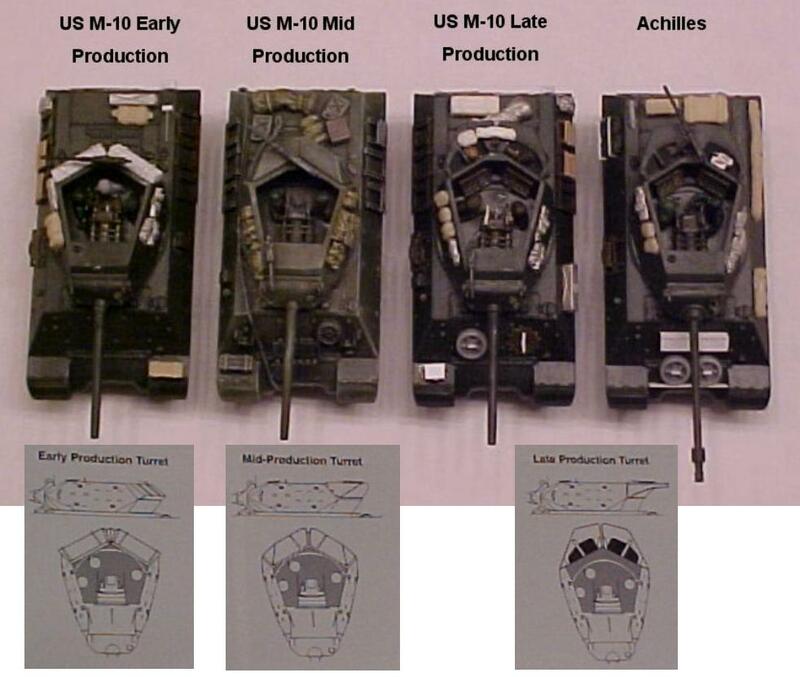 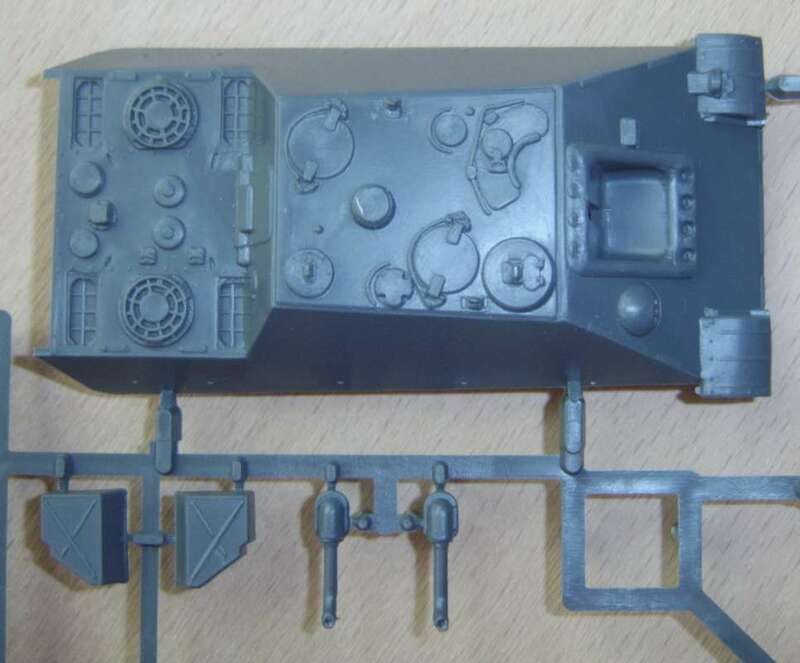 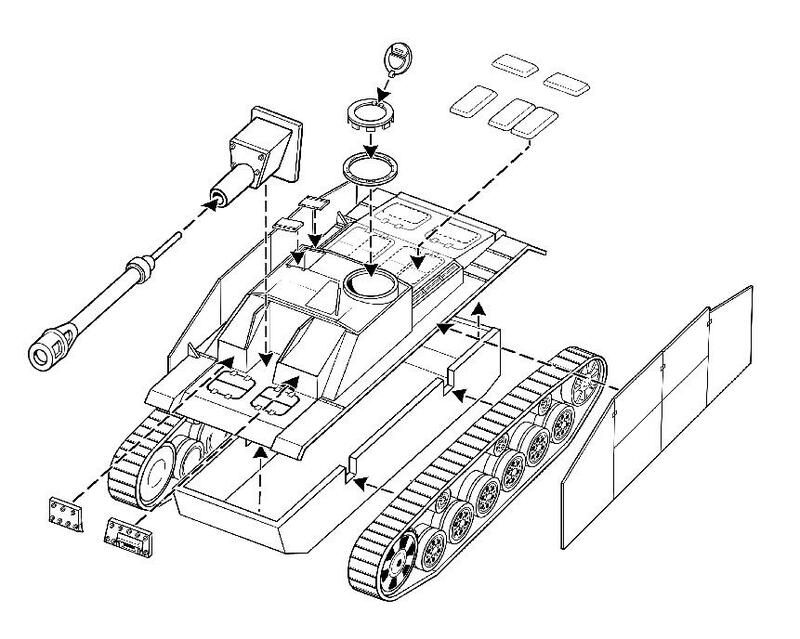 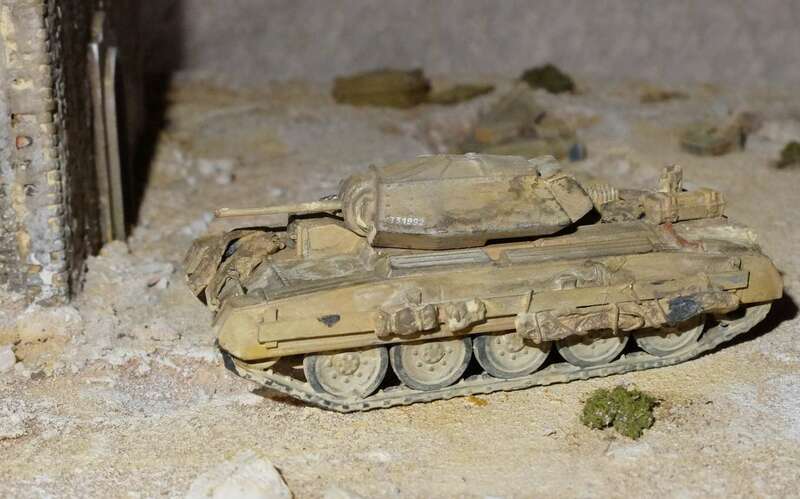 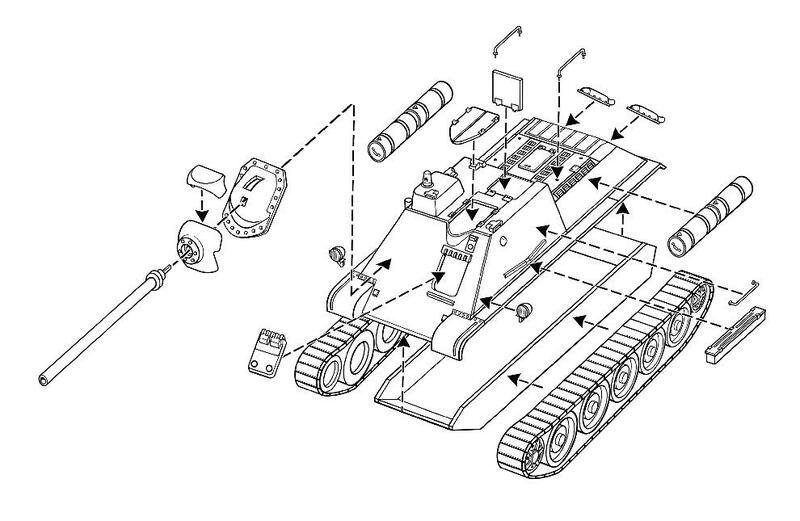 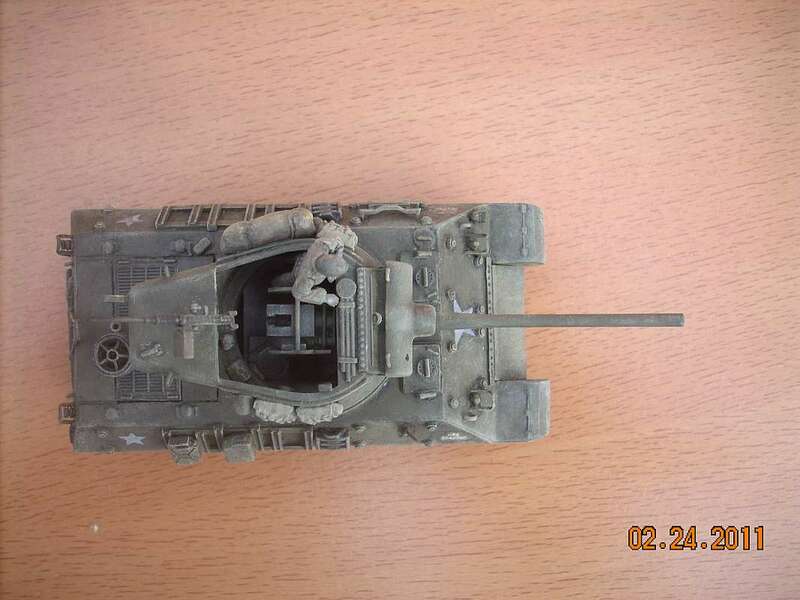 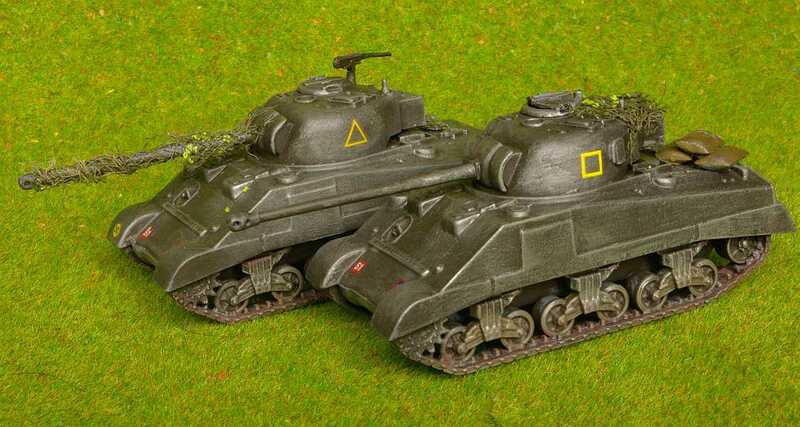 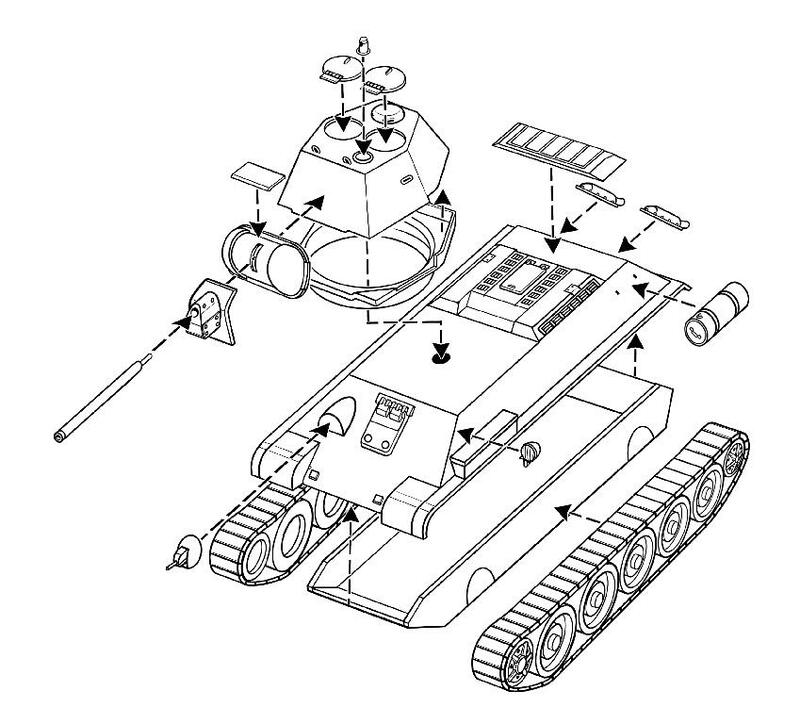 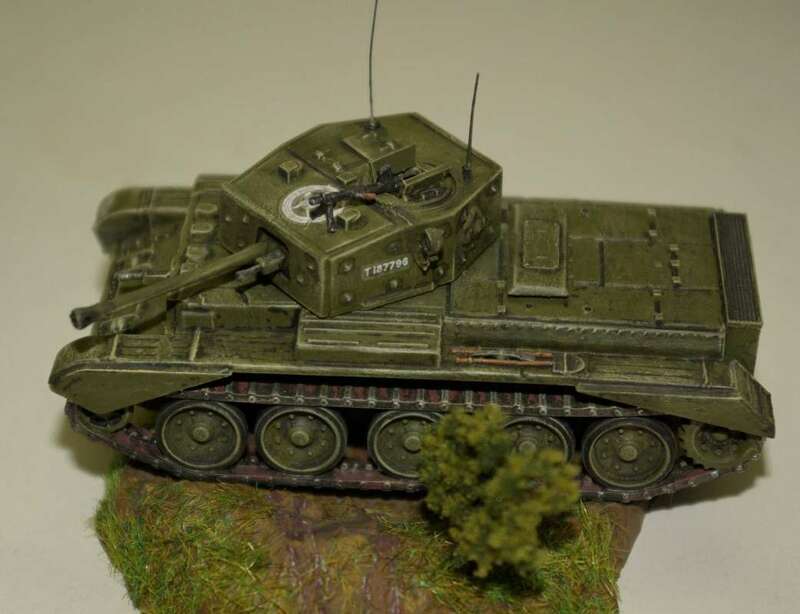 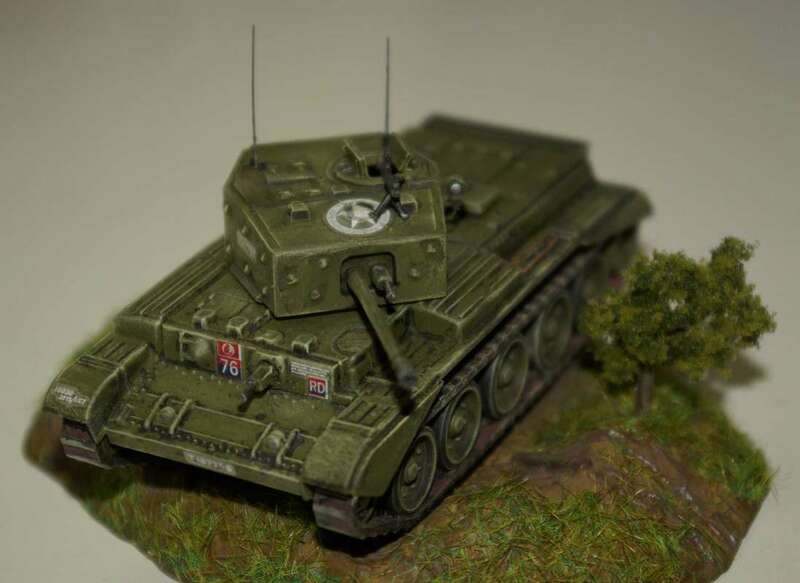 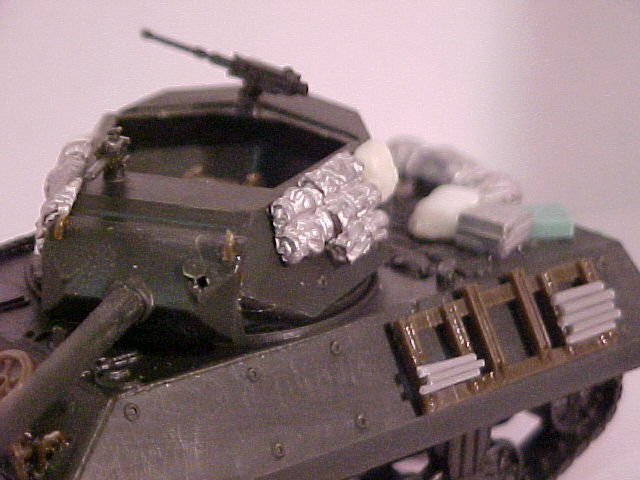 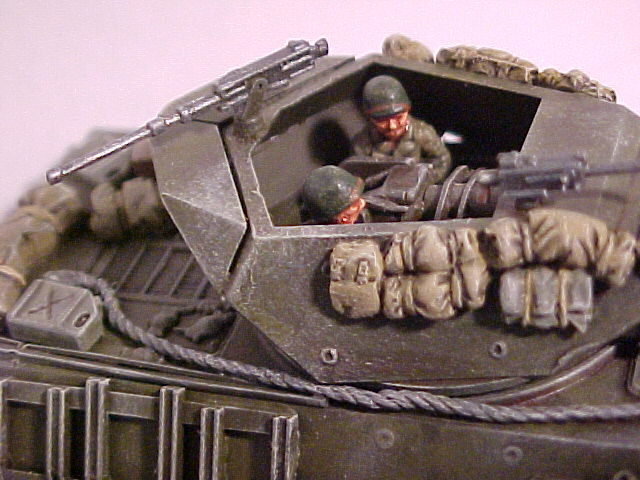 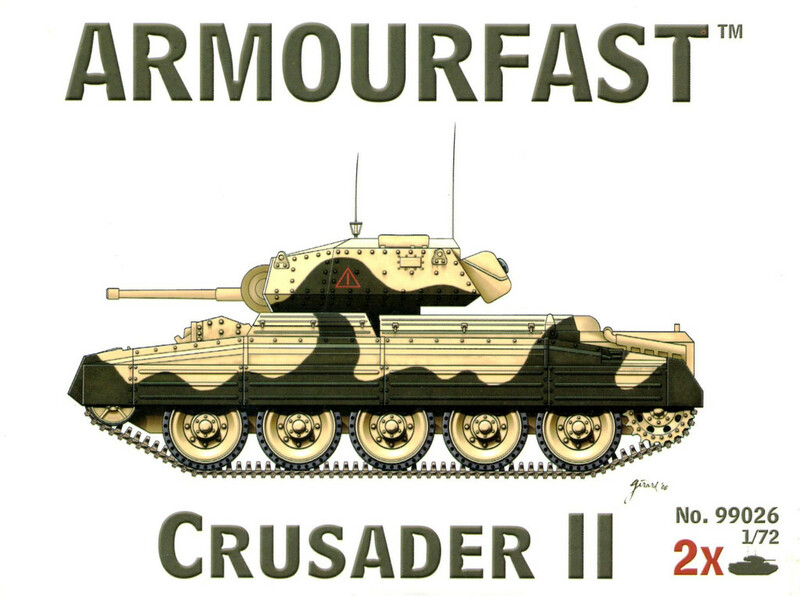 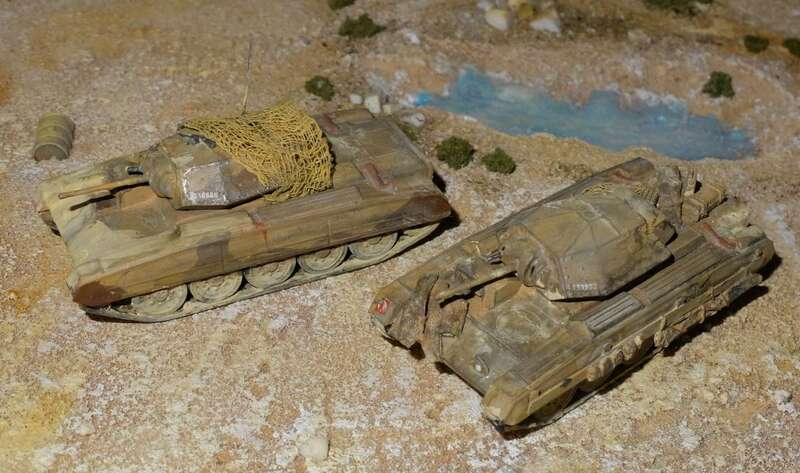 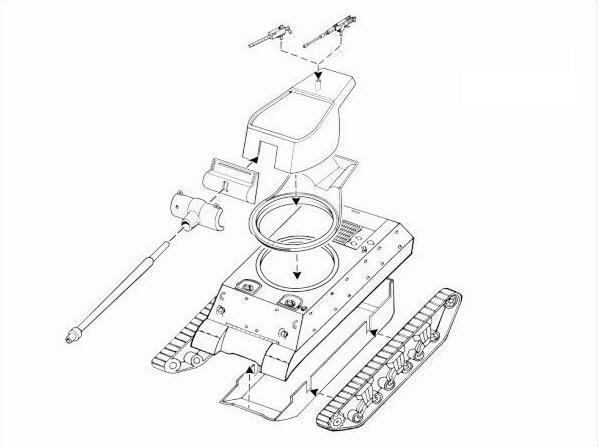 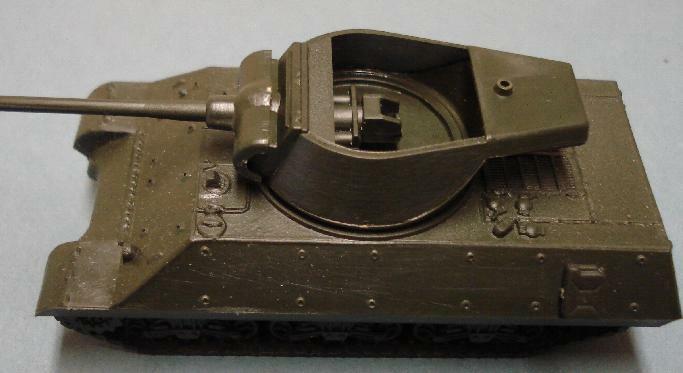 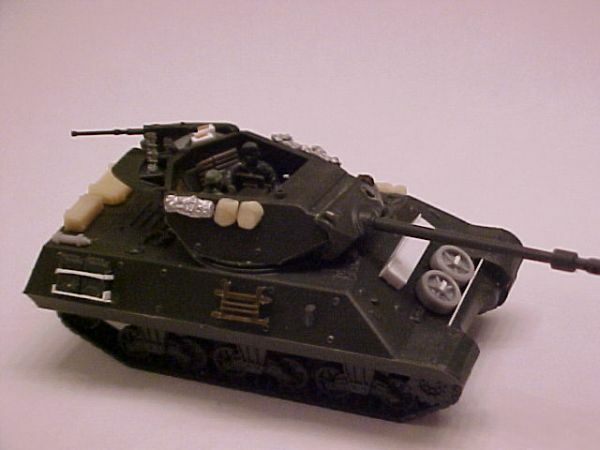 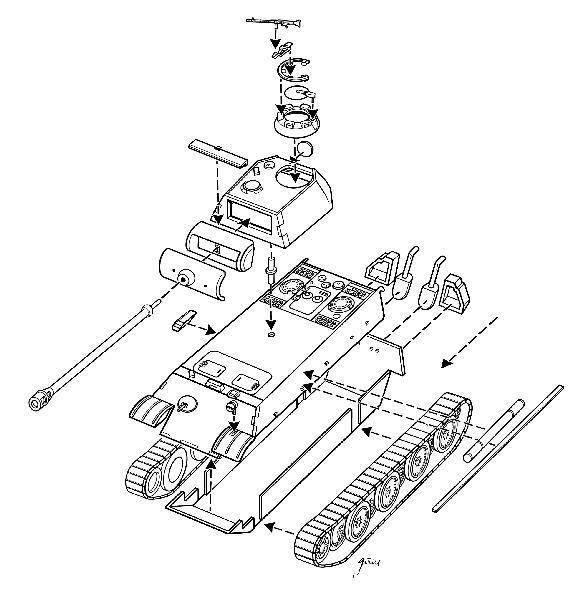 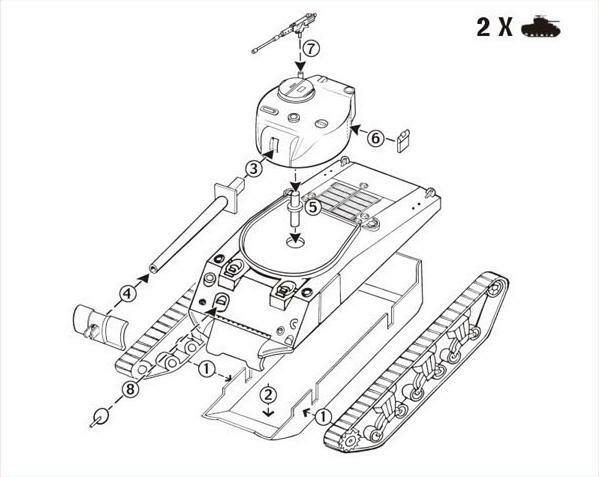 Kit 99026 - Crusader MK-II. 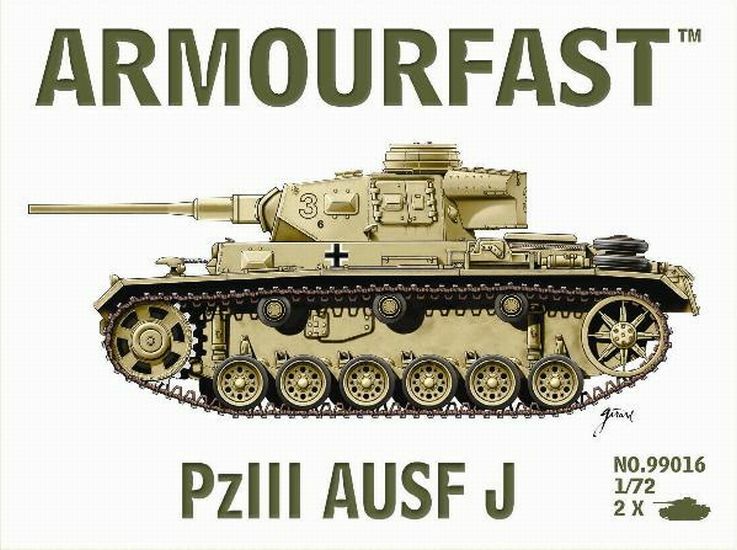 Kit 99027 - Panzer IV Ausf. 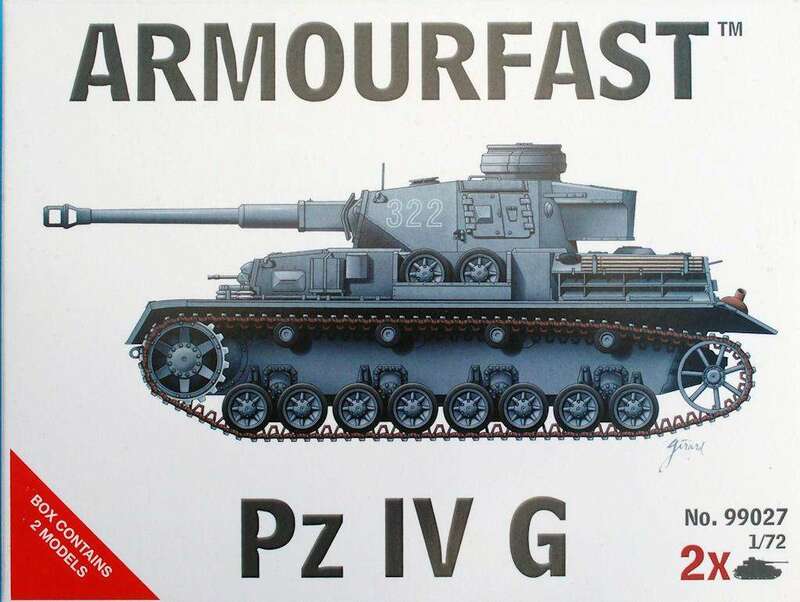 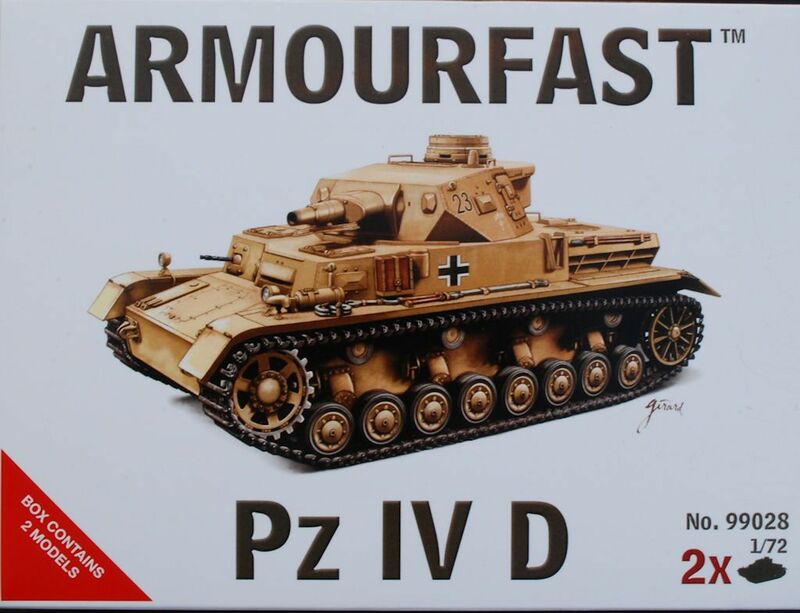 G.
Kit 99028 - Panzer IV Ausf. 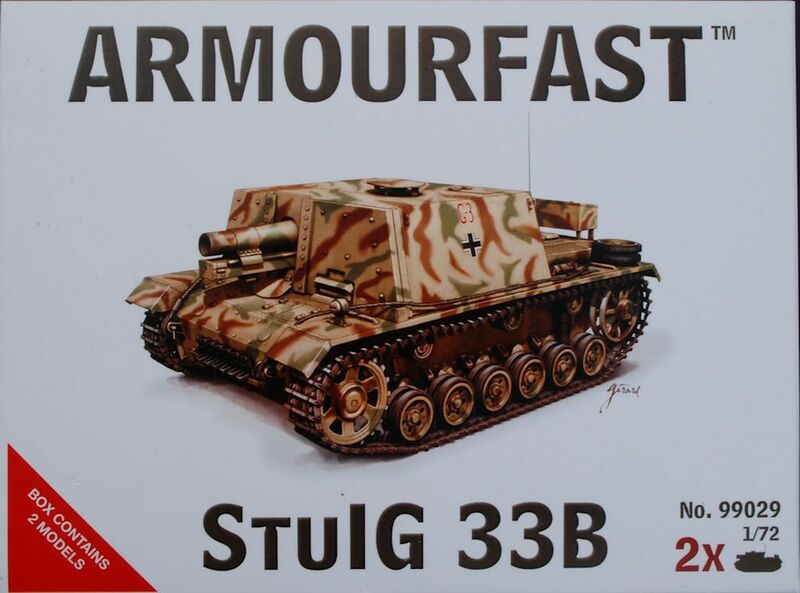 D.
Kit 99029 - Stug 33B. 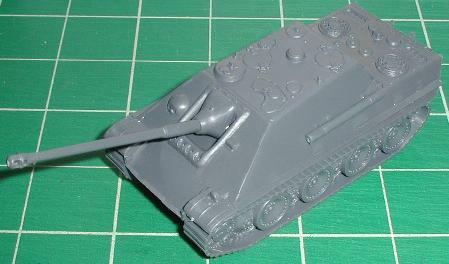 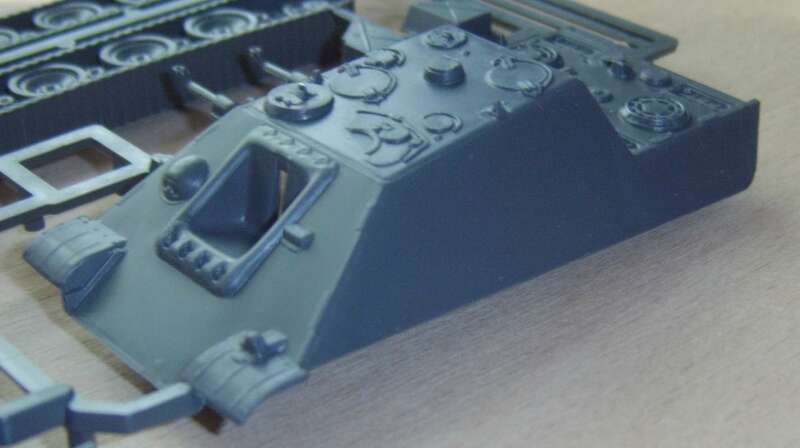 Kit 99032 - SdKfz. 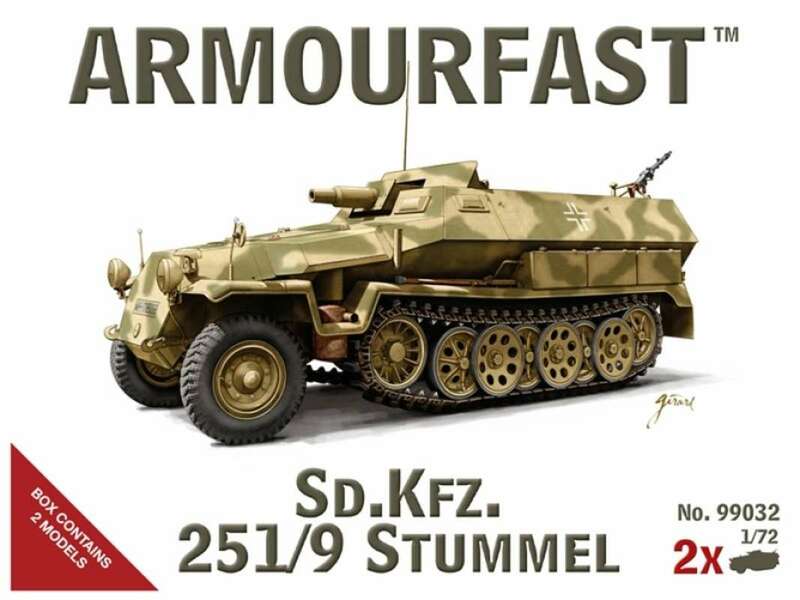 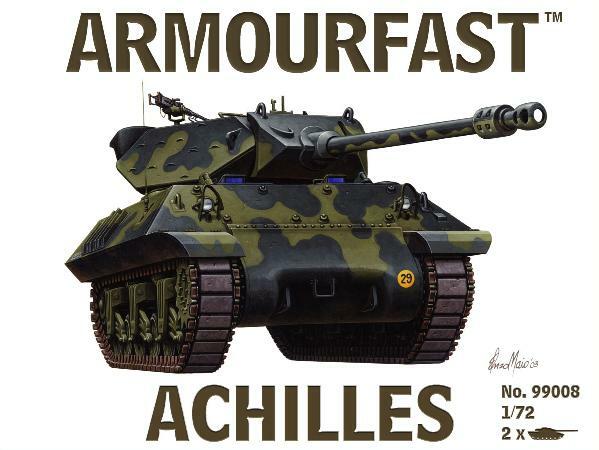 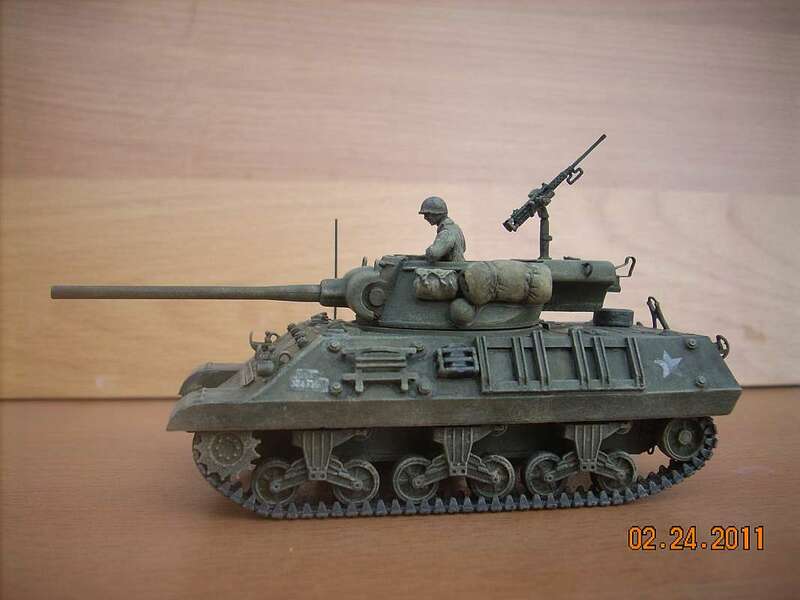 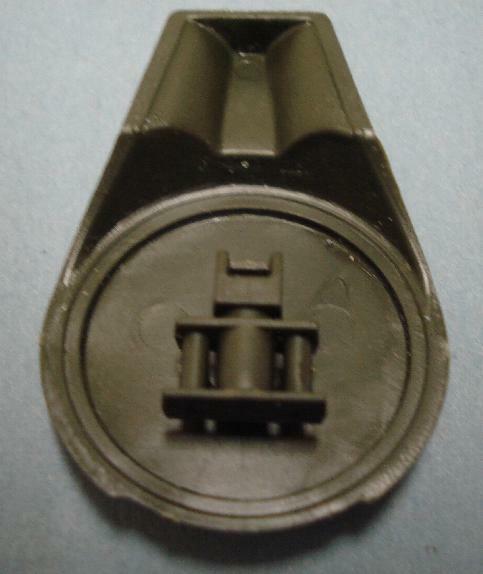 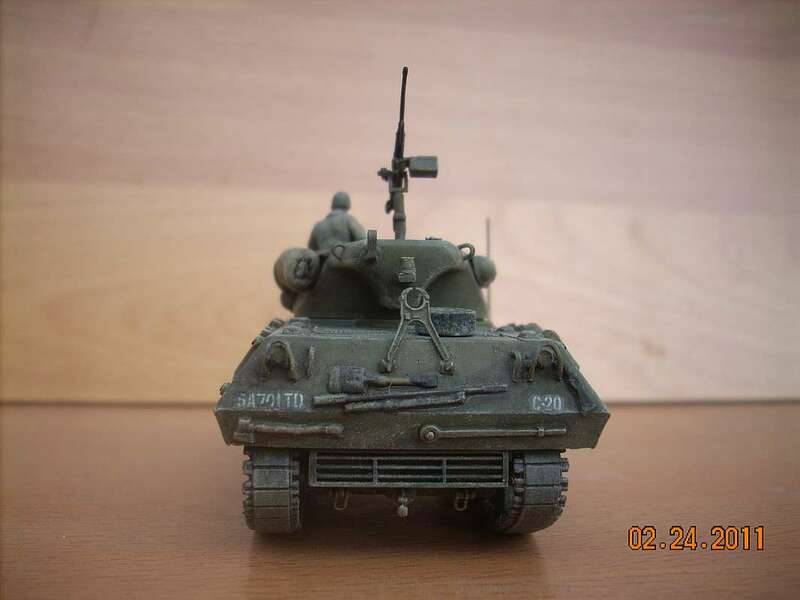 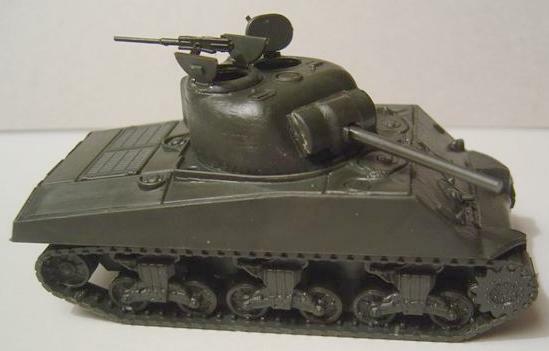 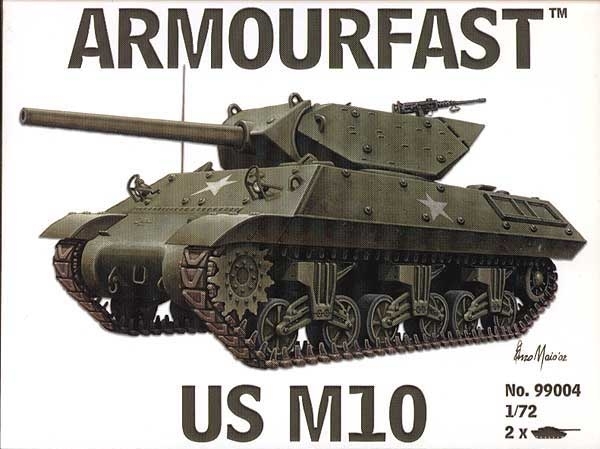 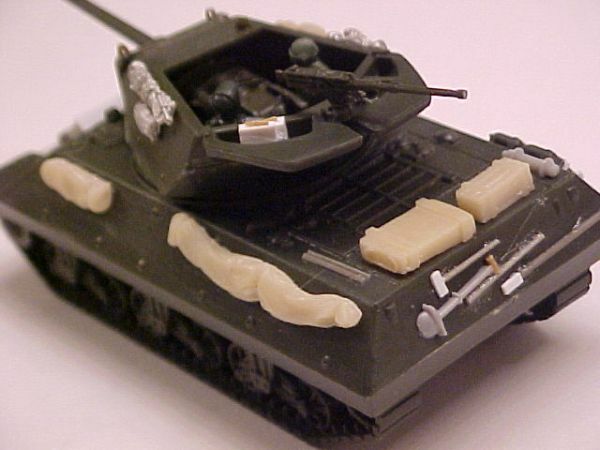 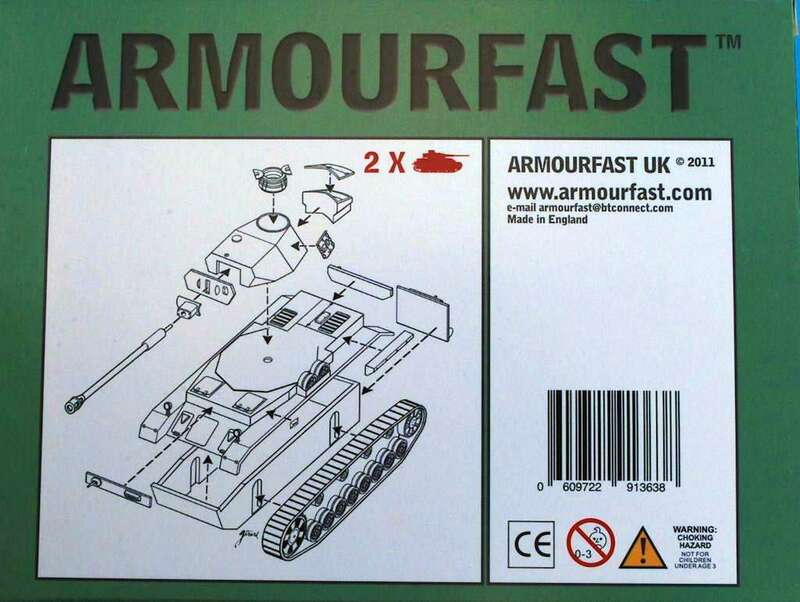 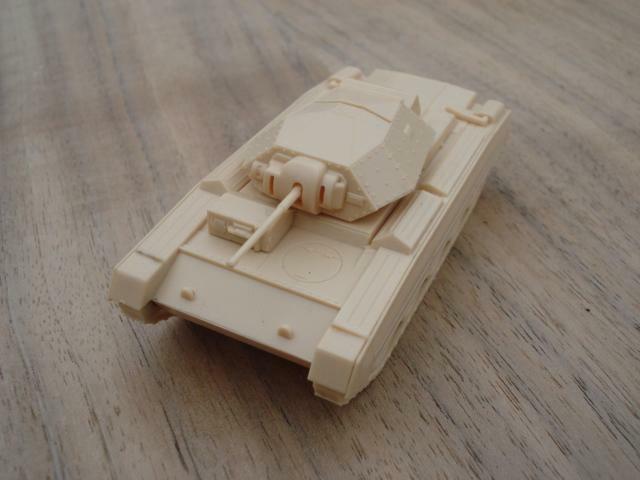 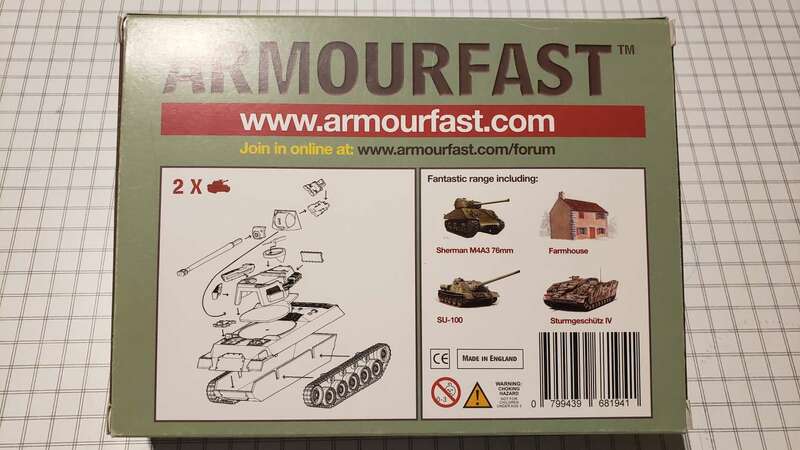 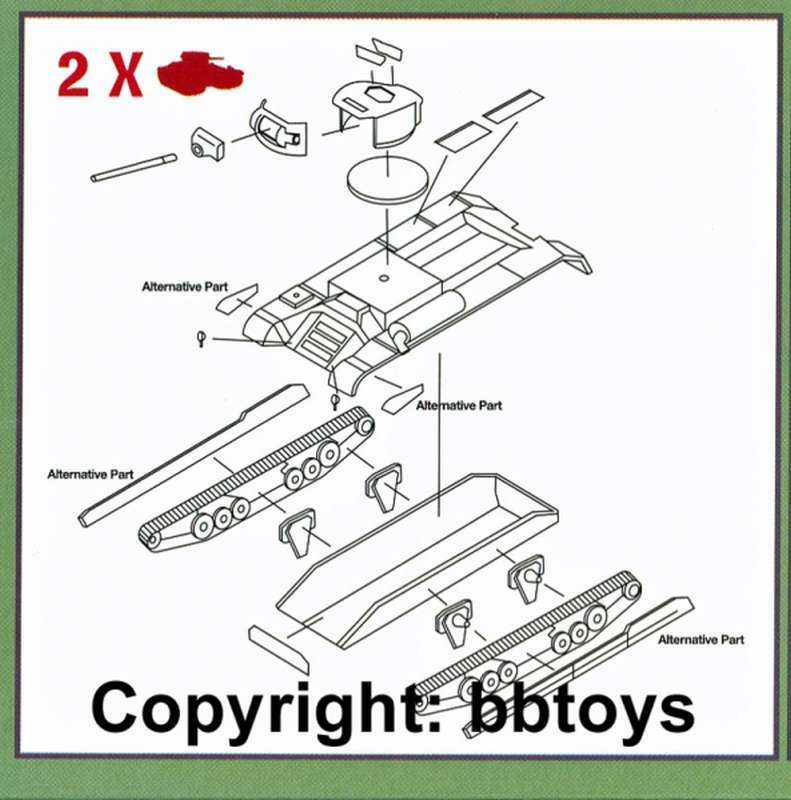 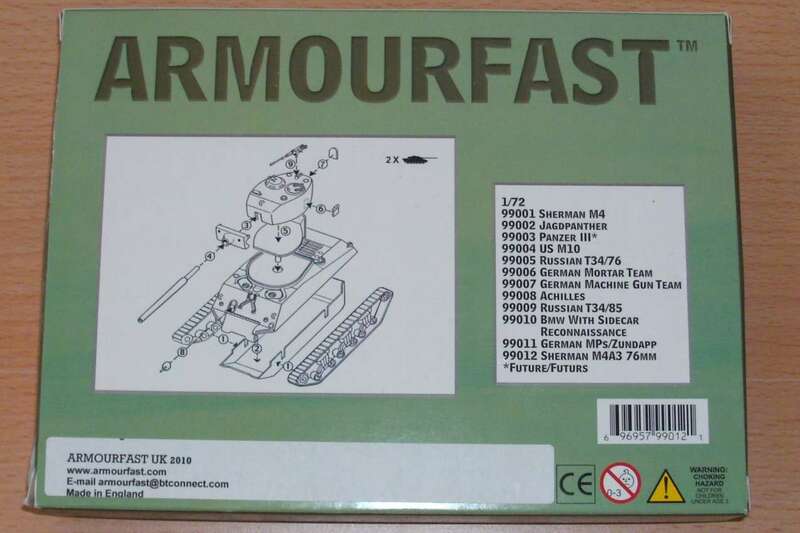 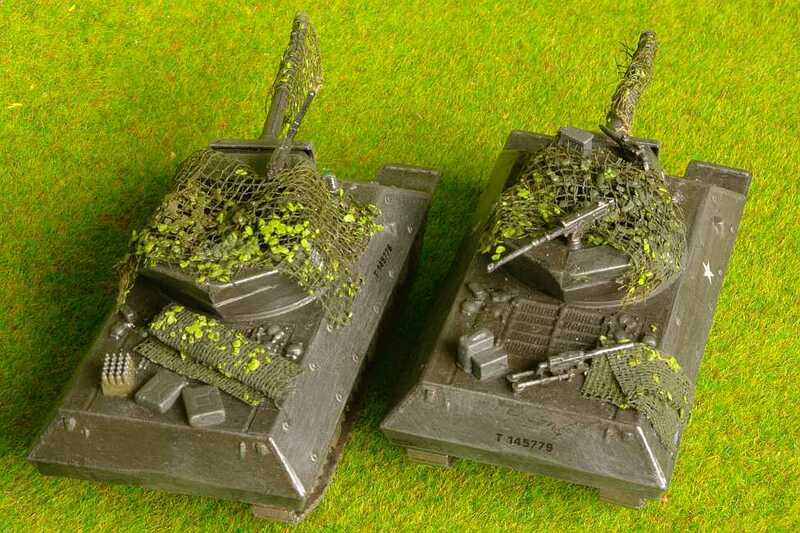 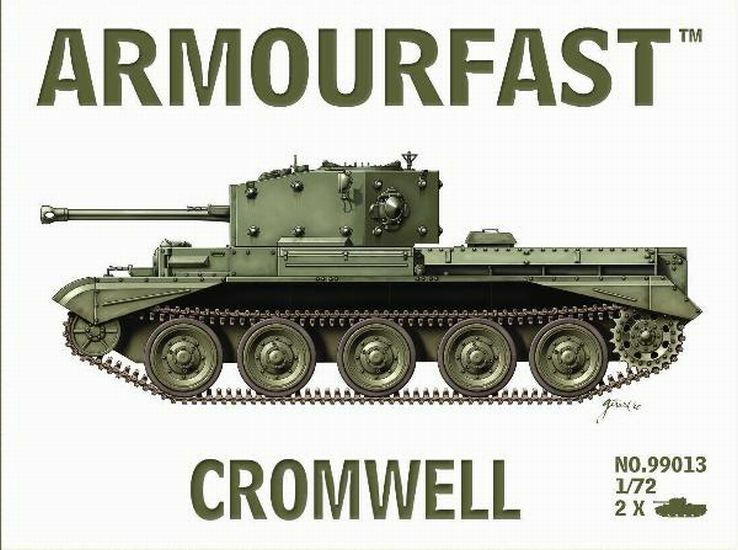 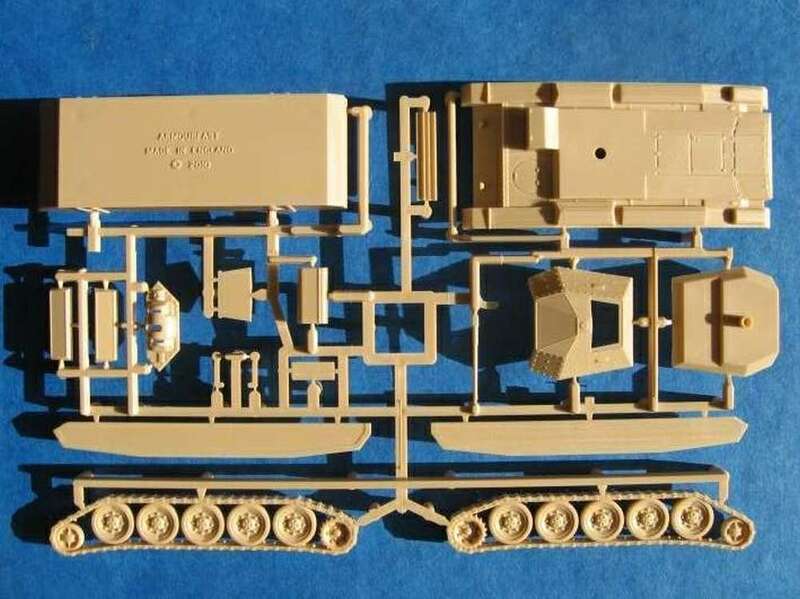 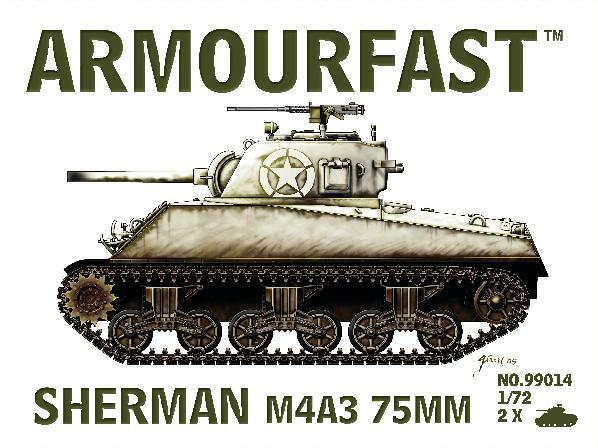 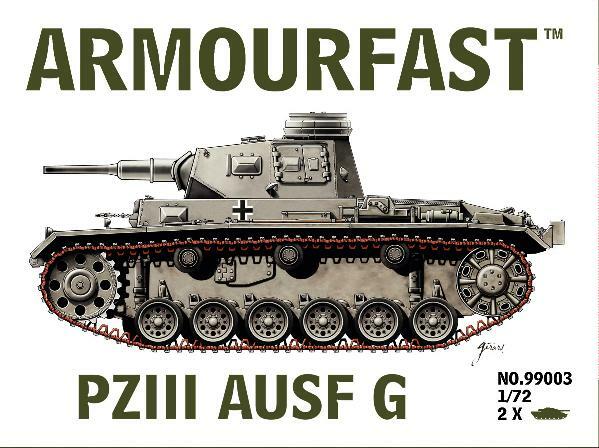 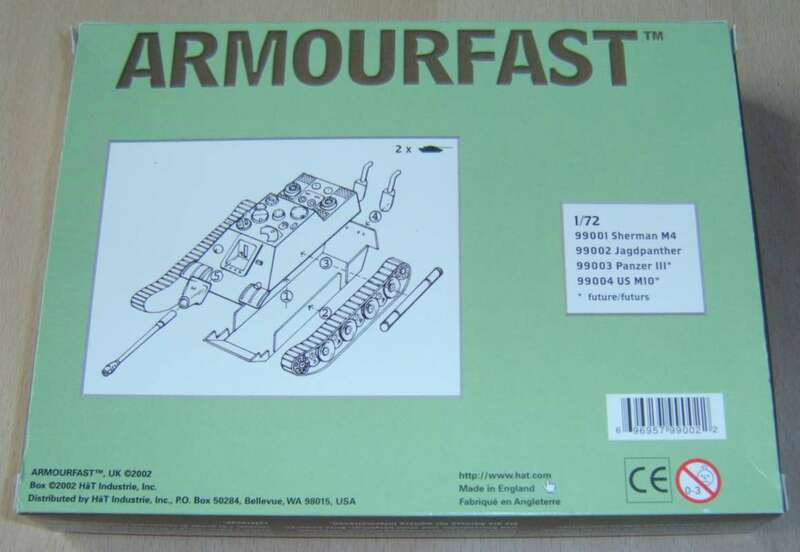 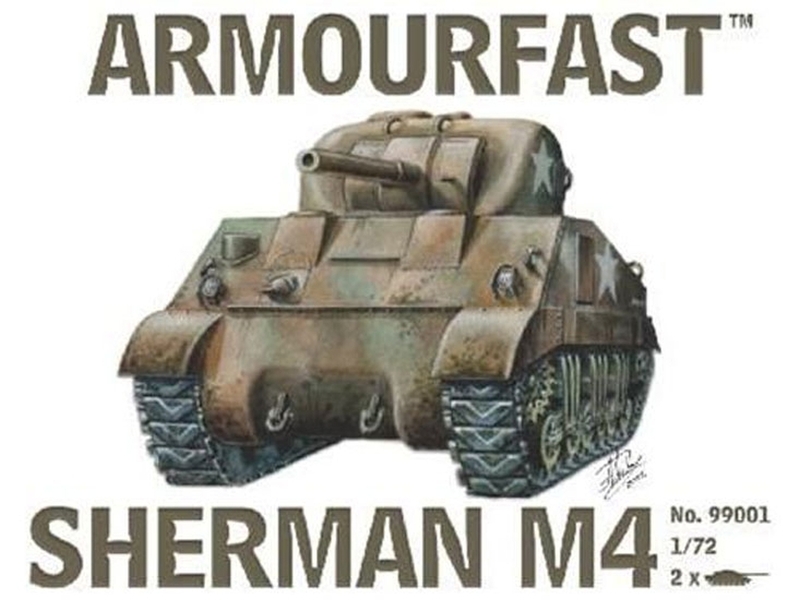 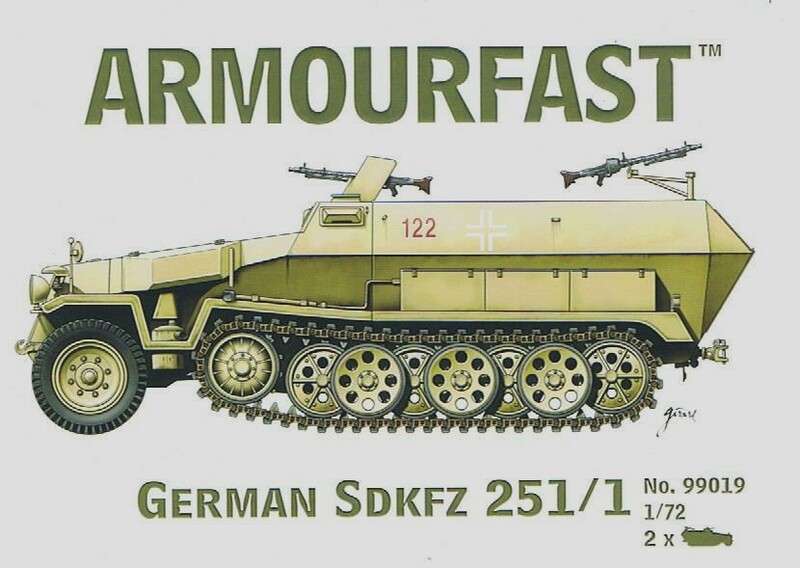 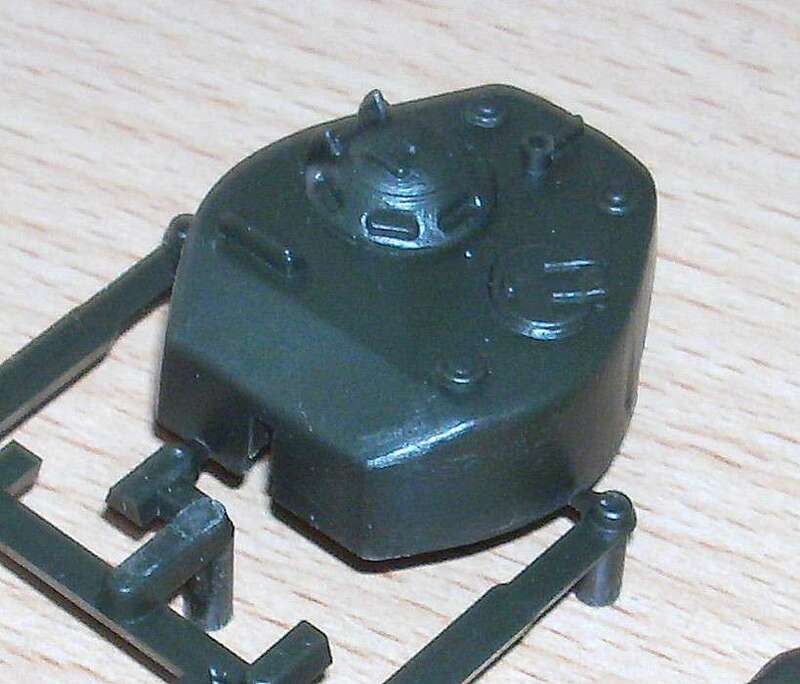 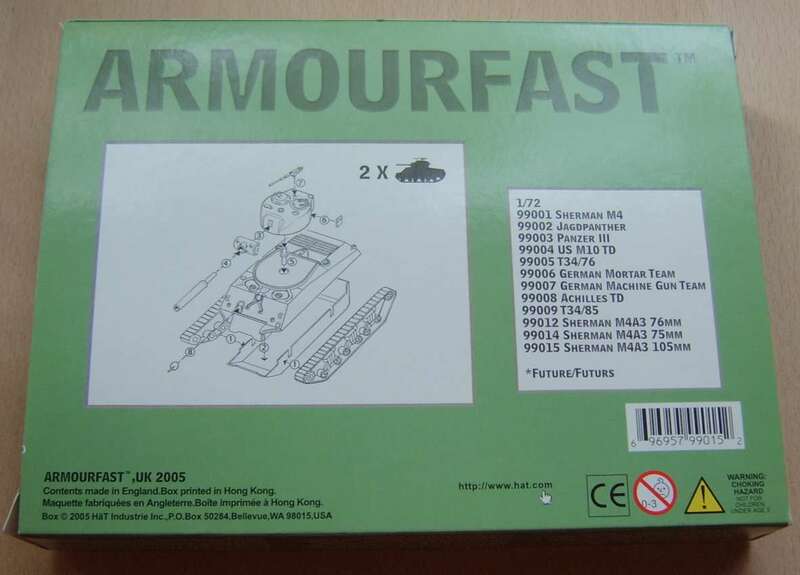 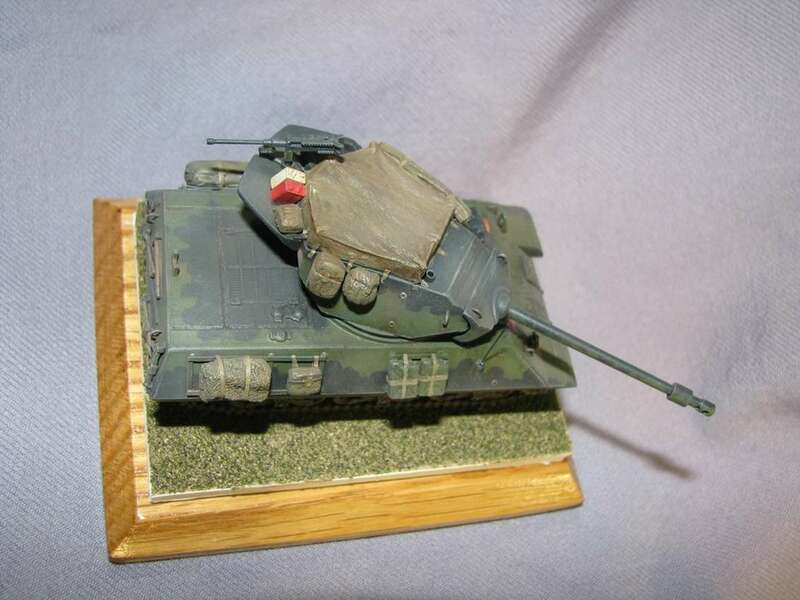 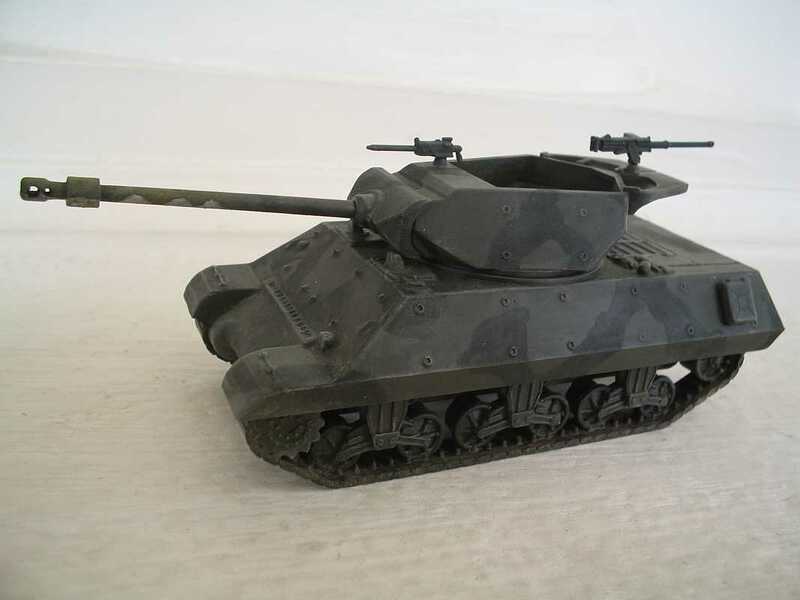 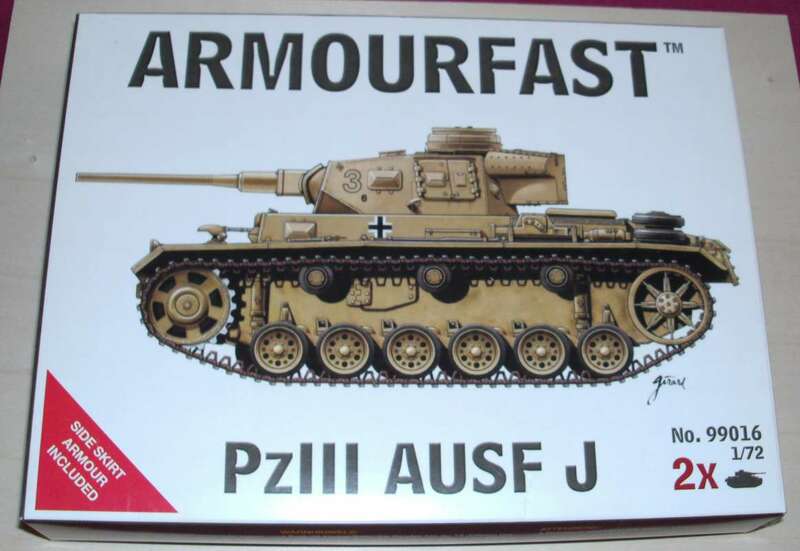 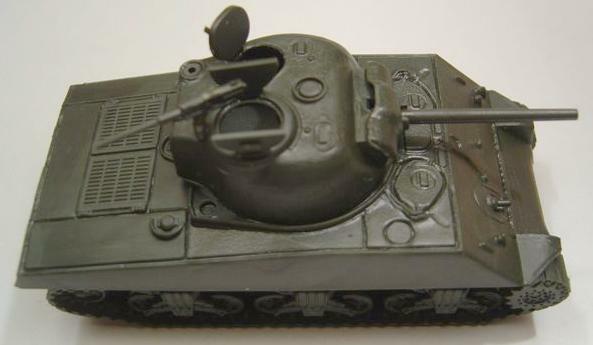 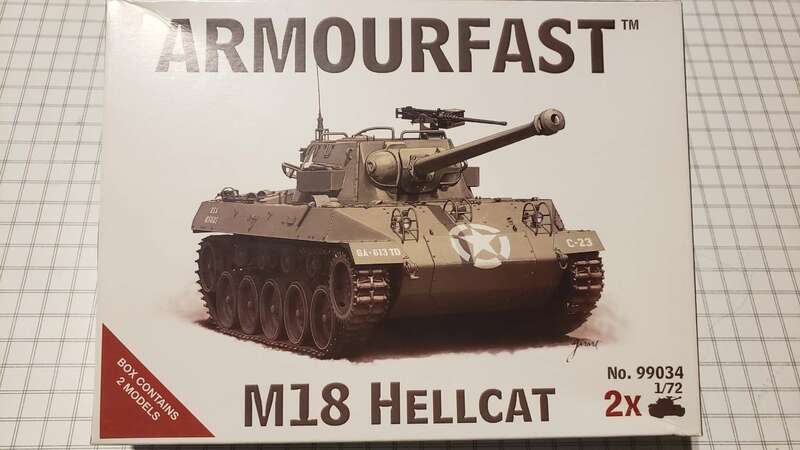 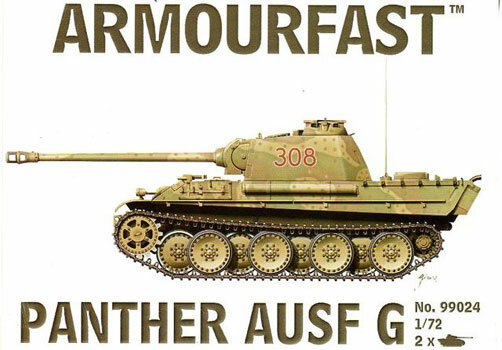 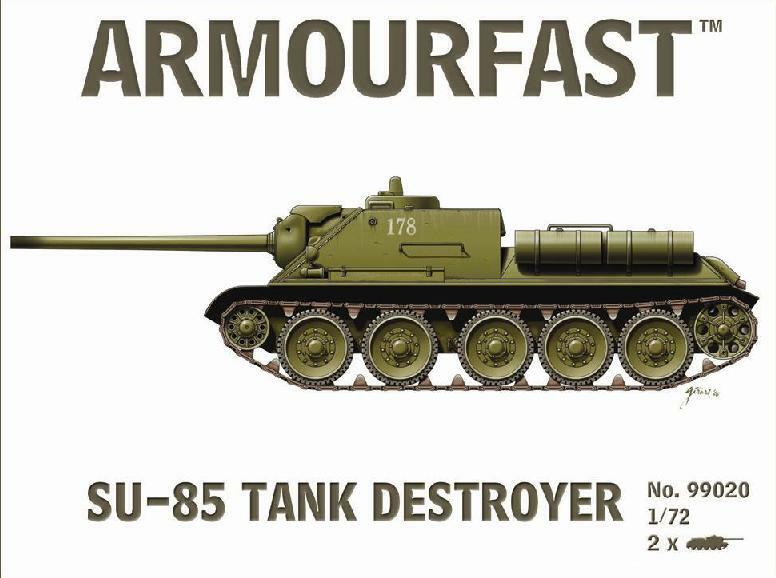 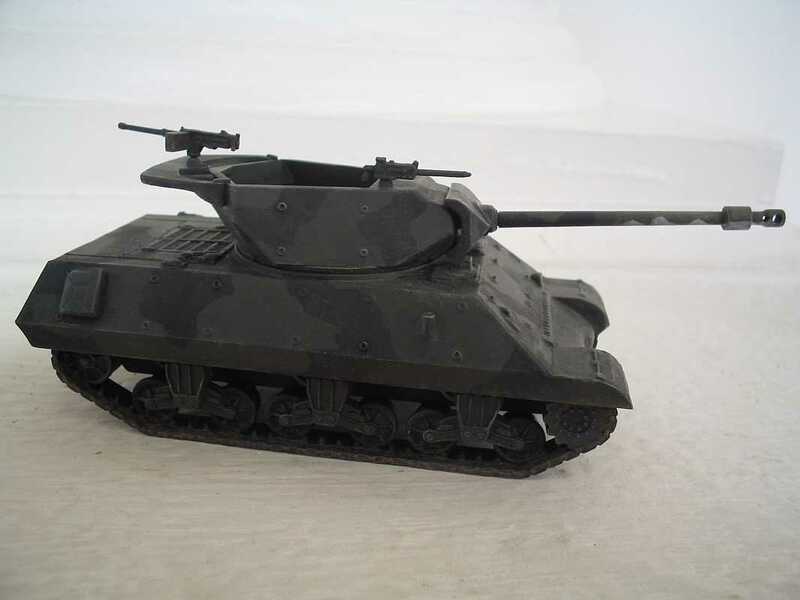 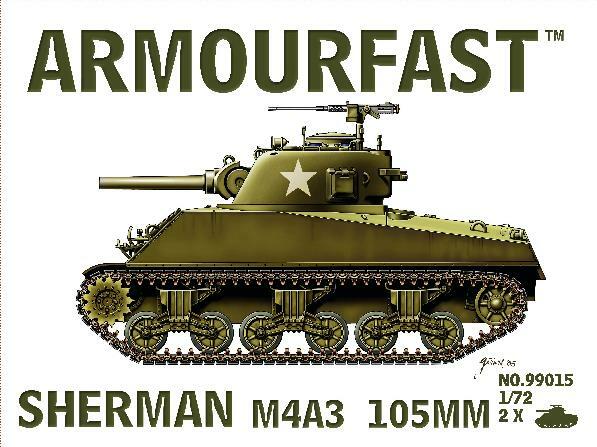 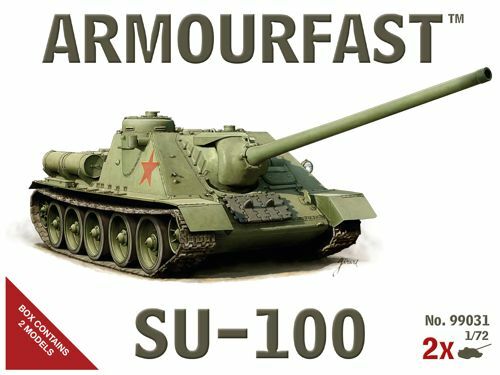 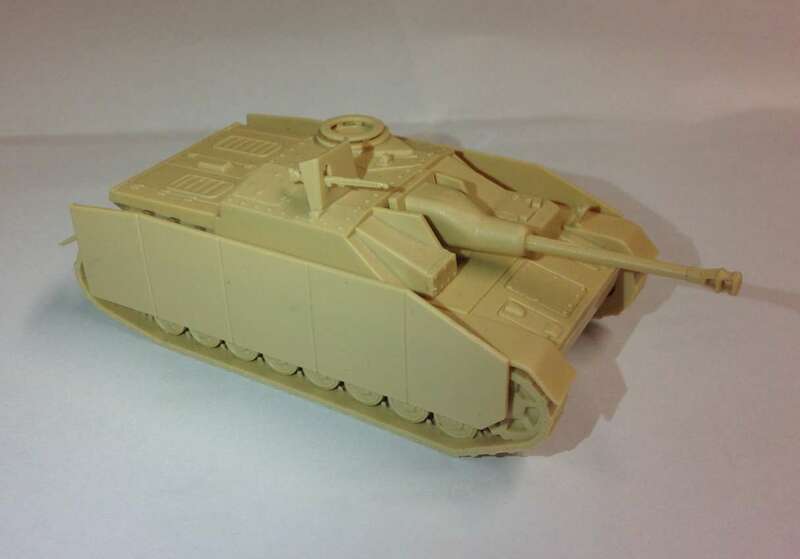 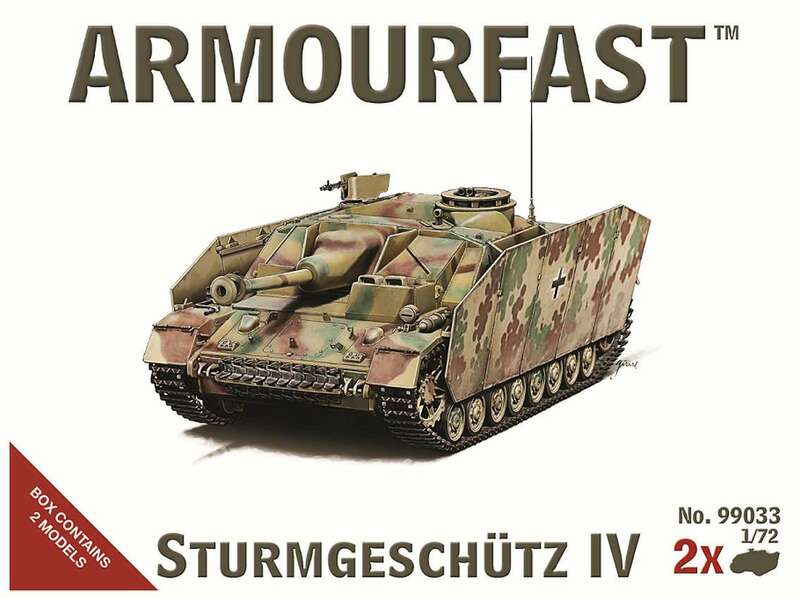 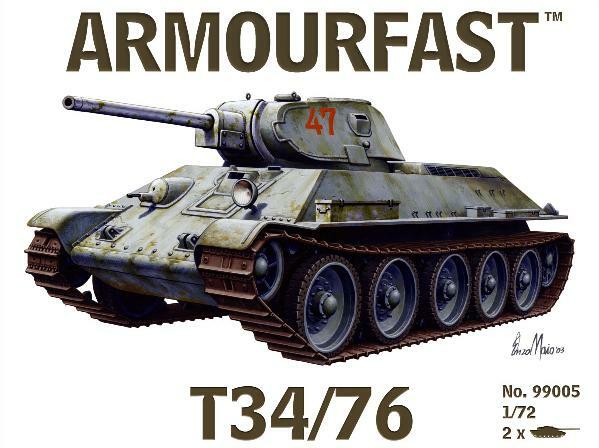 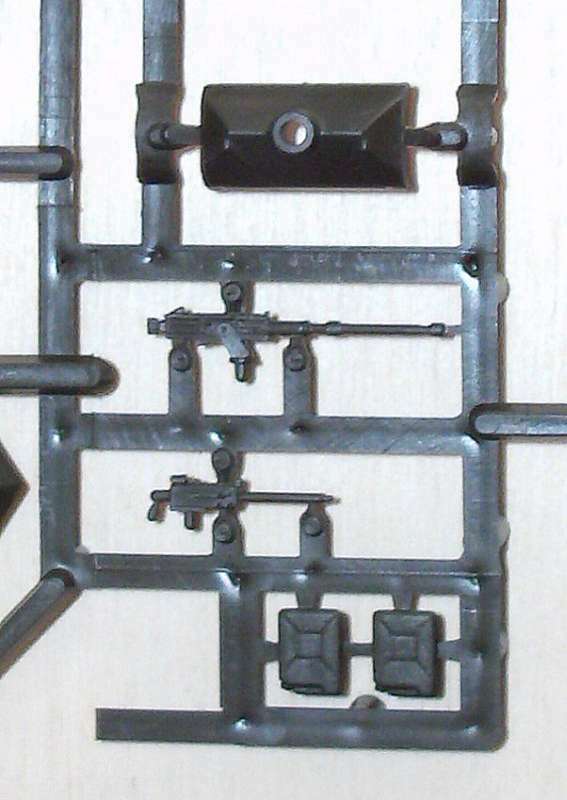 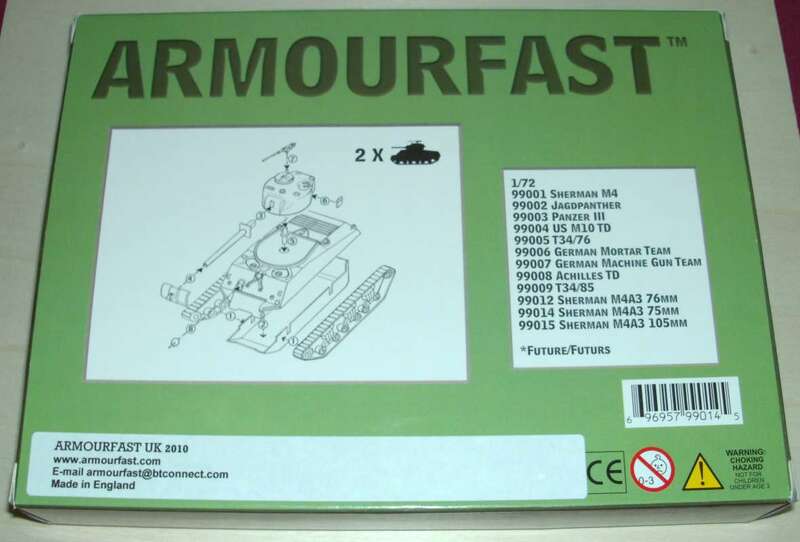 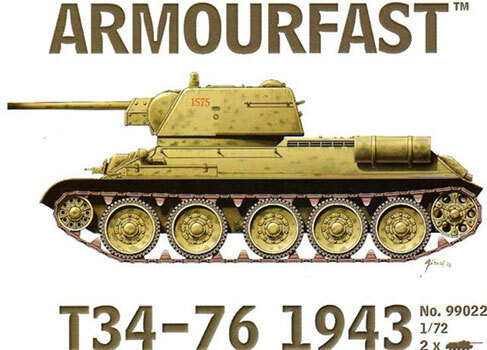 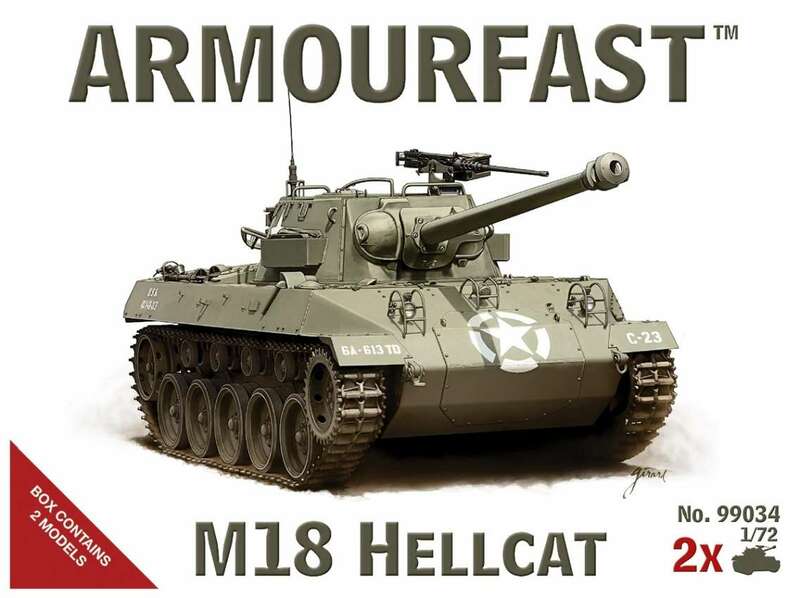 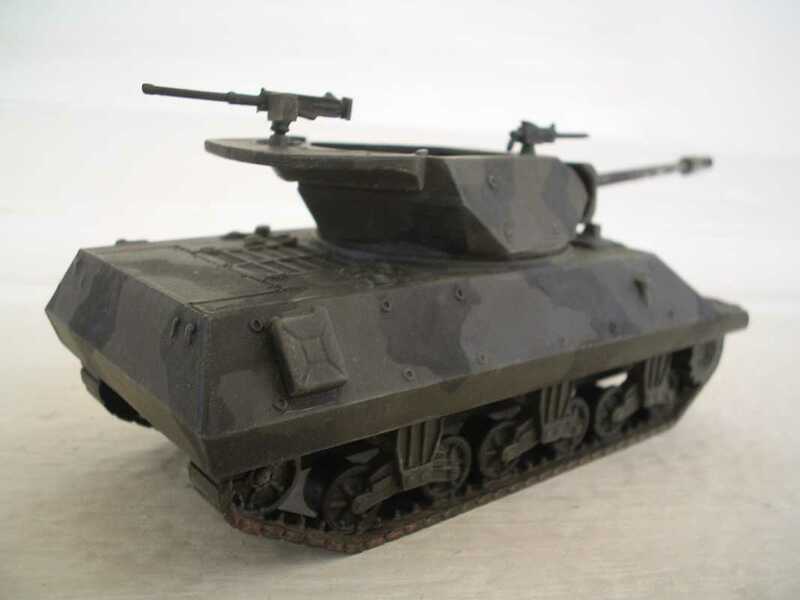 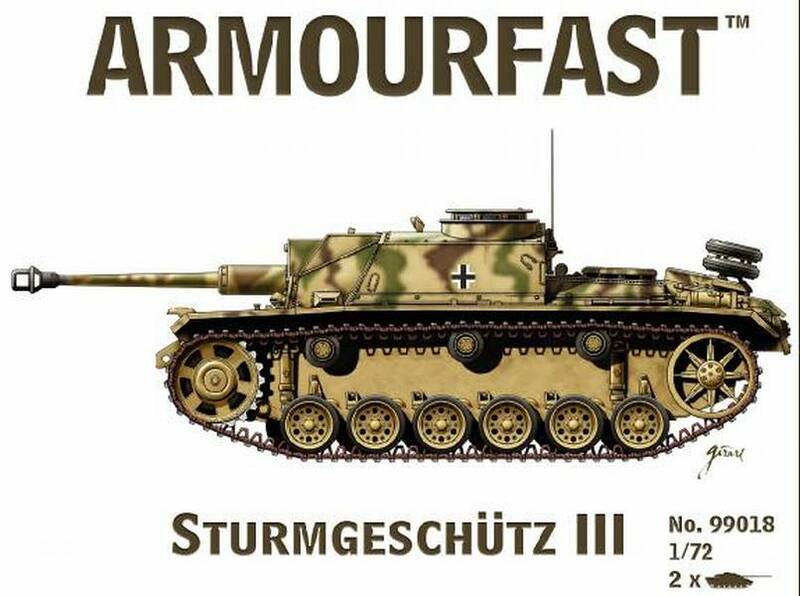 251/9 "Stummel"
Kit 99034 - M-18 "Hellcat"
Armourfast has started a line of diorama accessoires. 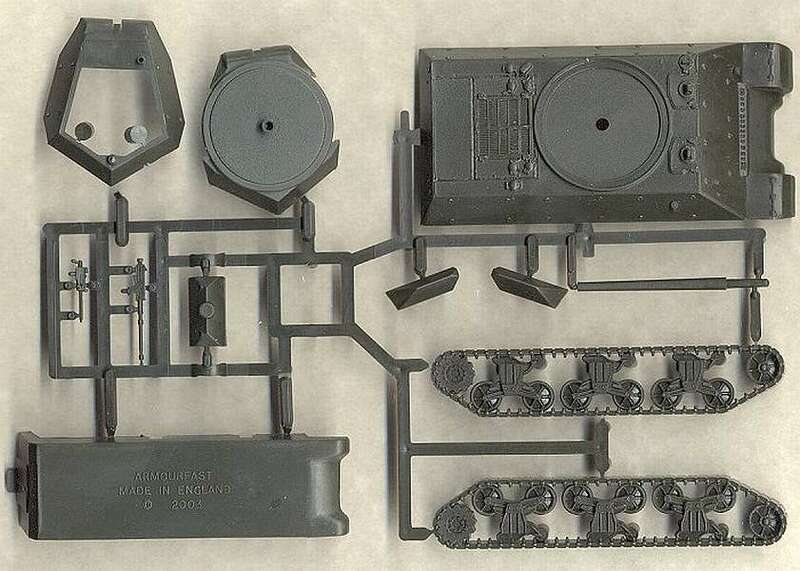 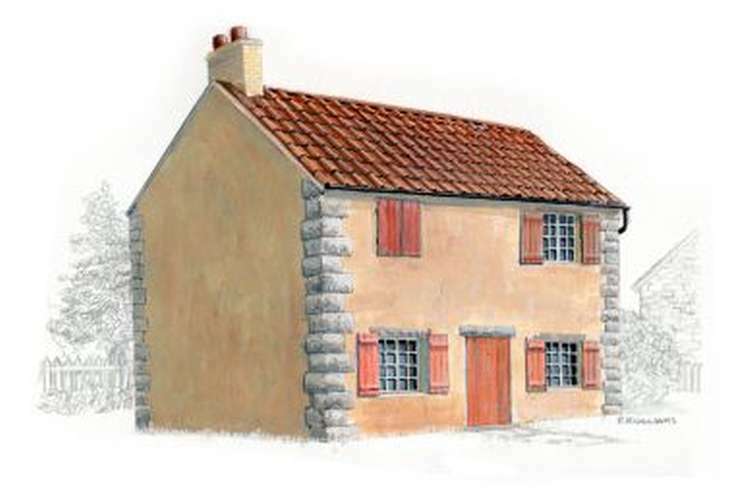 Kit 79001 - Normandy house.